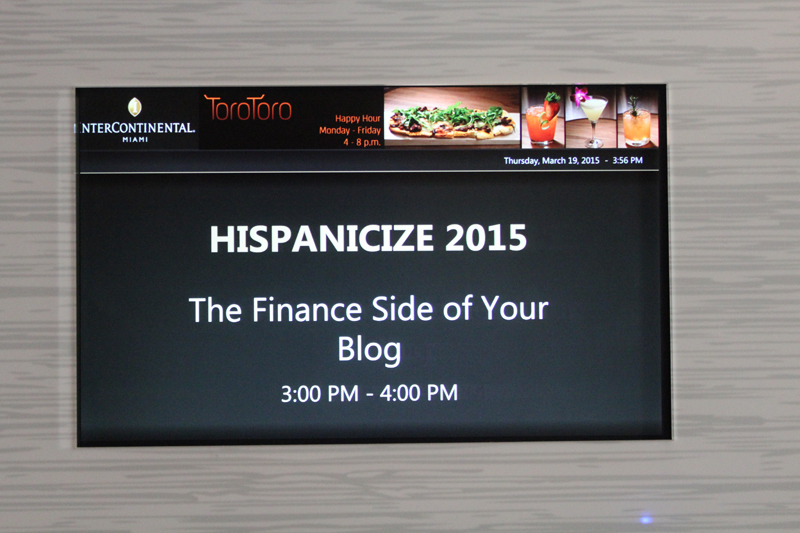 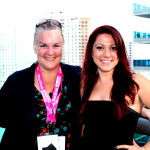 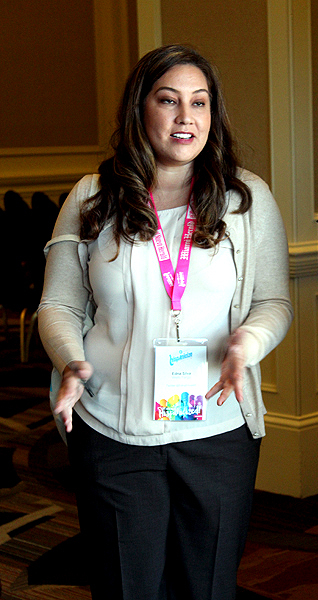 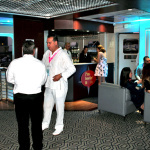 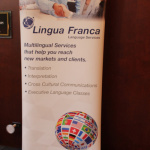 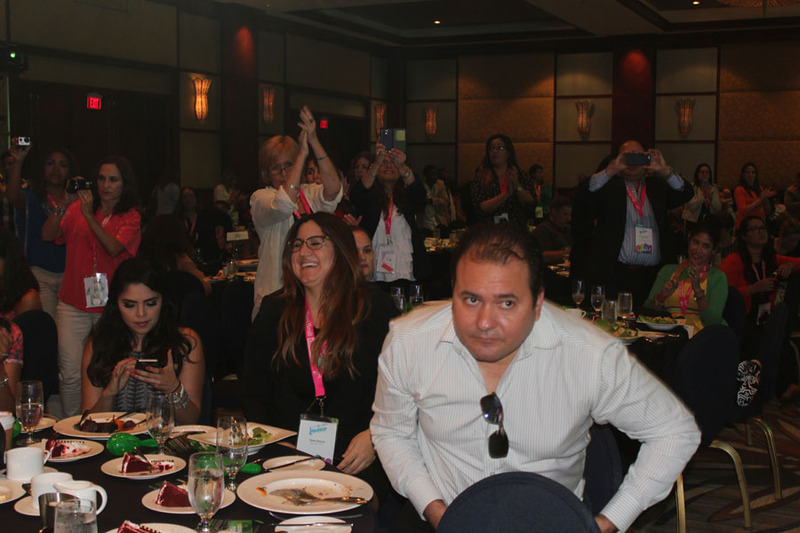 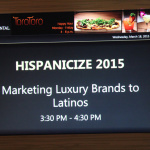 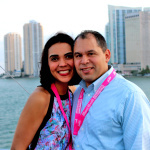 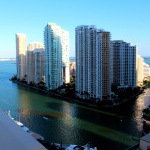 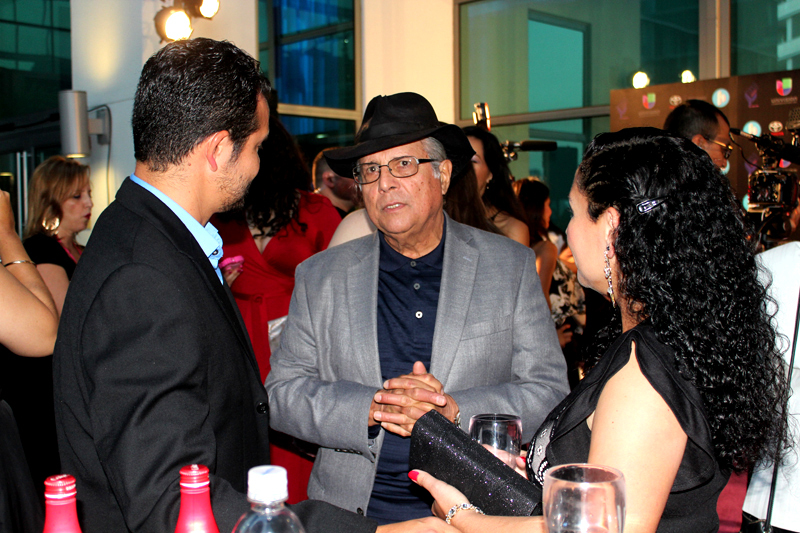 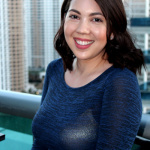 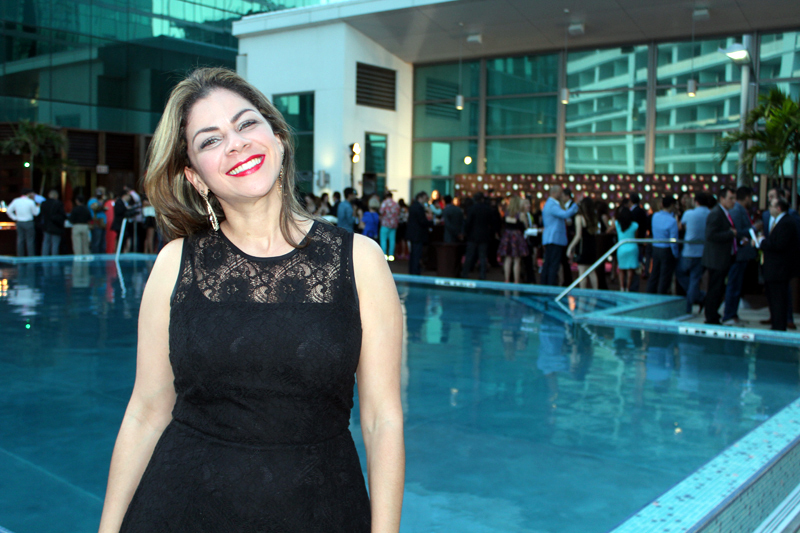 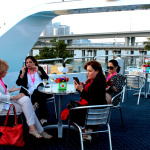 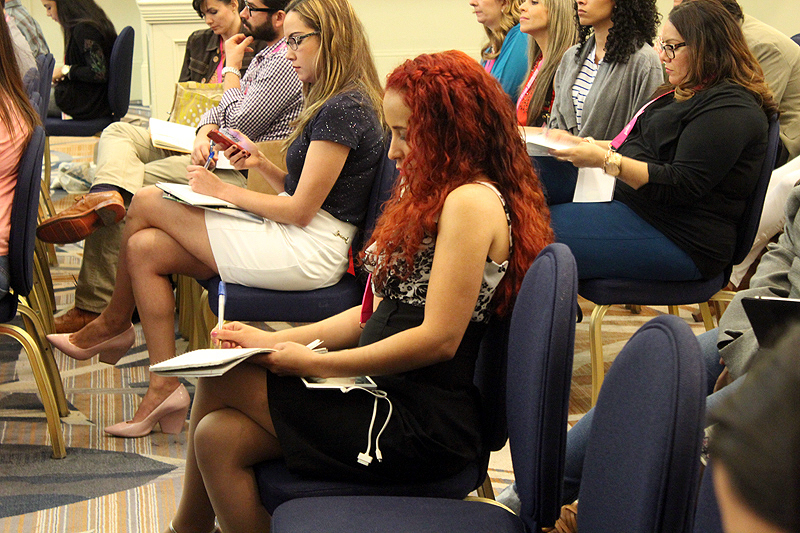 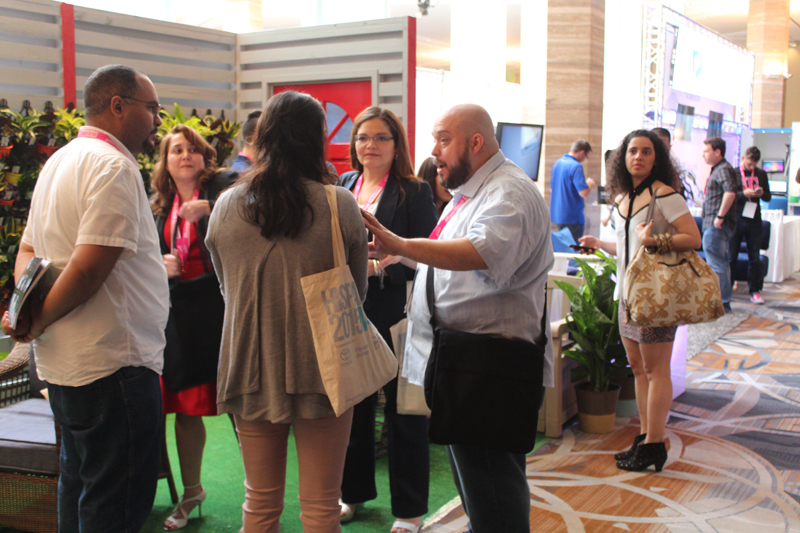 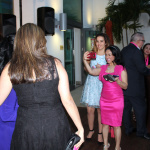 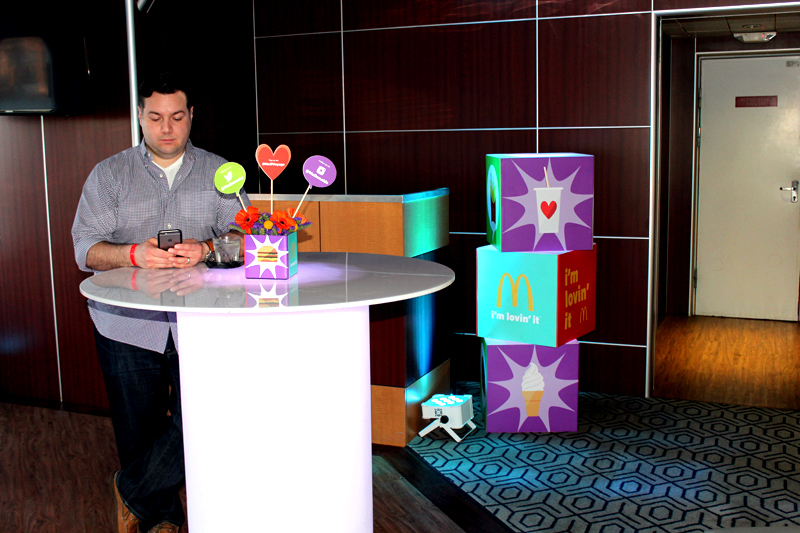 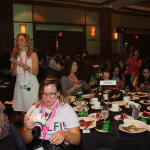 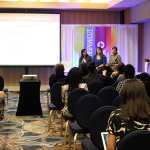 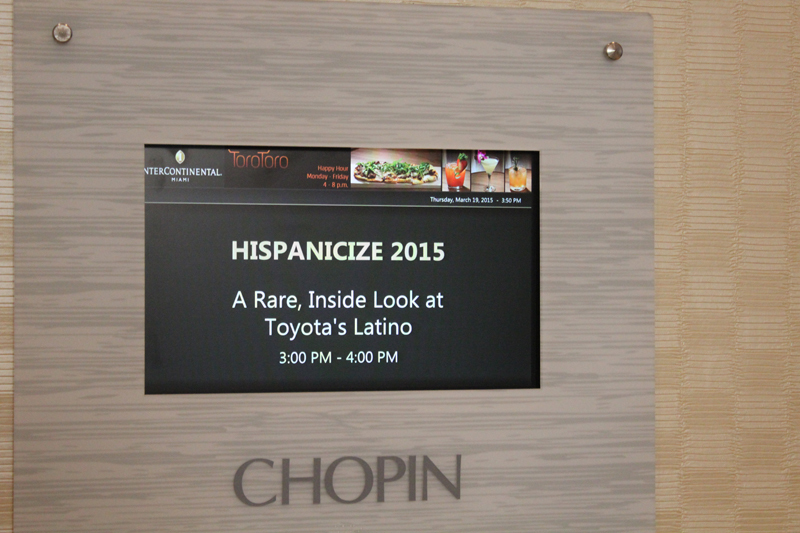 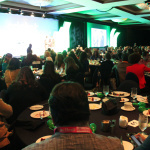 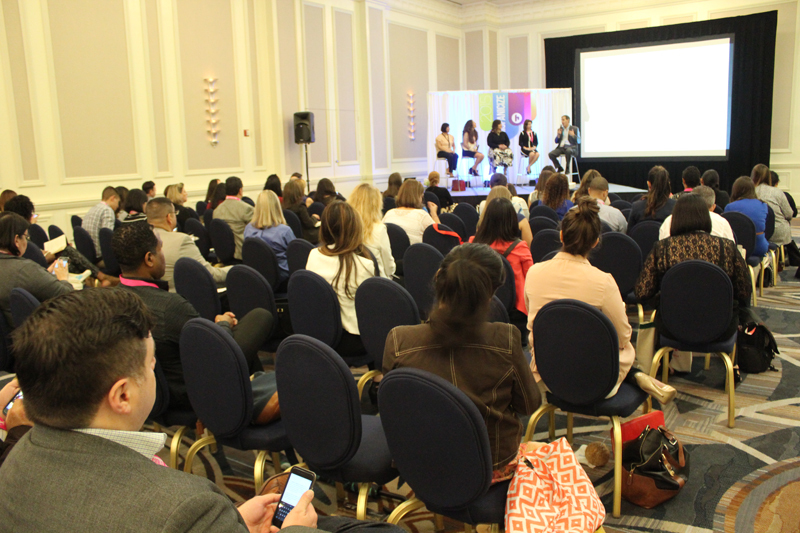 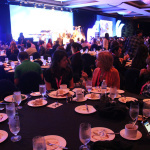 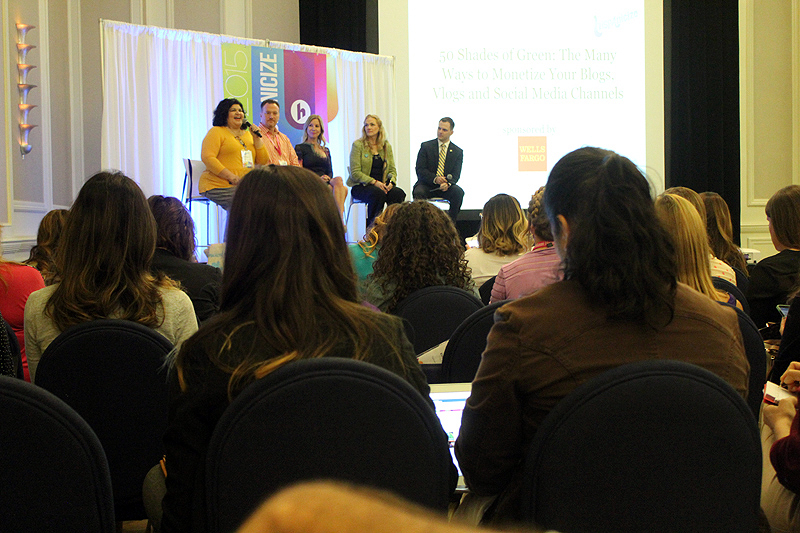 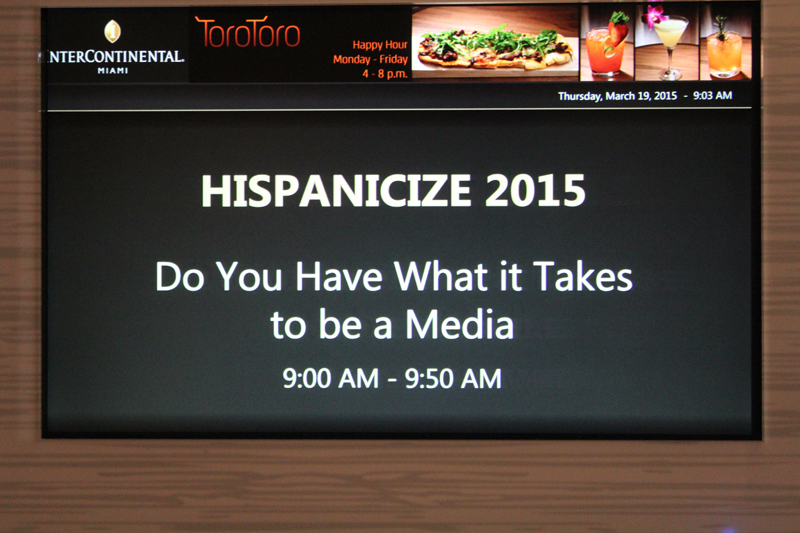 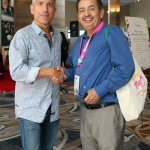 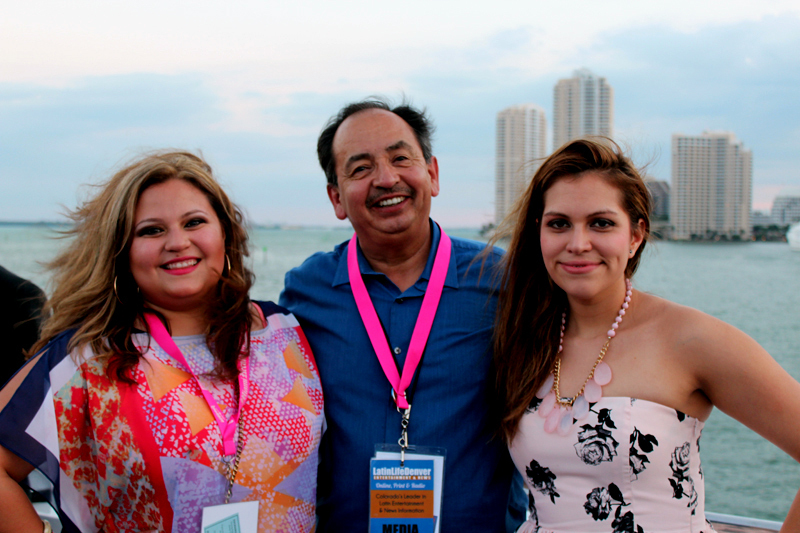 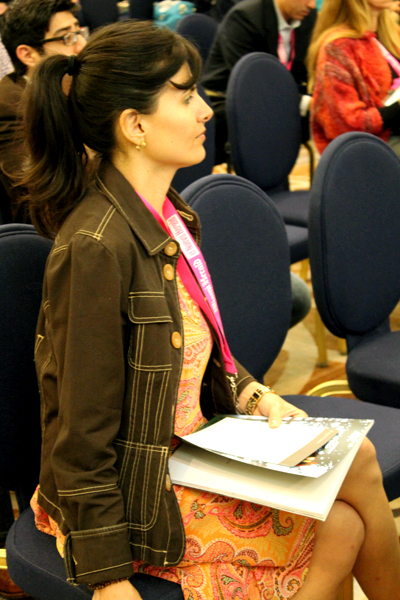 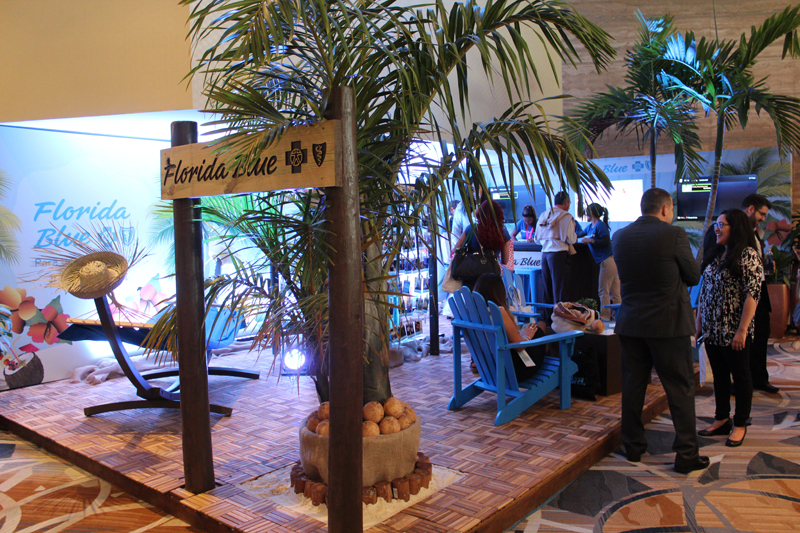 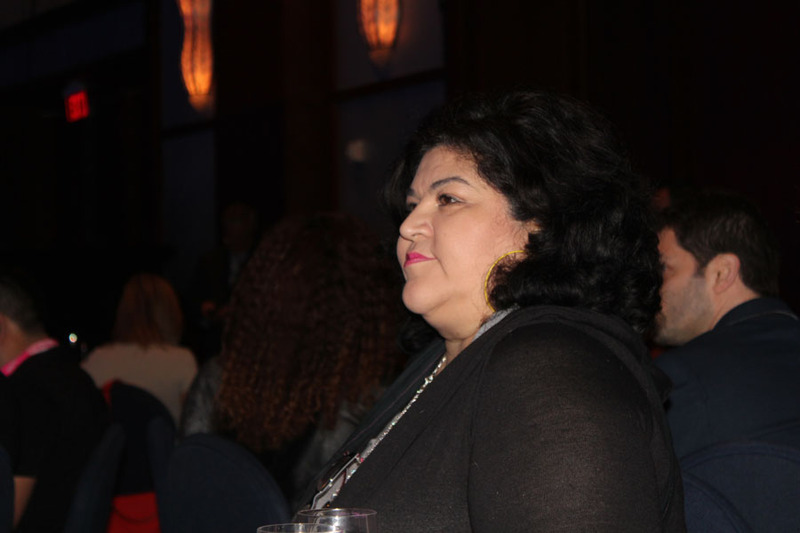 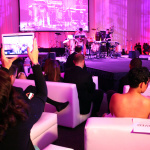 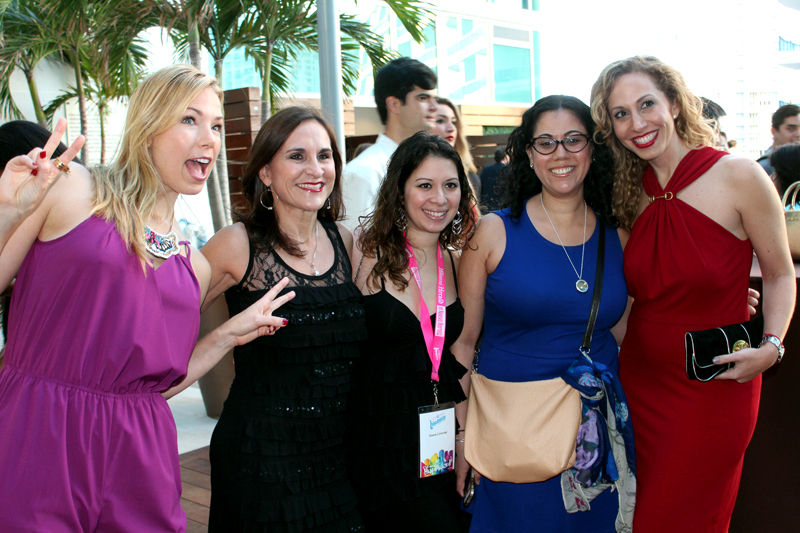 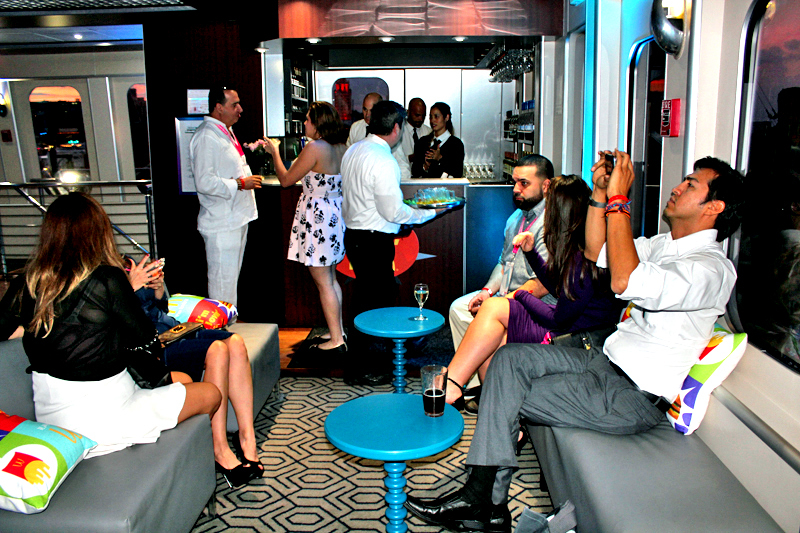 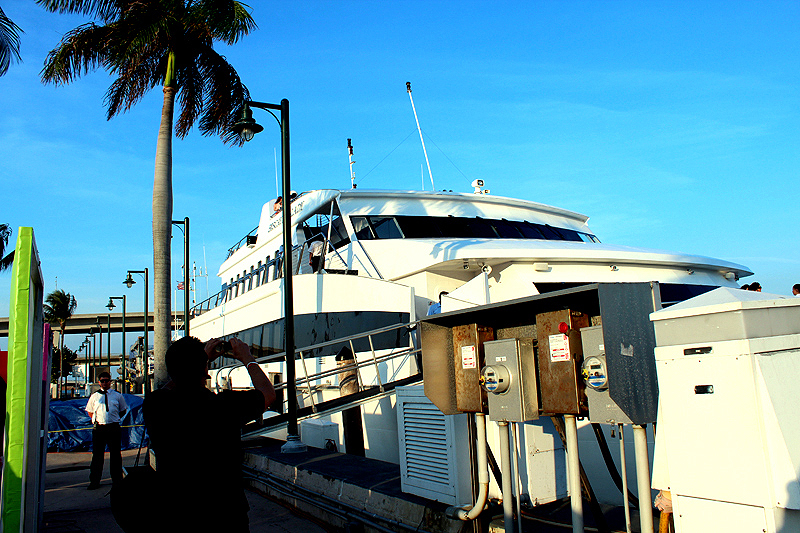 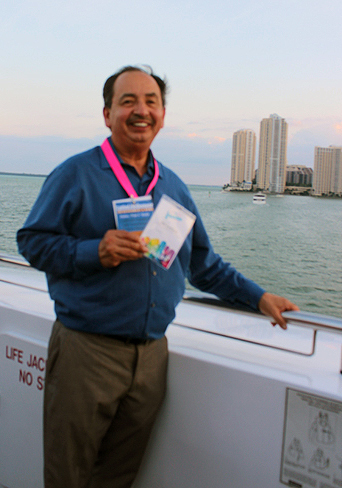 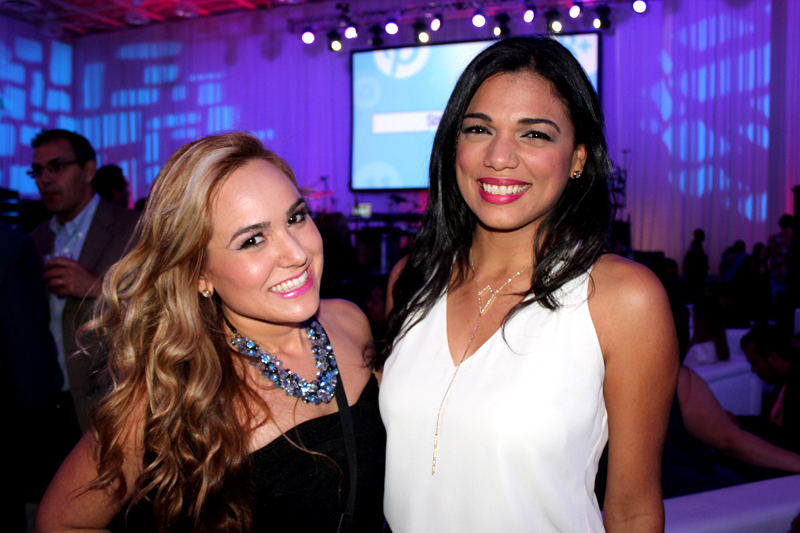 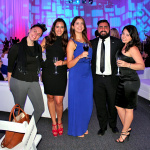 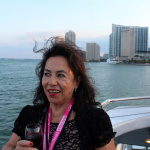 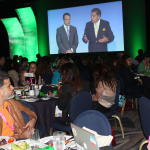 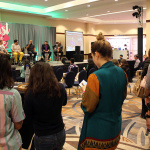 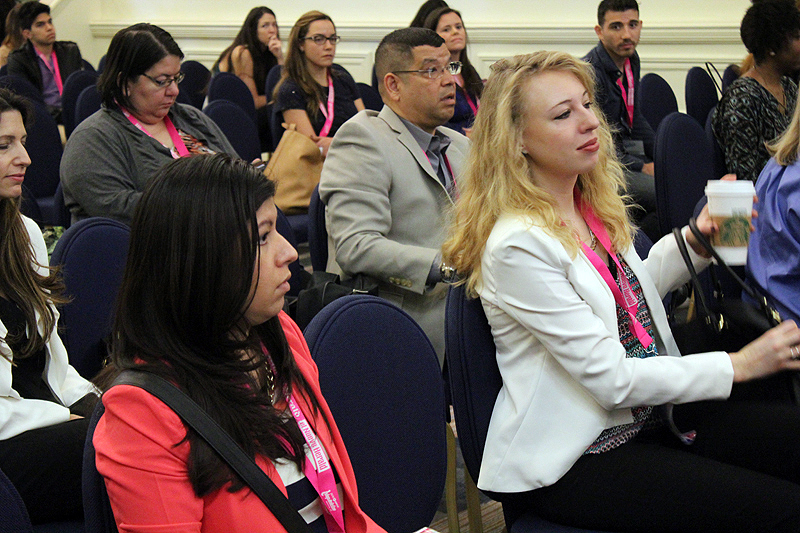 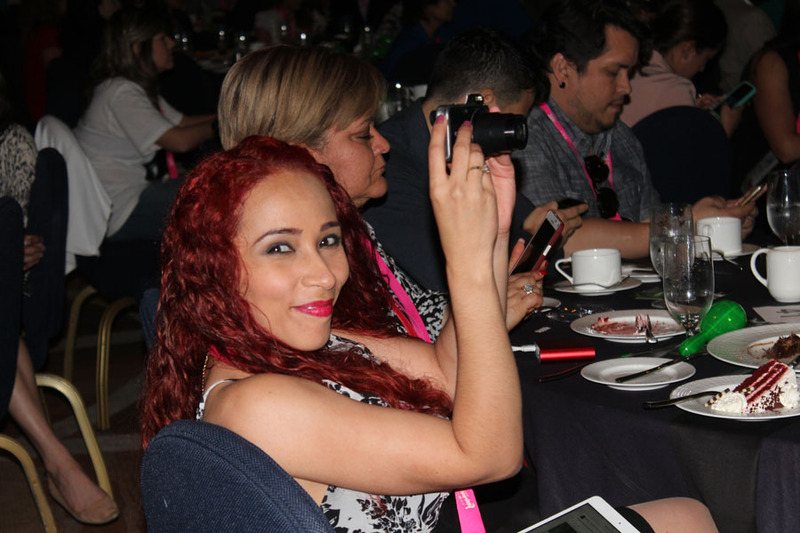 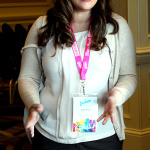 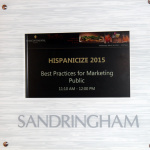 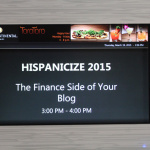 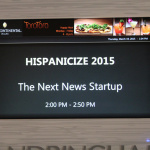 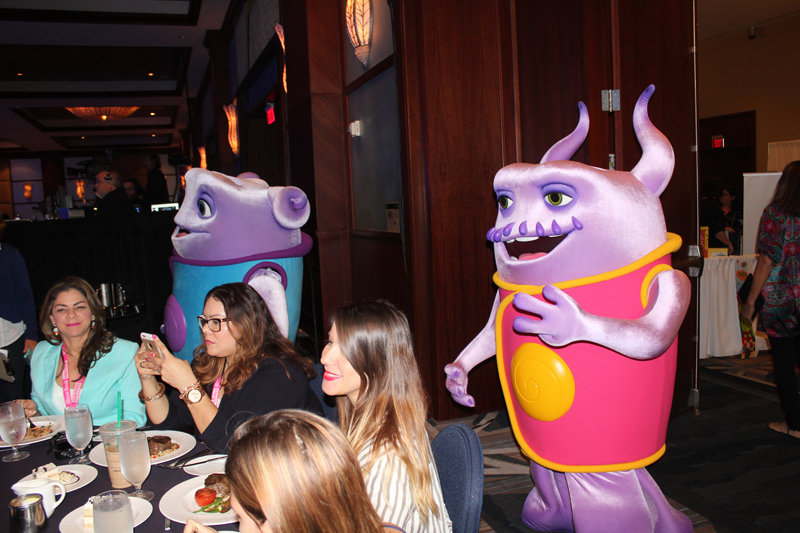 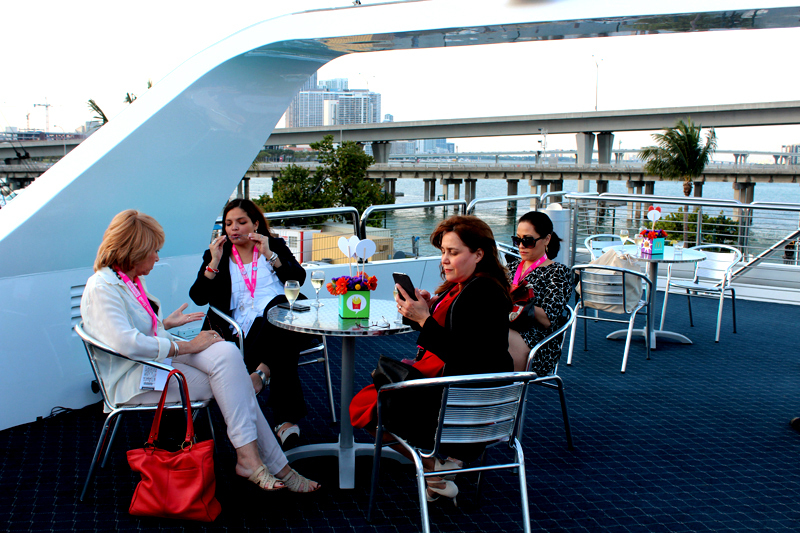 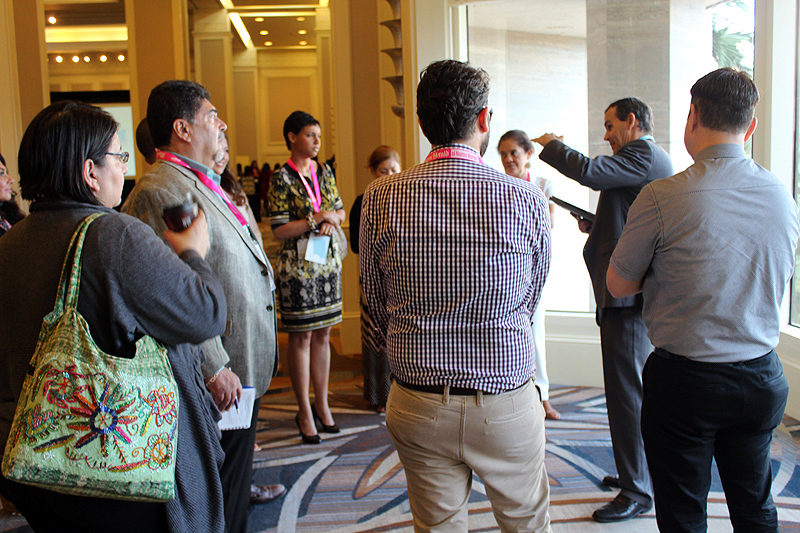 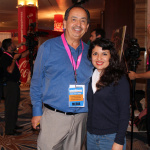 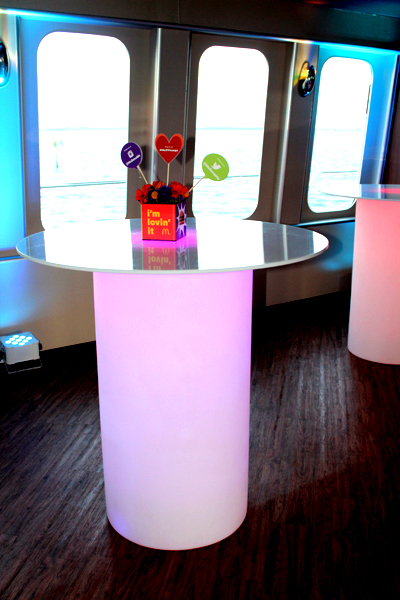 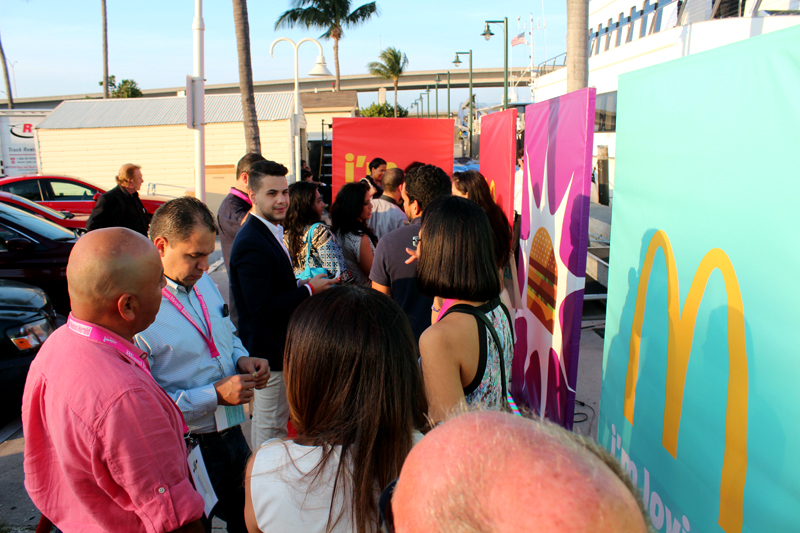 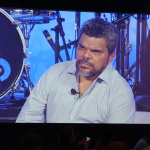 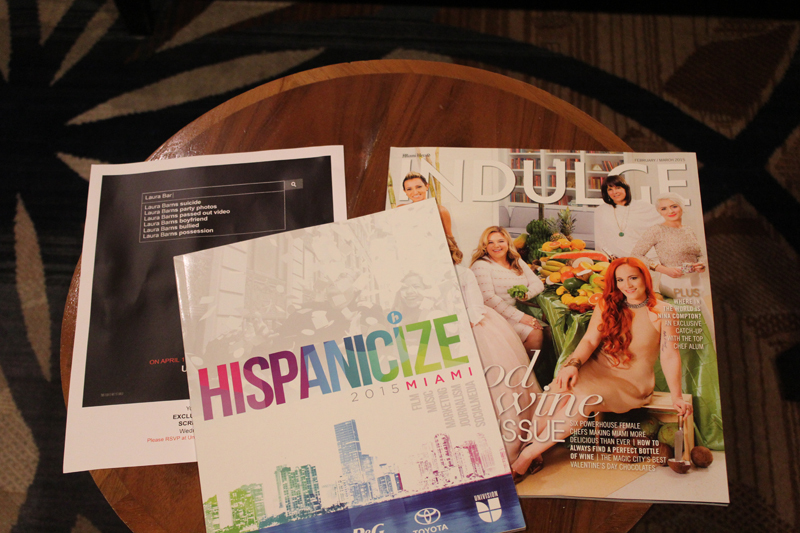 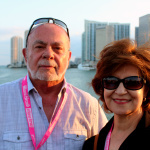 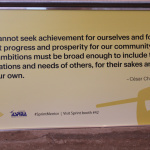 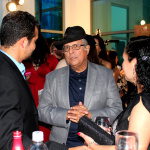 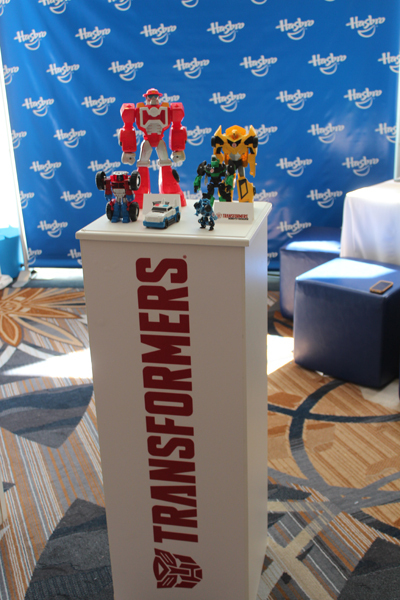 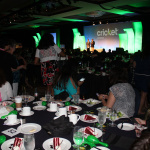 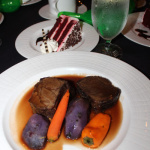 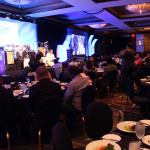 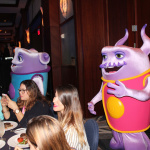 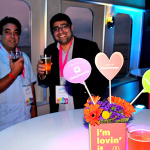 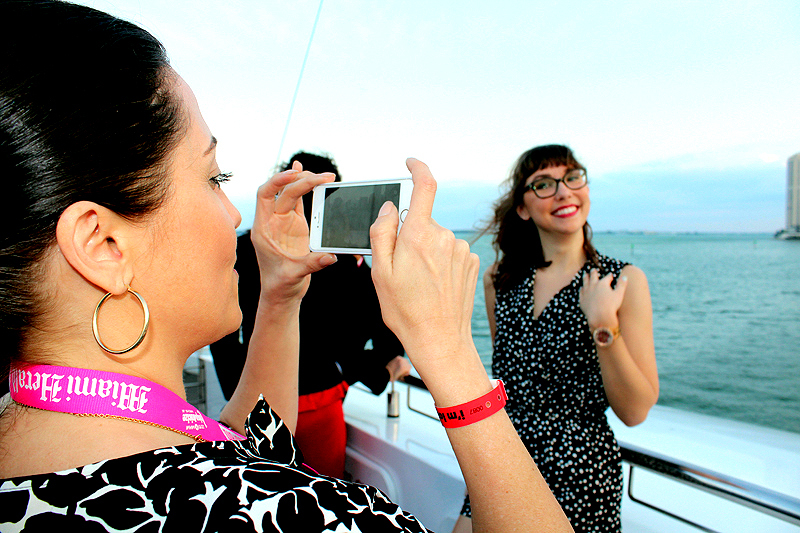 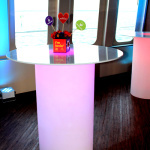 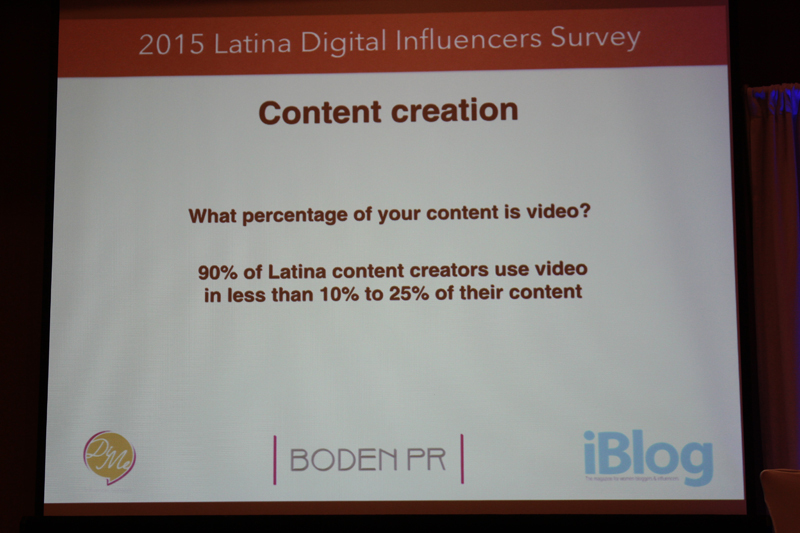 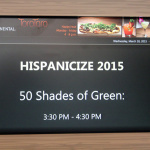 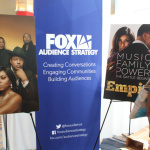 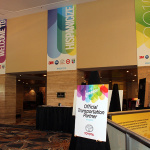 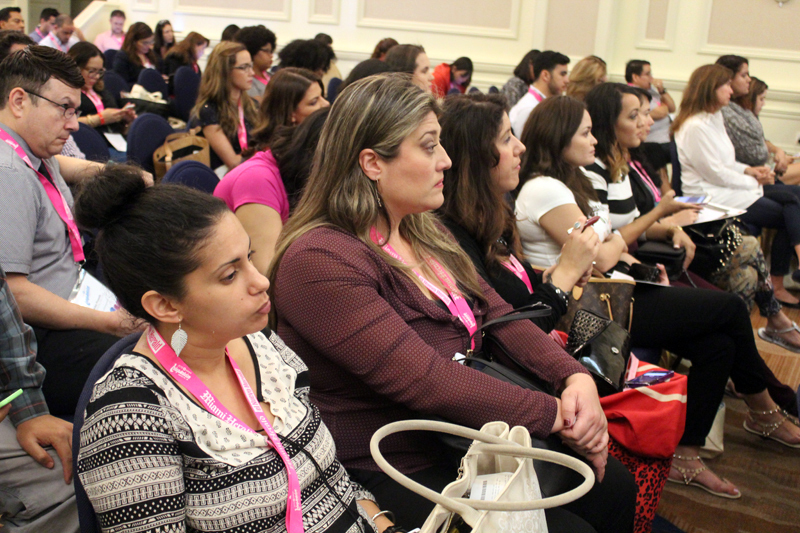 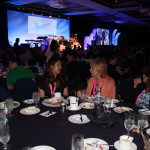 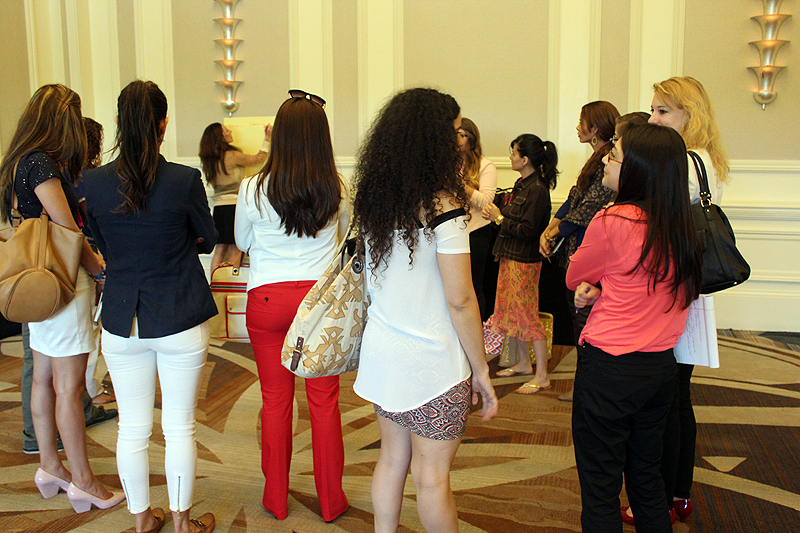 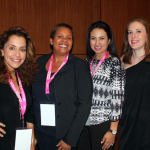 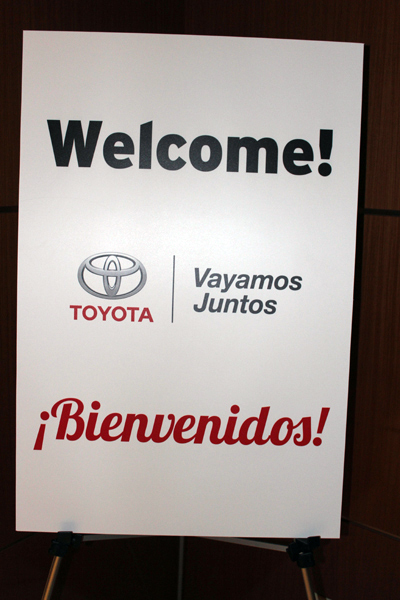 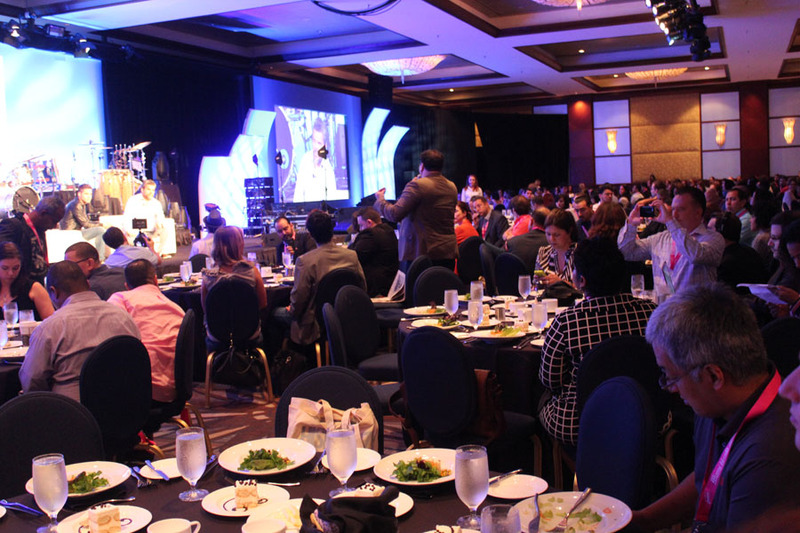 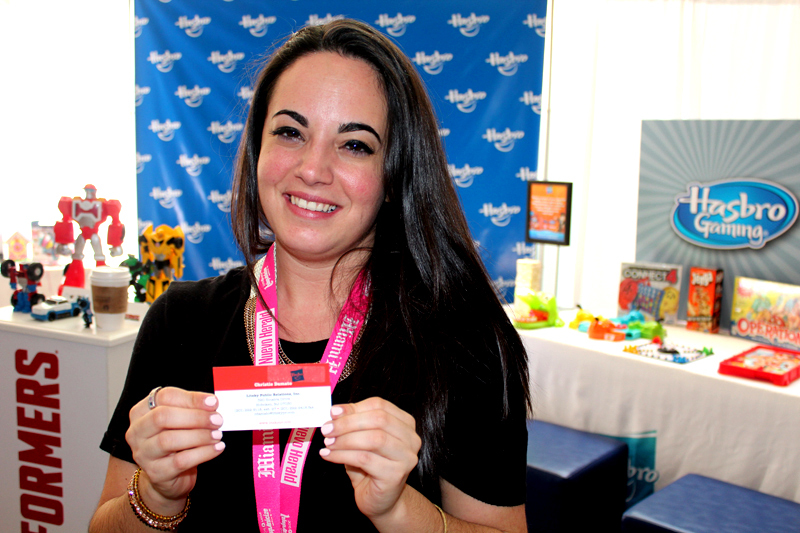 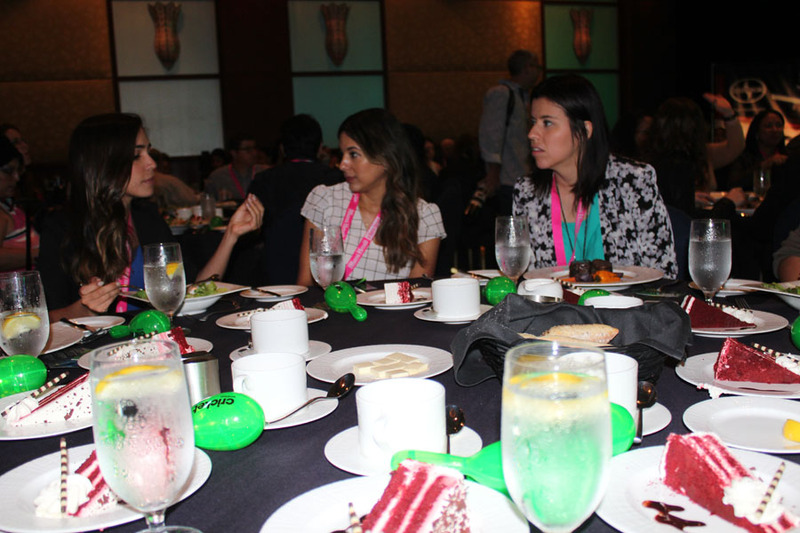 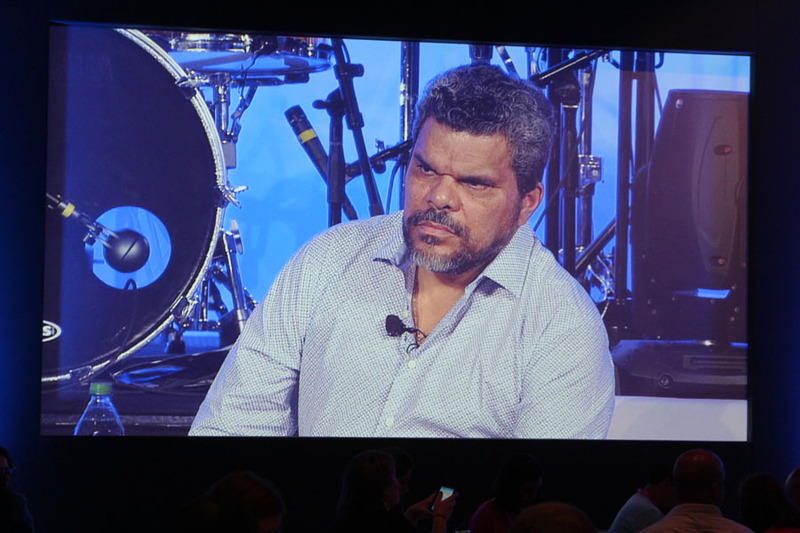 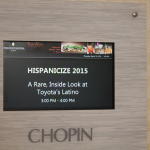 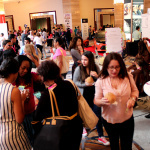 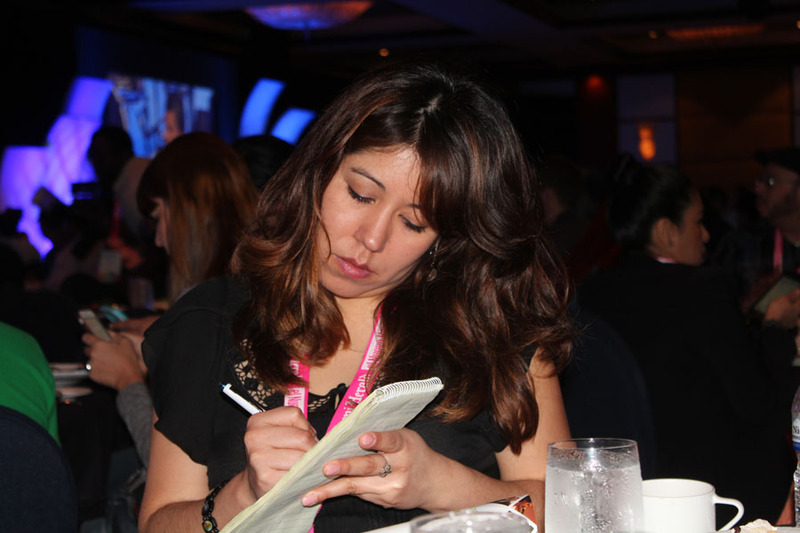 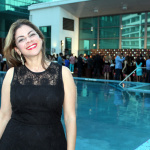 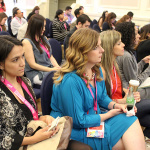 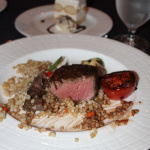 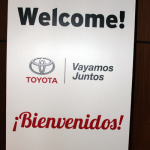 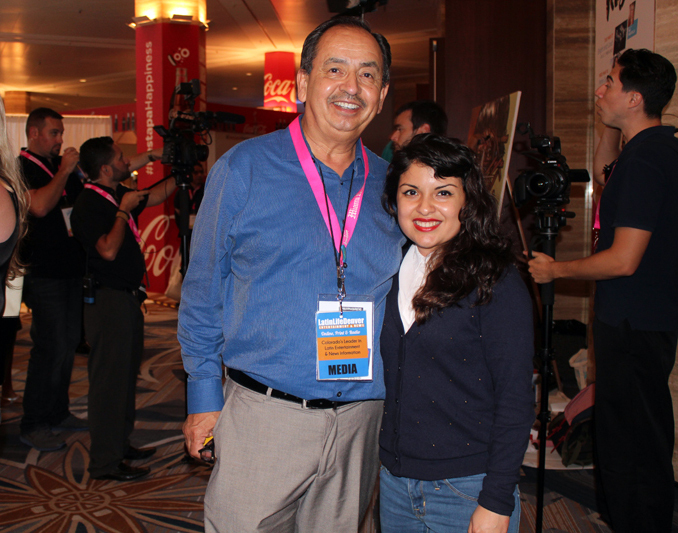 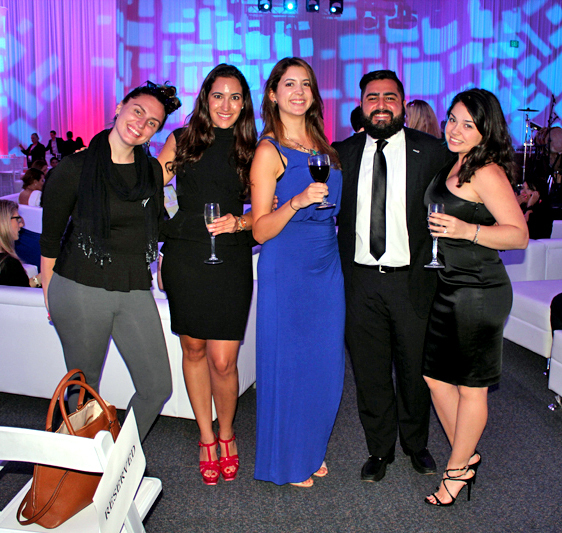 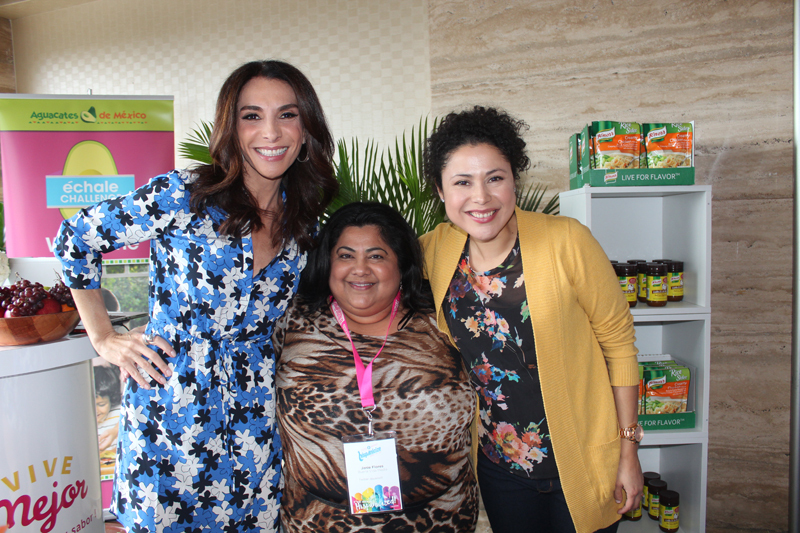 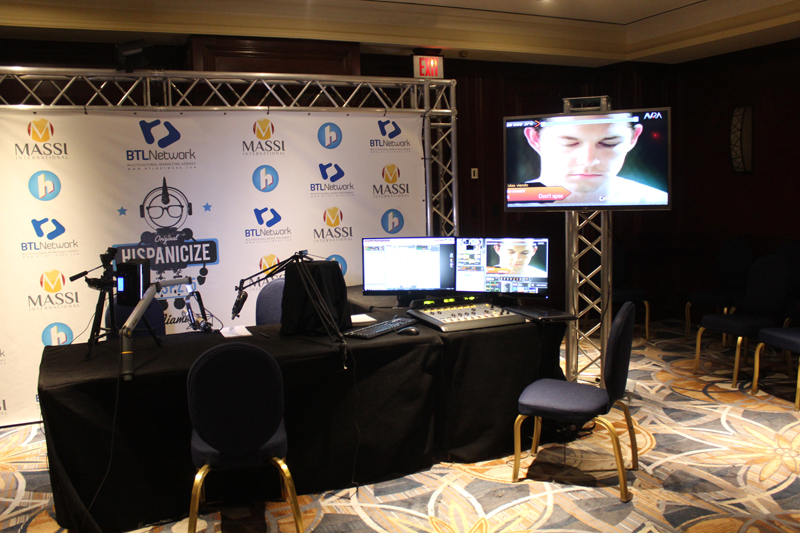 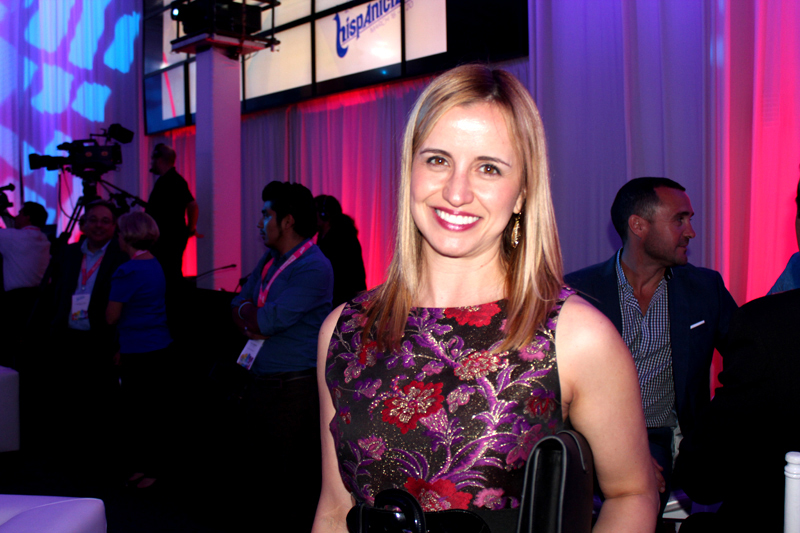 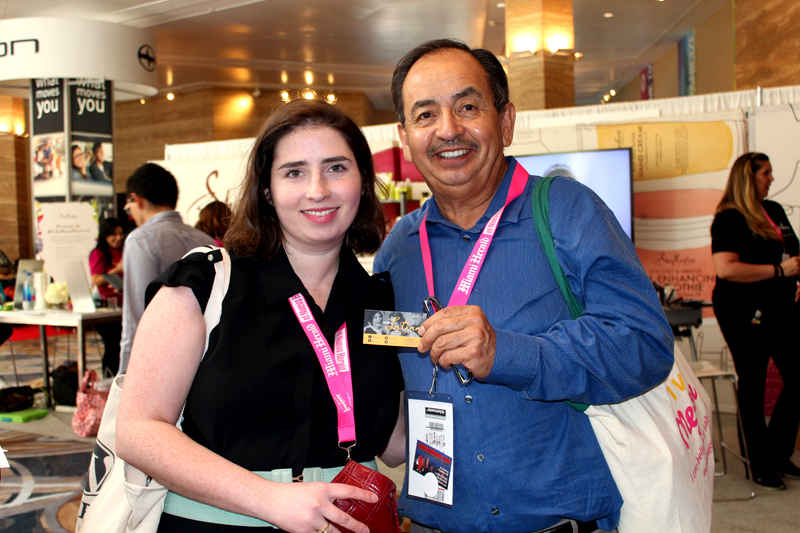 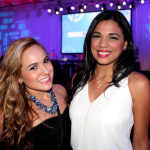 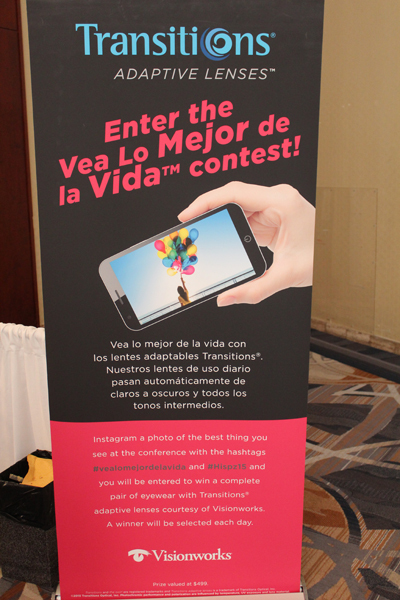 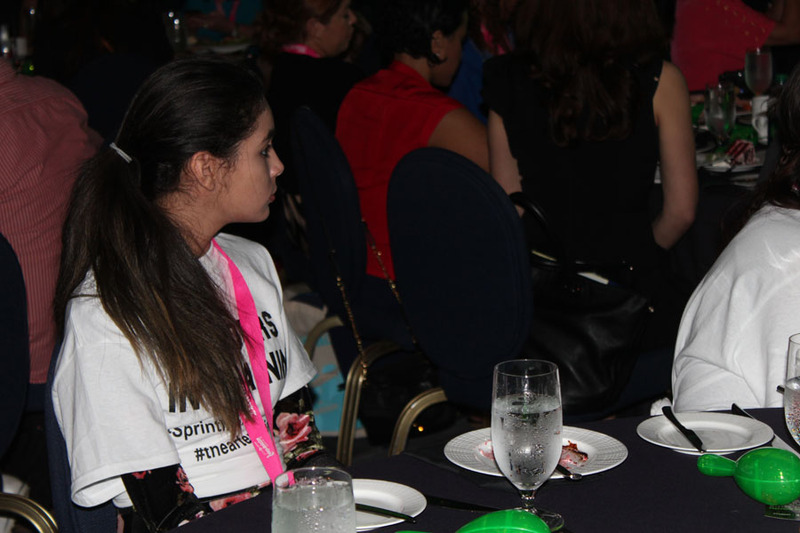 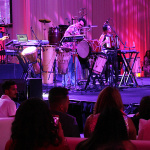 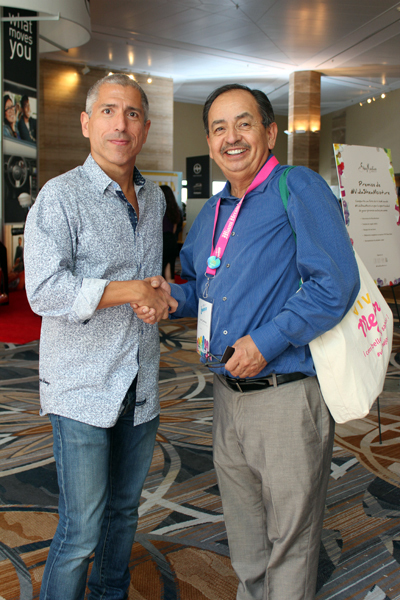 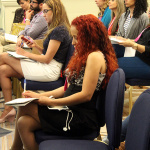 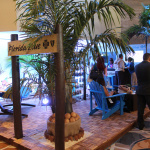 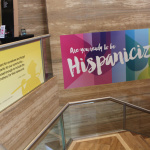 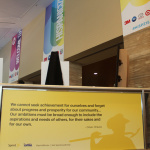 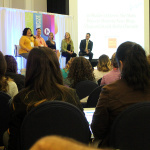 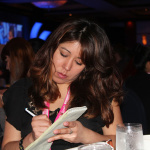 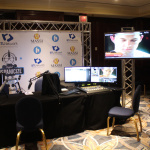 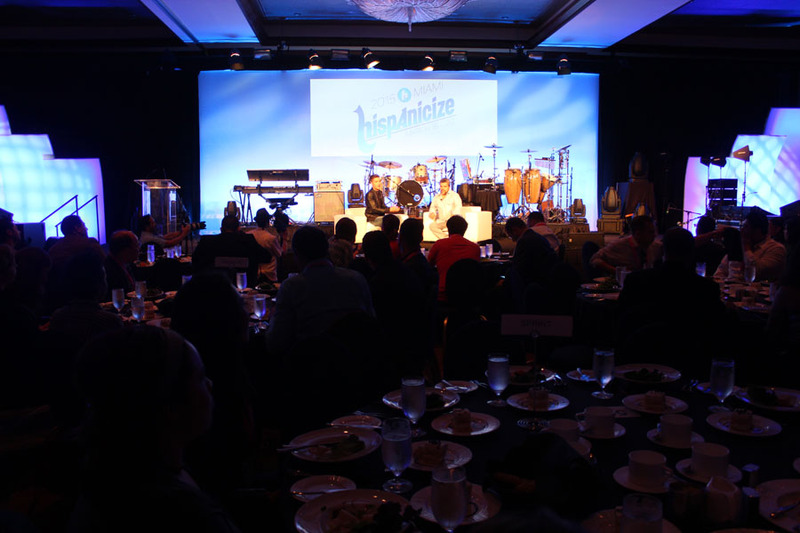 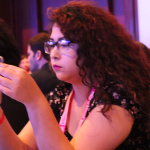 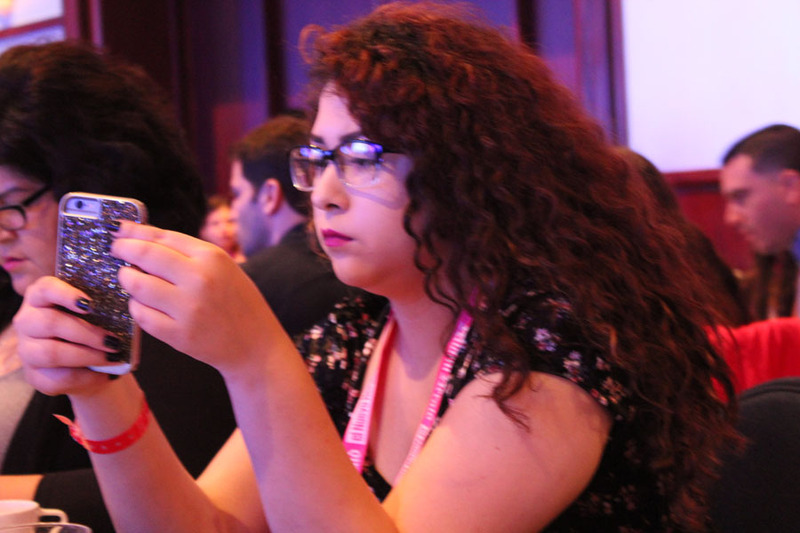 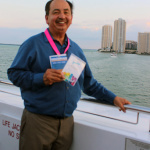 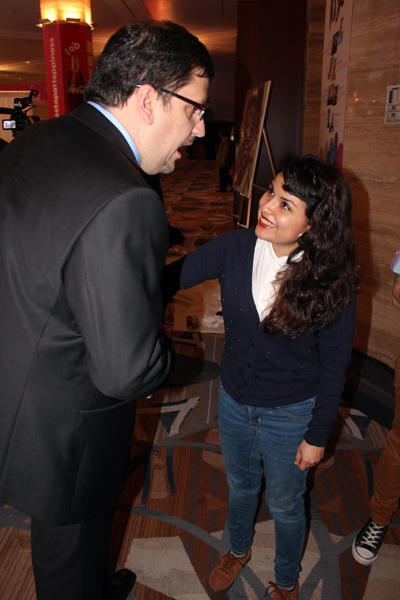 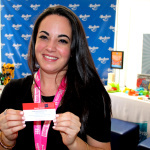 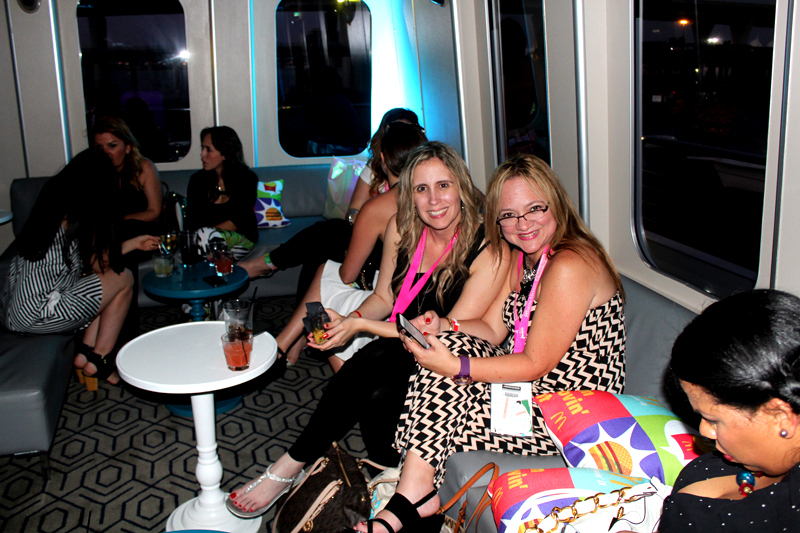 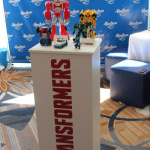 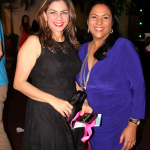 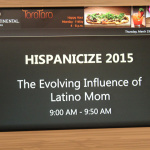 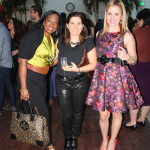 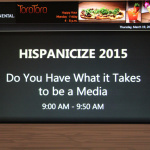 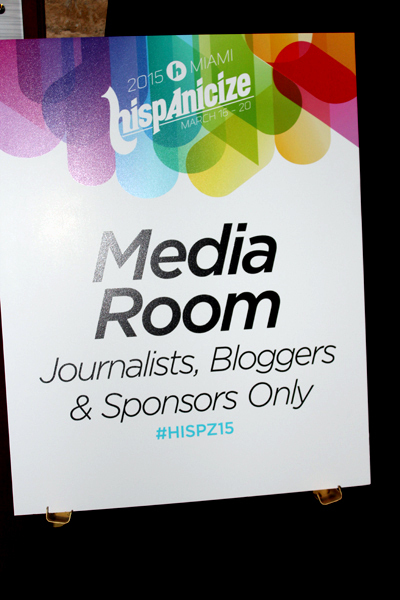 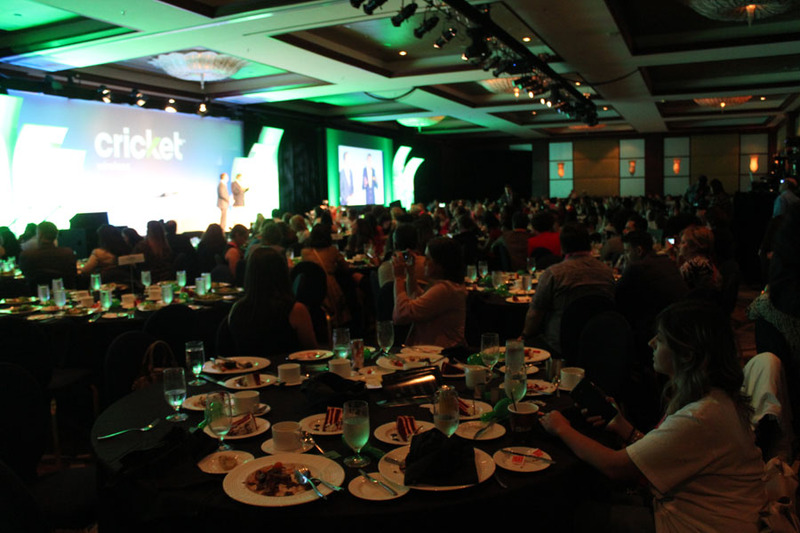 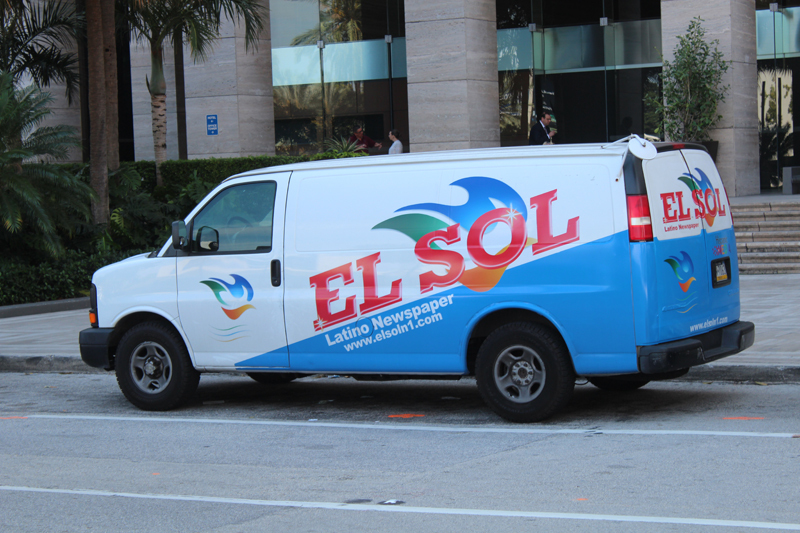 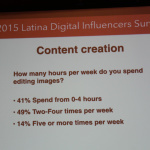 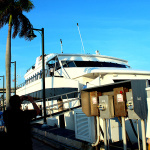 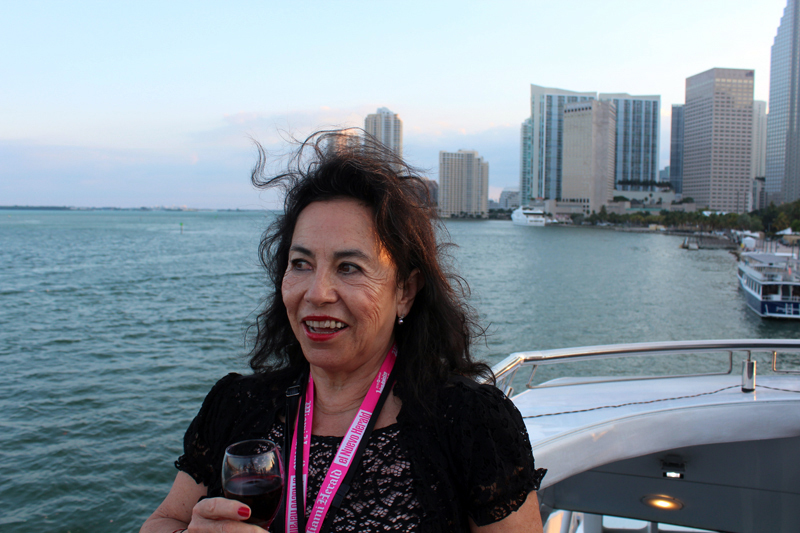 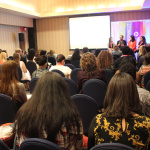 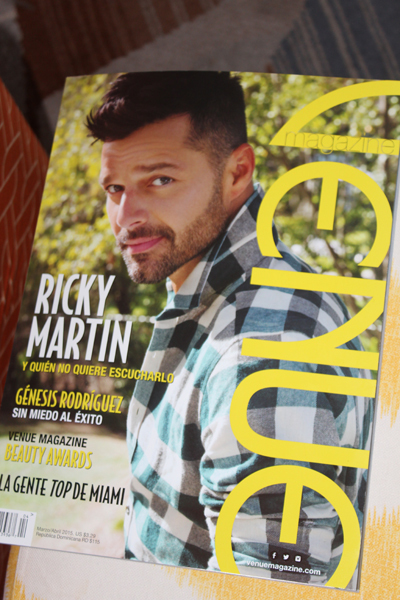 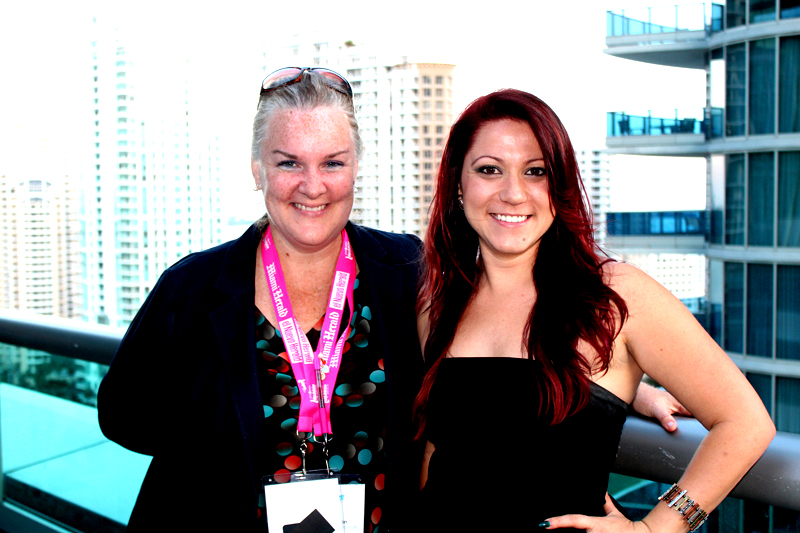 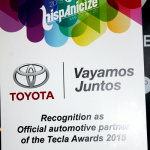 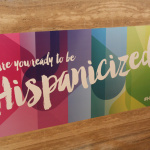 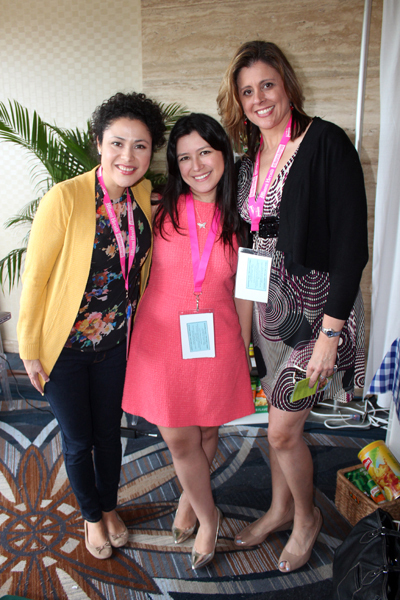 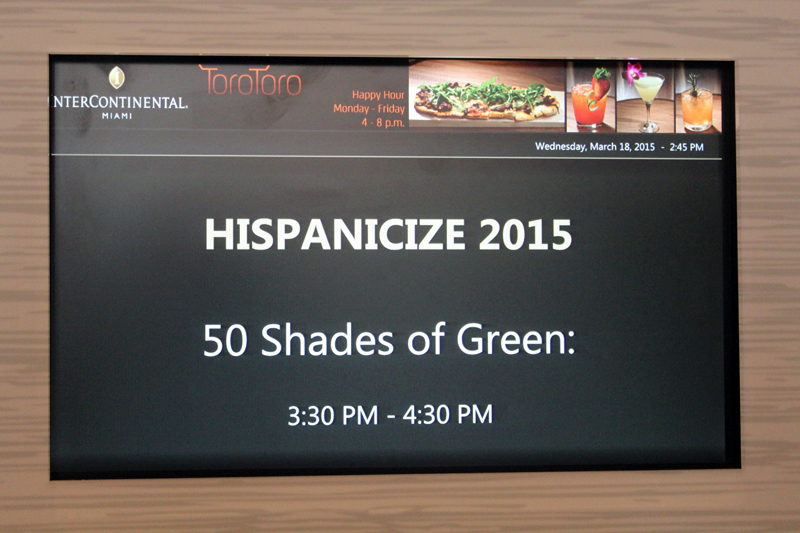 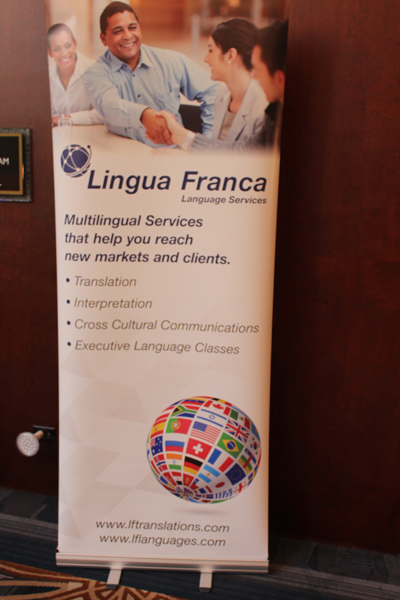 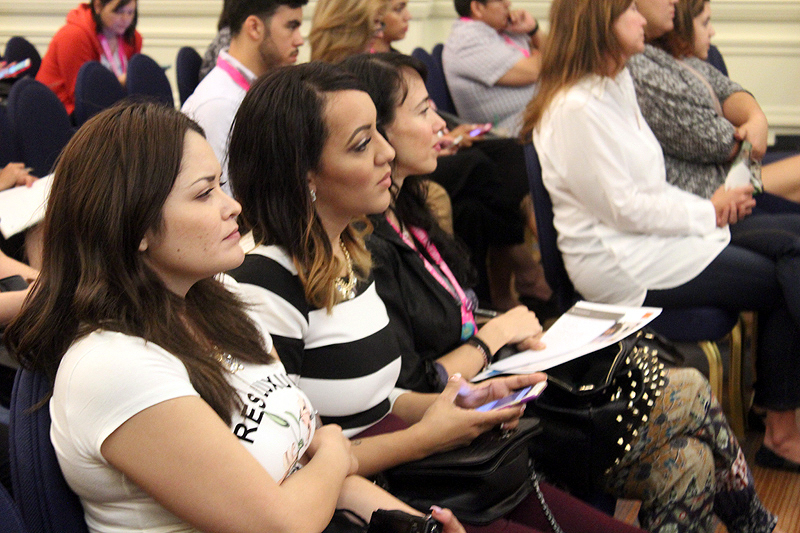 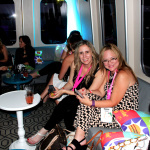 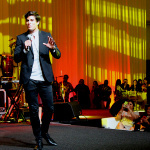 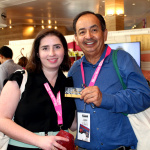 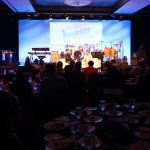 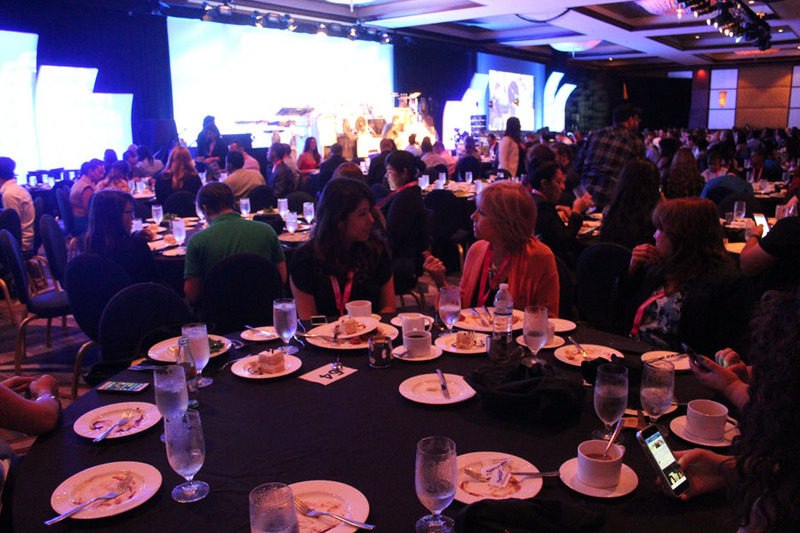 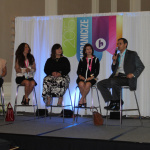 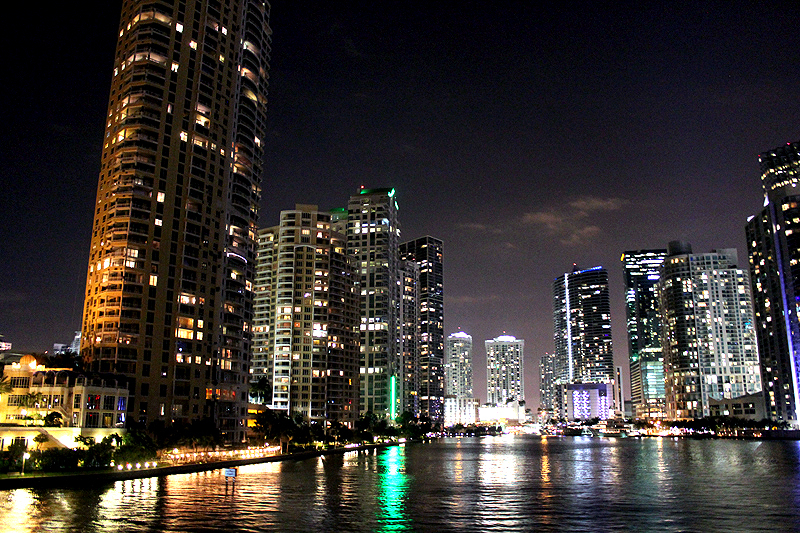 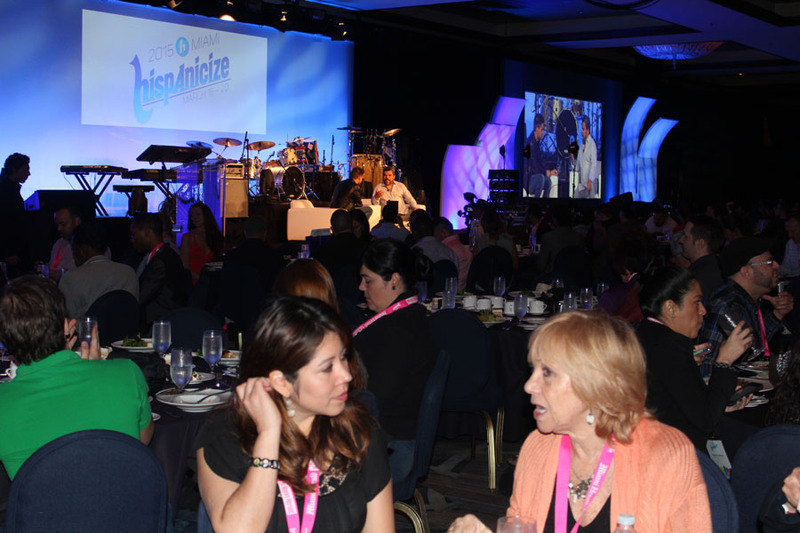 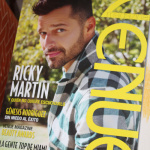 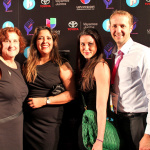 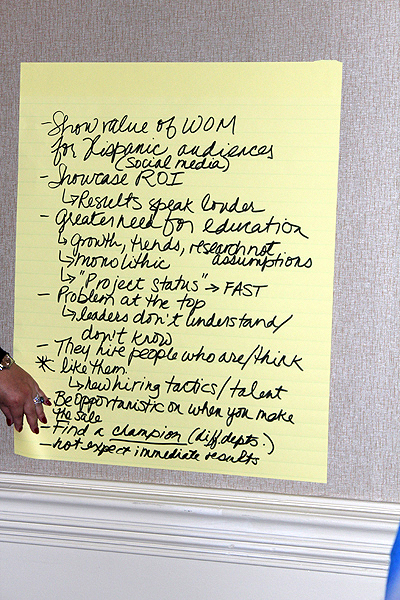 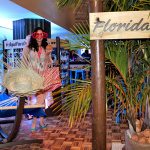 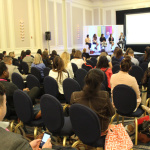 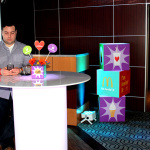 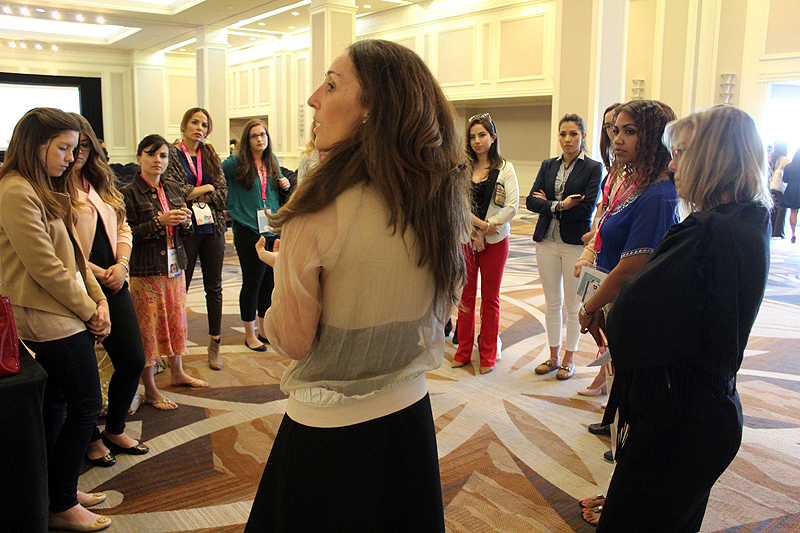 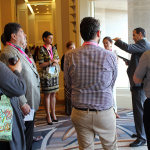 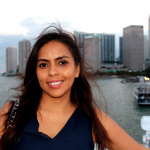 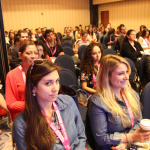 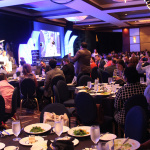 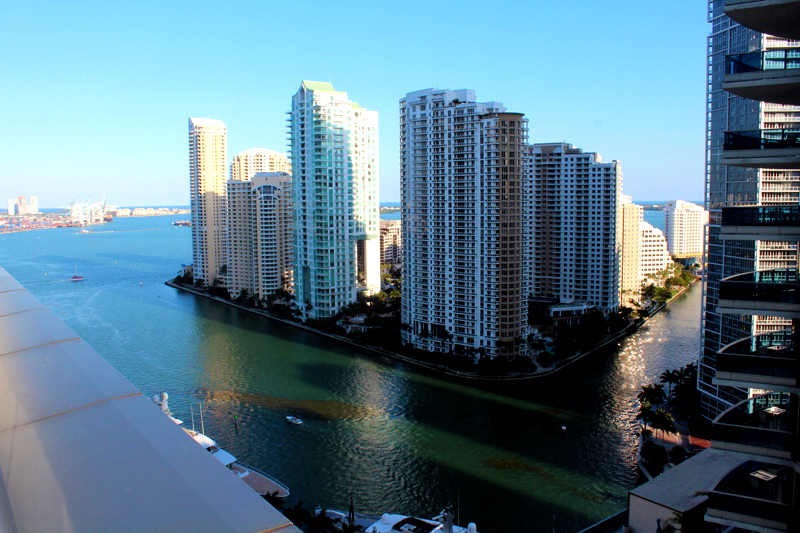 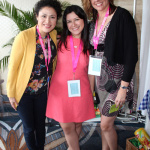 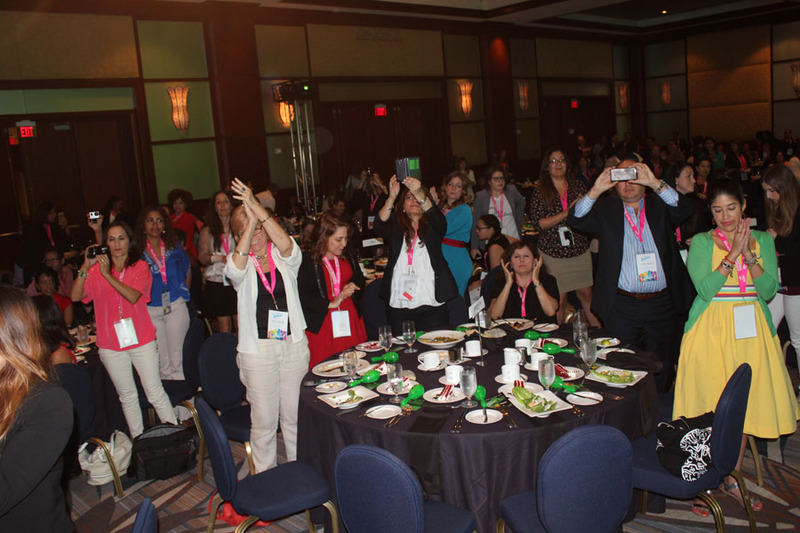 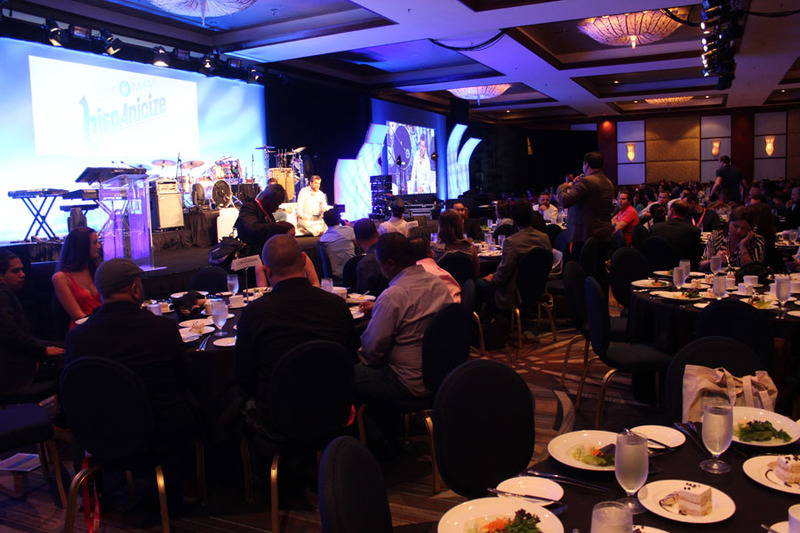 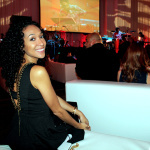 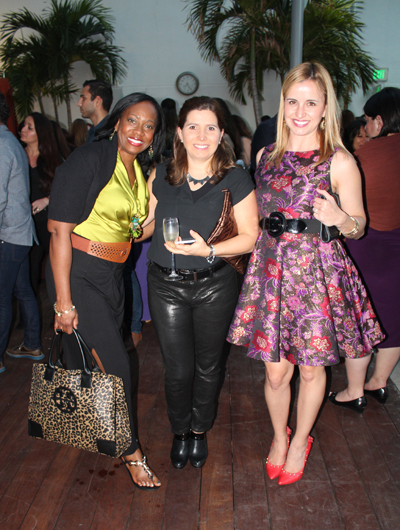 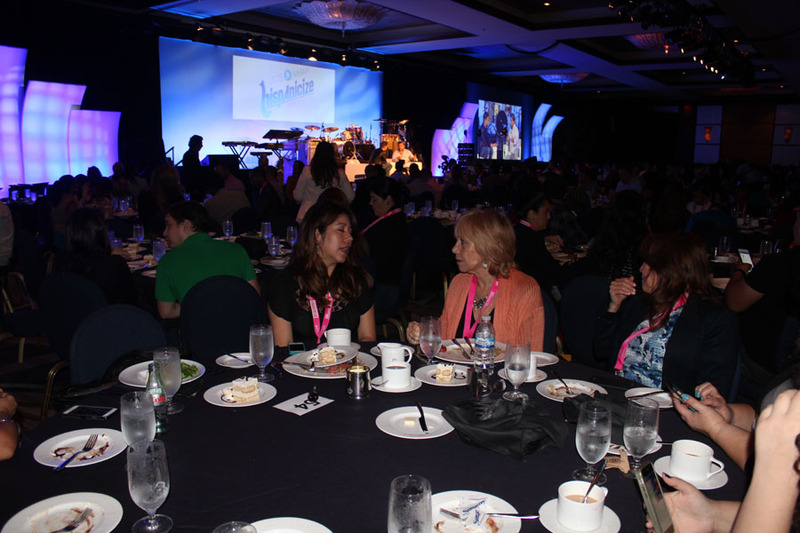 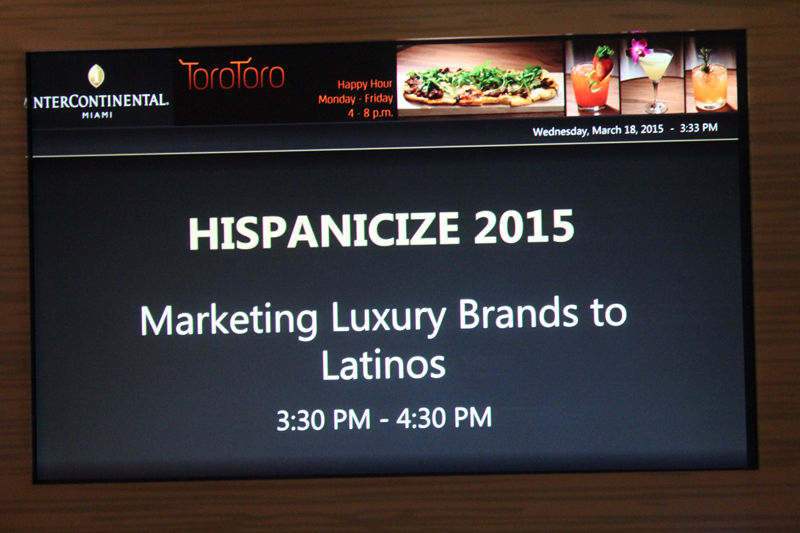 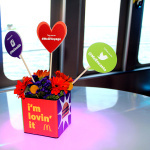 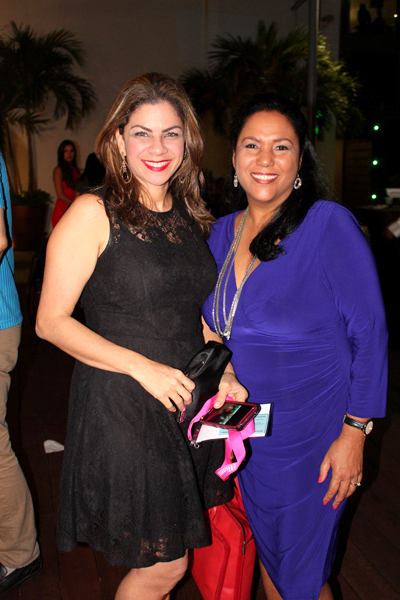 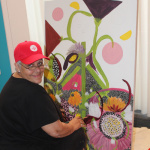 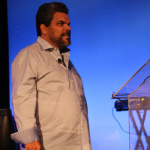 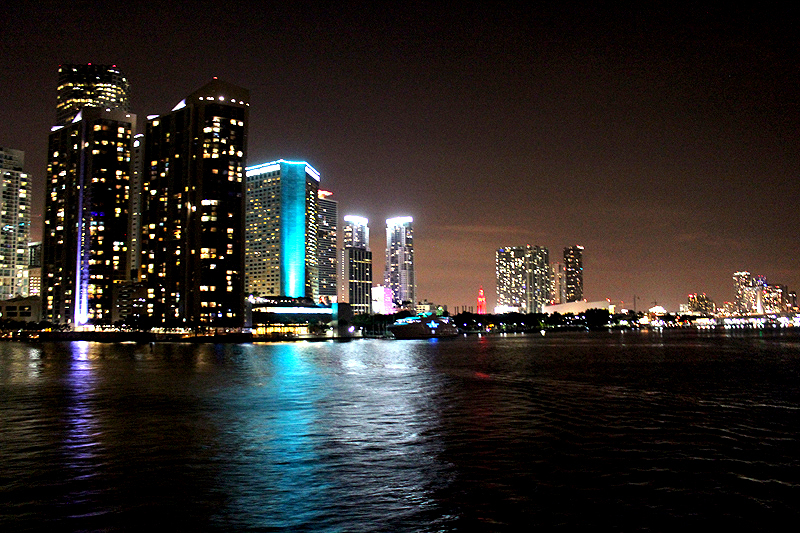 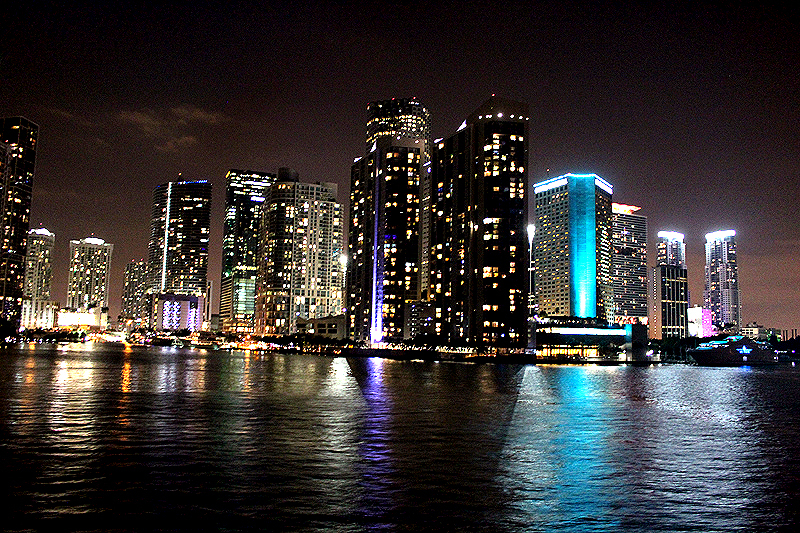 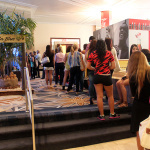 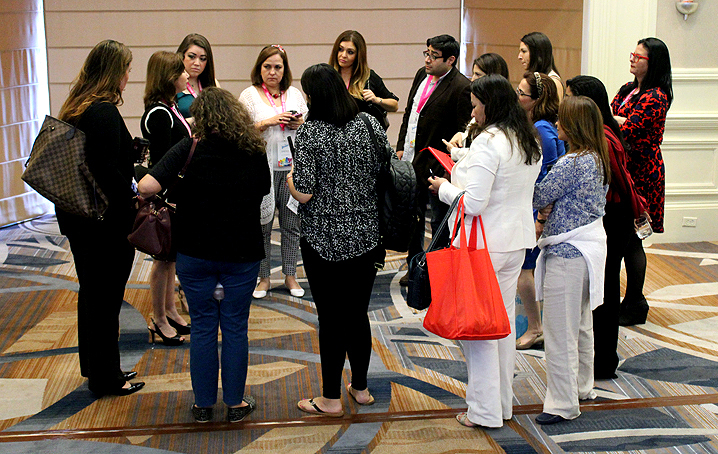 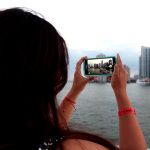 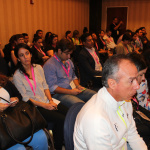 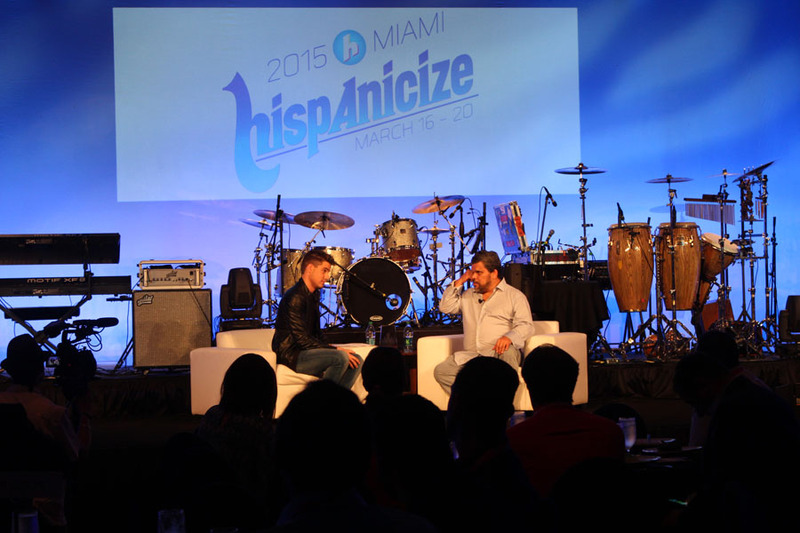 In Miami’s beautiful Intercontinental Hotel , a medley of Latino media trendsetters, including professionals in video, blogging, music, public relations and journalism met for the sixth annual Hispanicize 2015 conference on March 16-20. 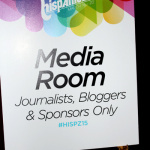 Latin Life Denver was pleased to return for a second year to cover this incredible media movement. 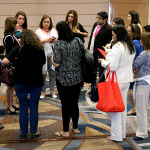 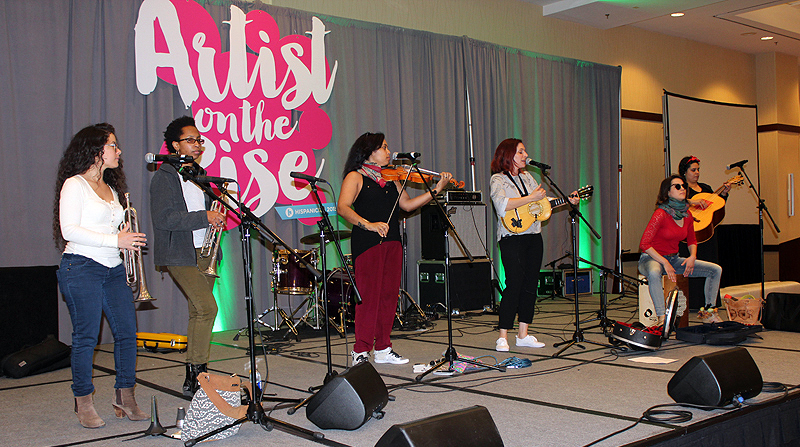 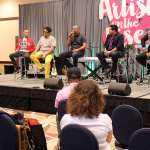 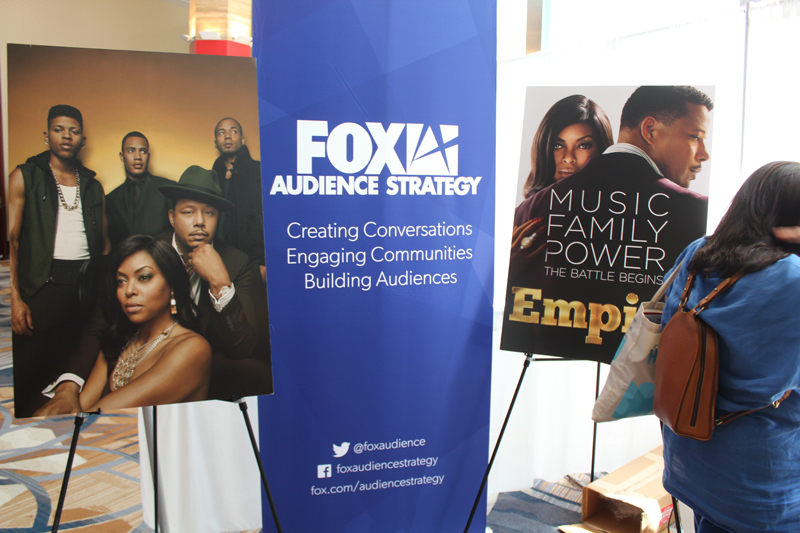 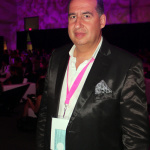 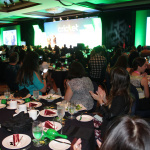 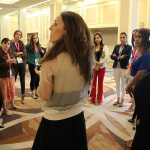 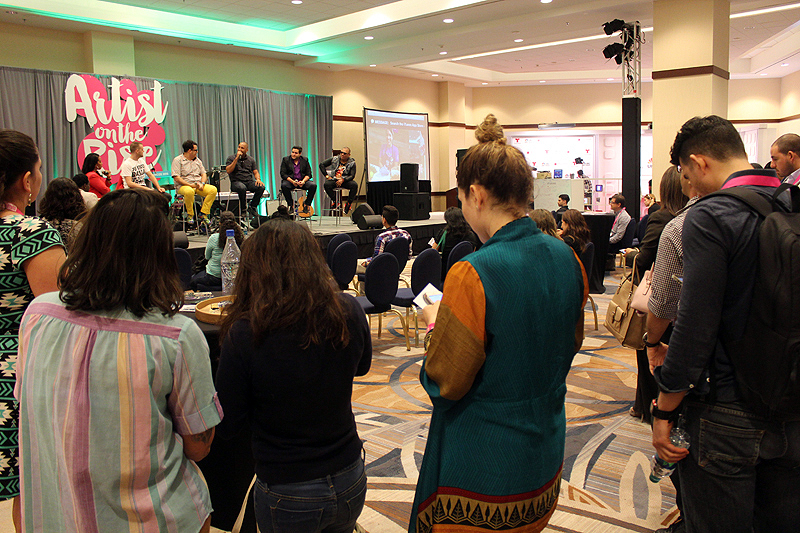 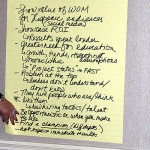 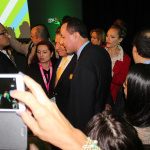 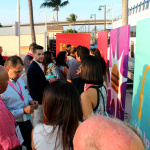 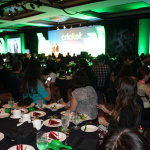 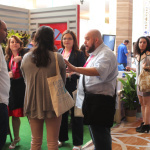 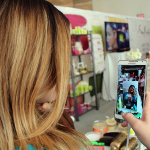 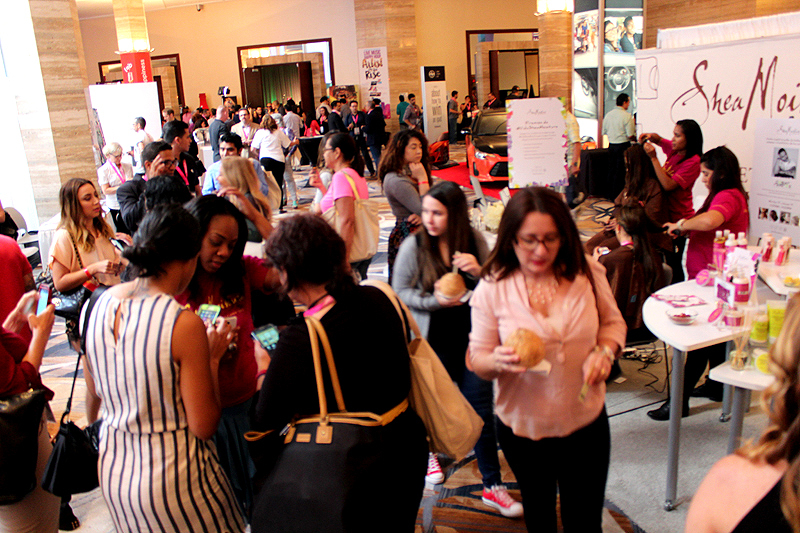 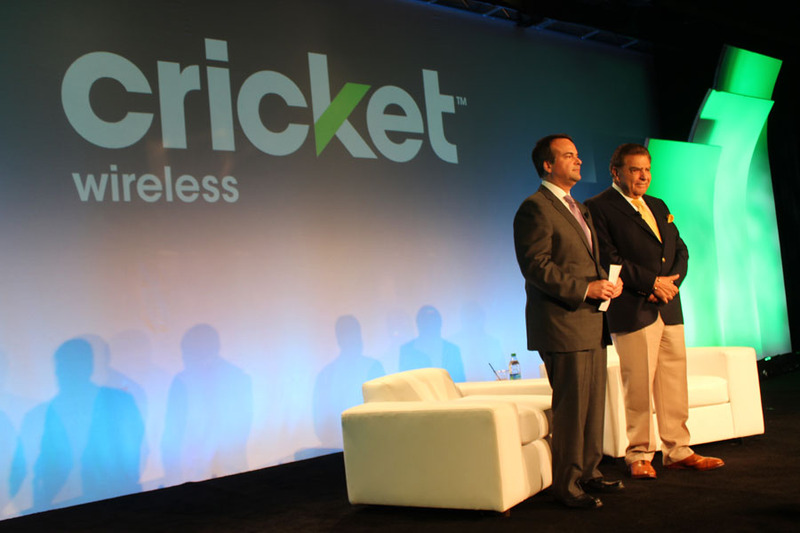 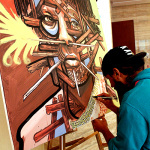 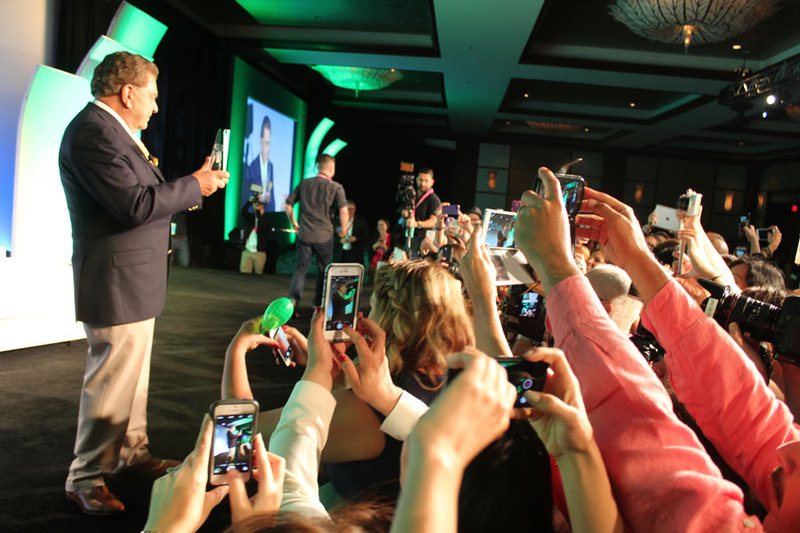 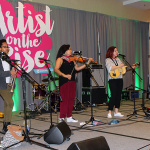 The event, founded by public relations expert and entrepreneur Manny Ruiz, enabled more than 2,000 participants to meet with influencers and pick up new skills to apply to online media. 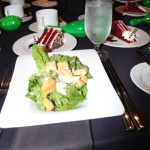 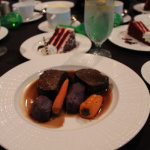 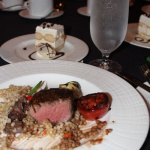 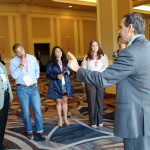 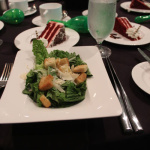 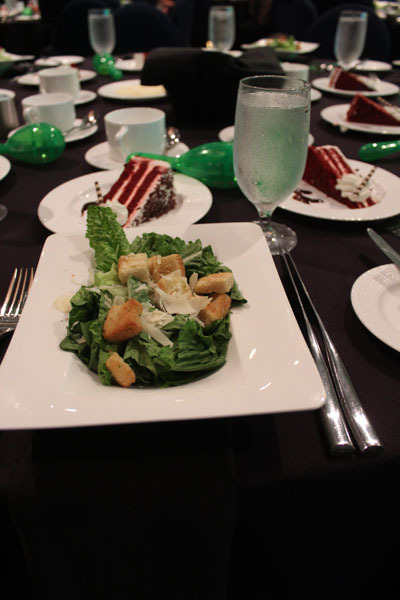 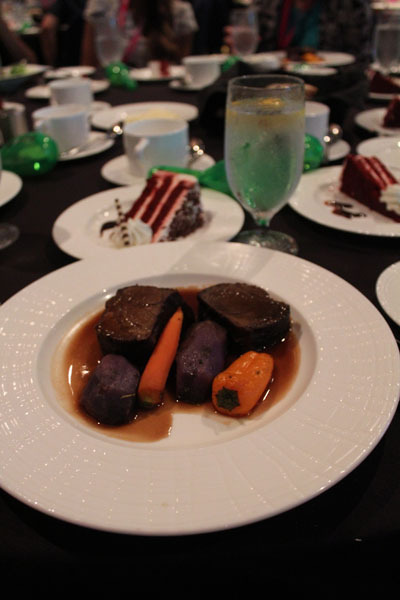 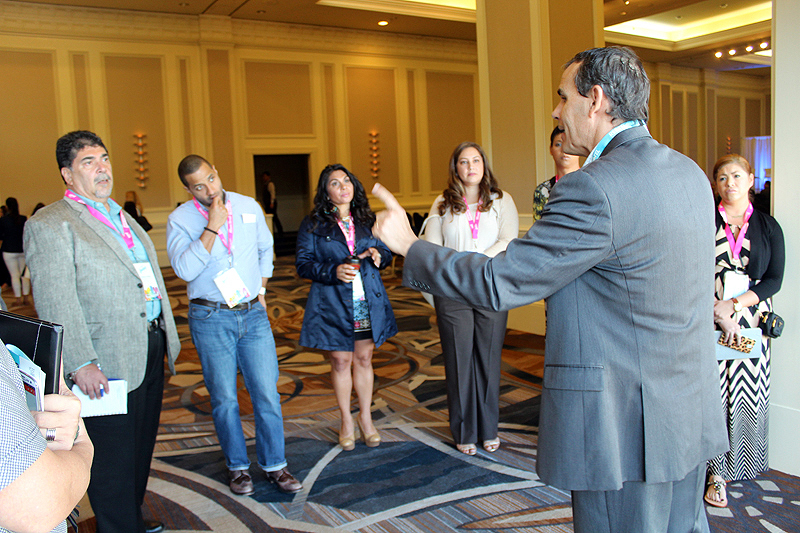 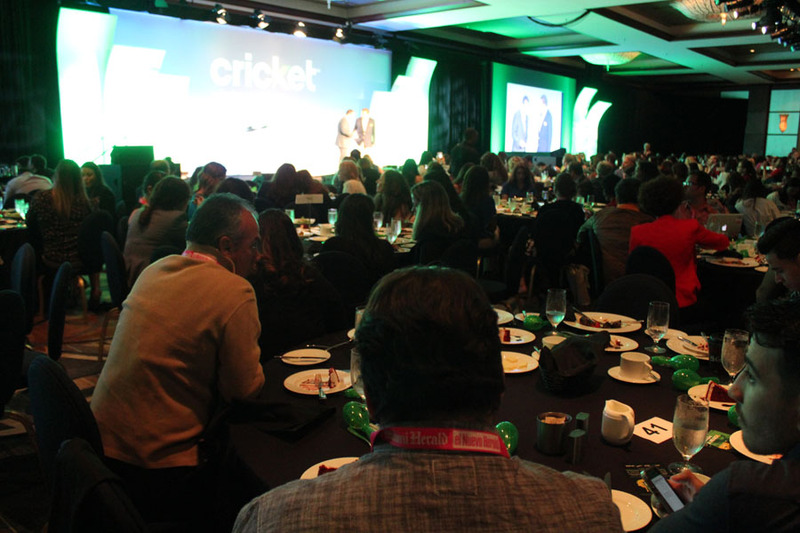 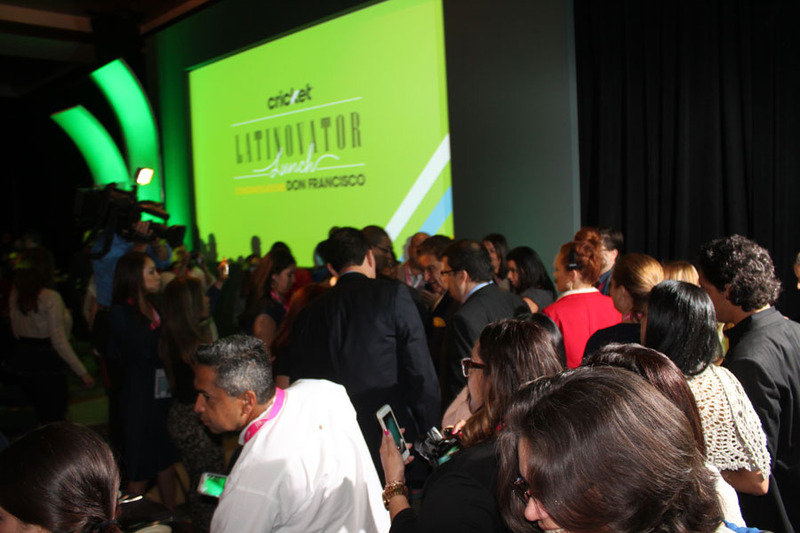 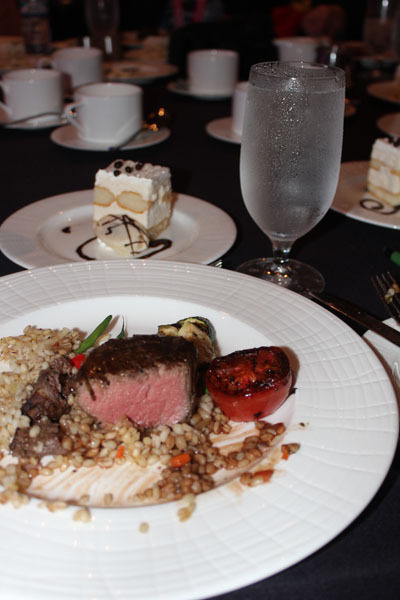 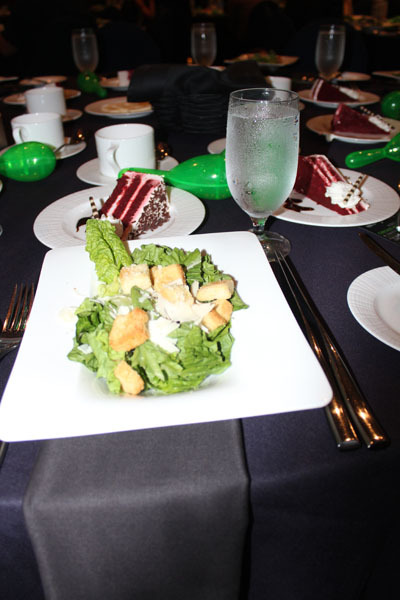 A “Latinovator” lunch, where a top media influencer was honored for his or her contribution to Latino media took place daily in a week packed with panels and workshops led by professionals in the field. 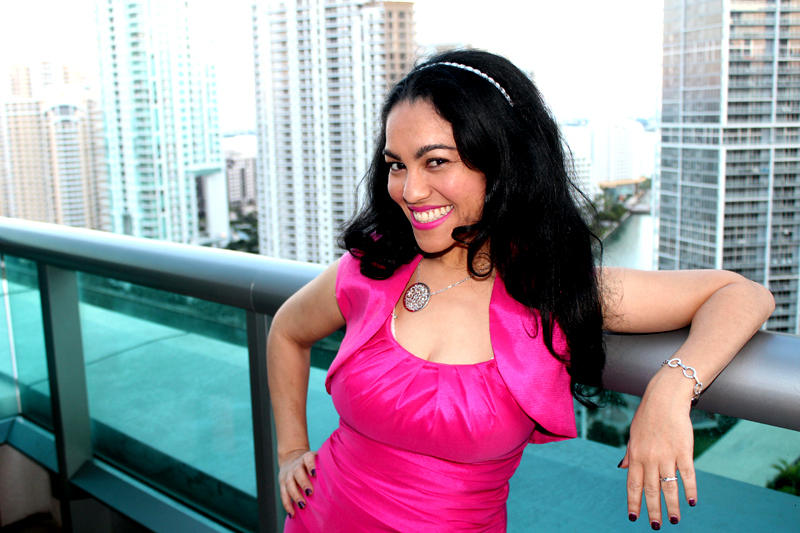 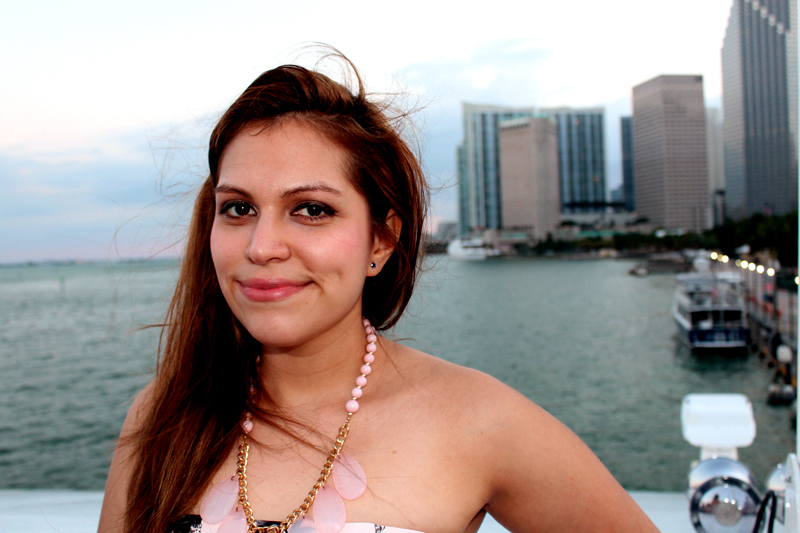 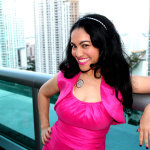 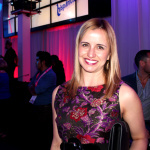 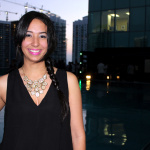 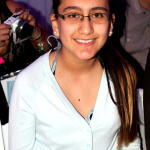 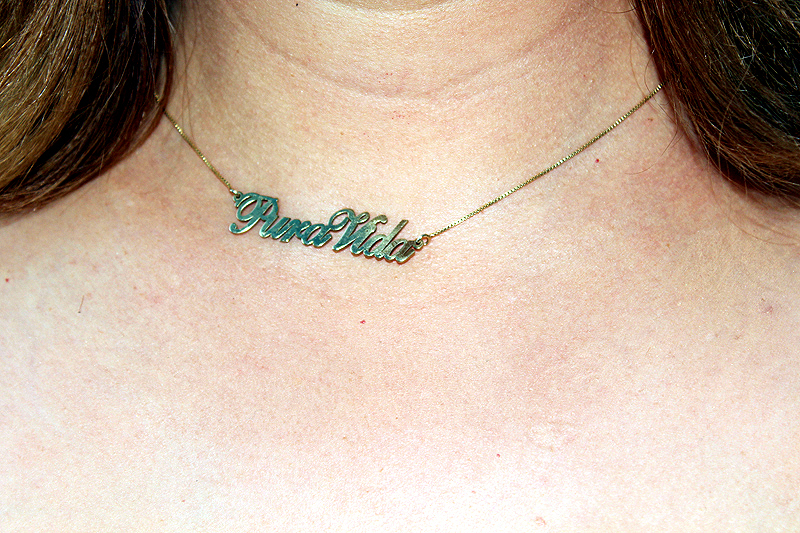 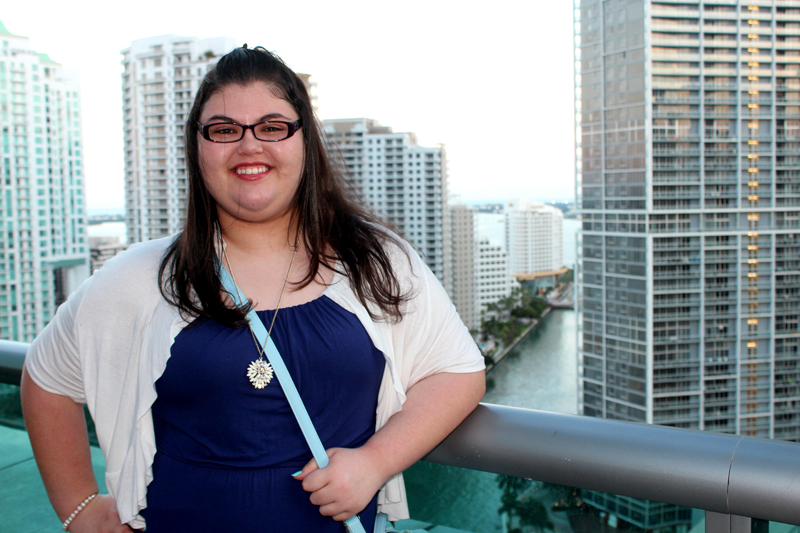 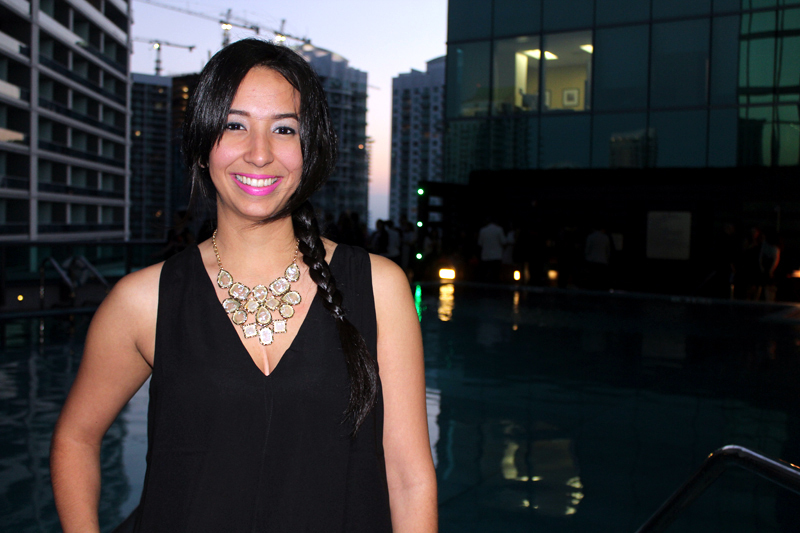 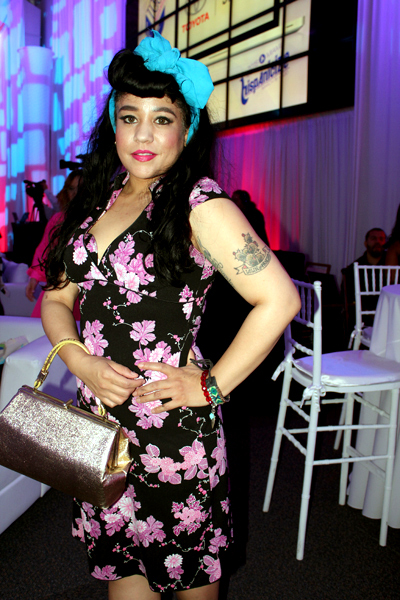 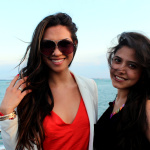 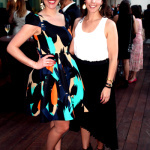 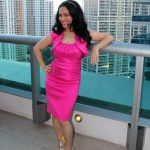 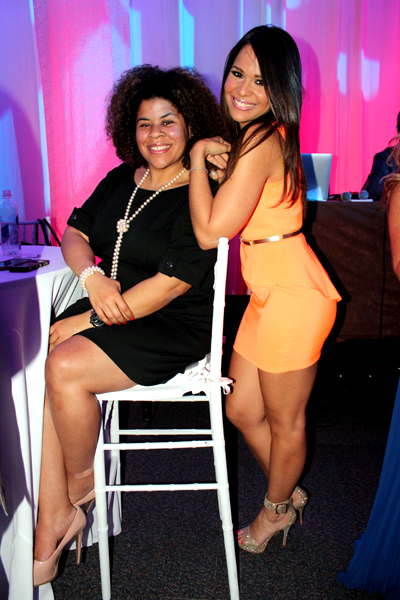 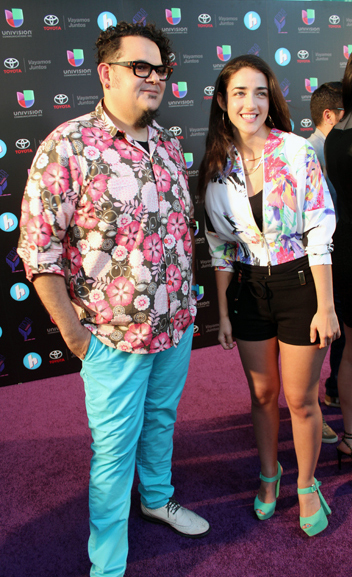 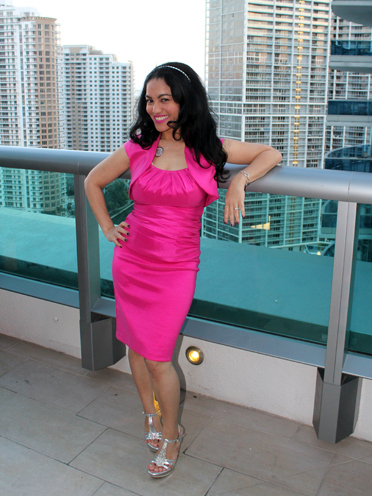 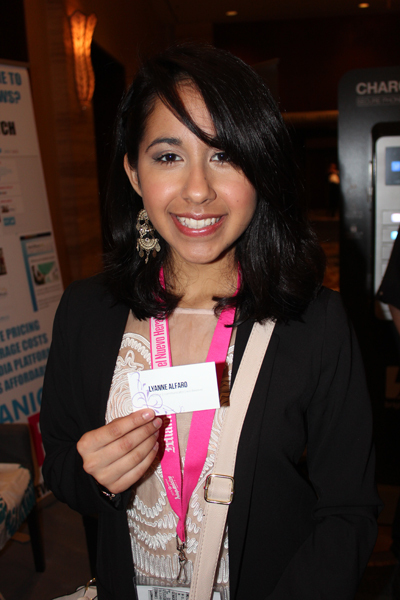 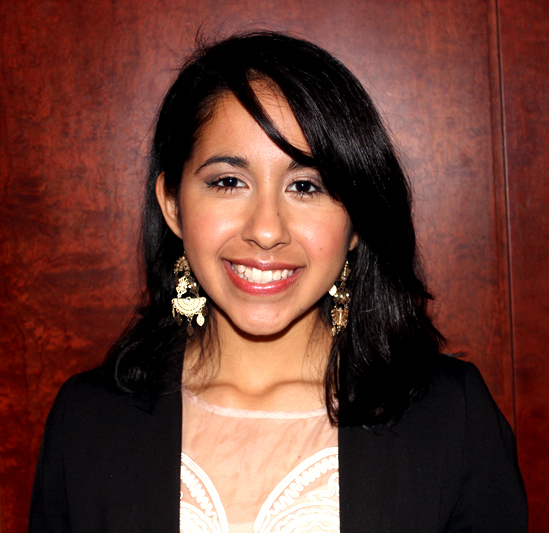 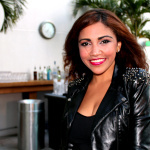 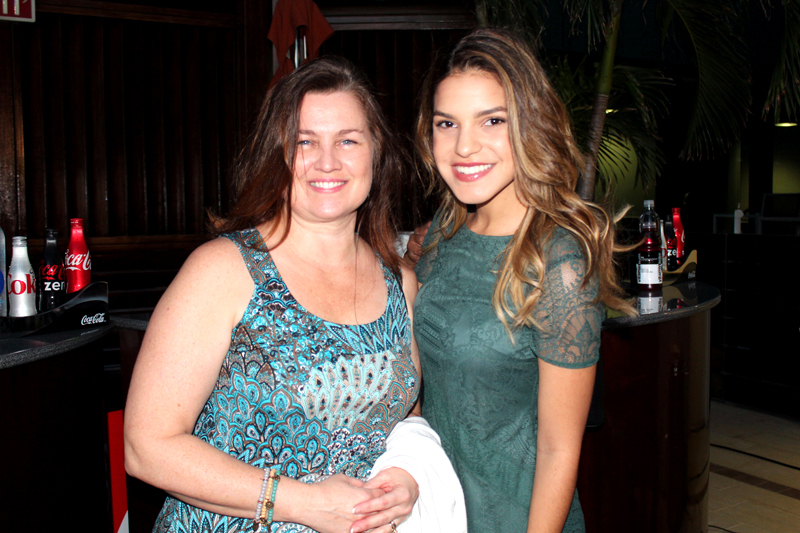 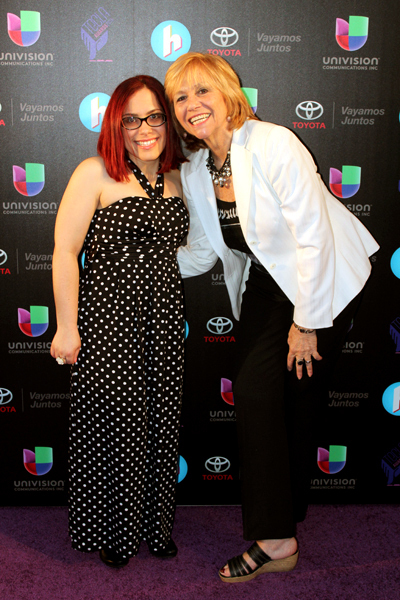 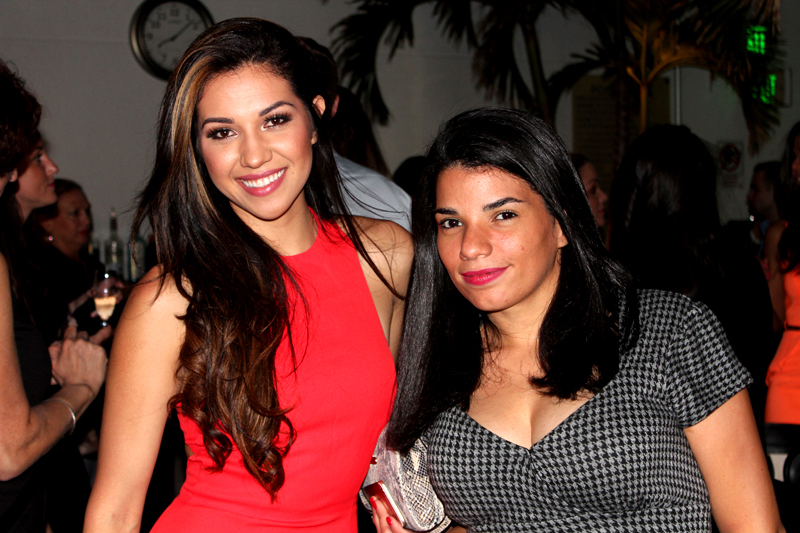 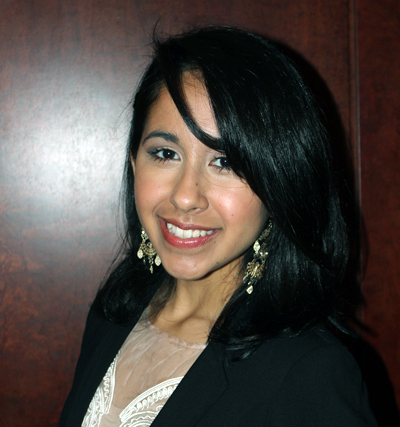 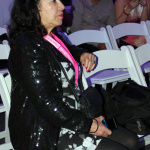 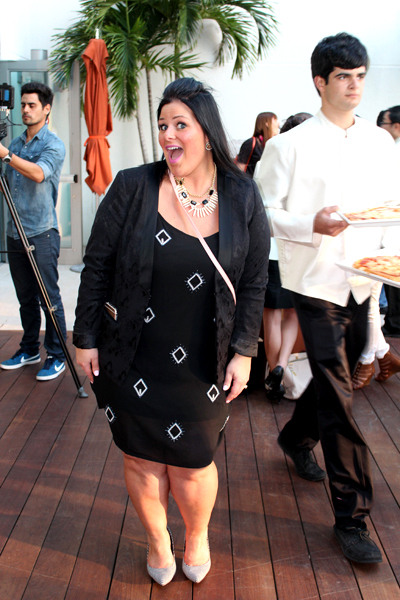 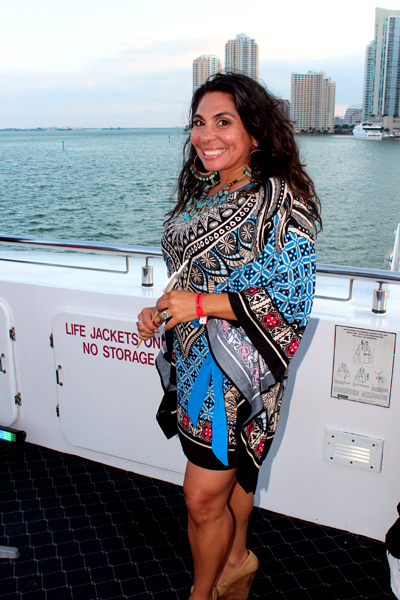 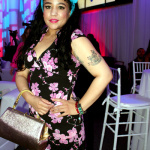 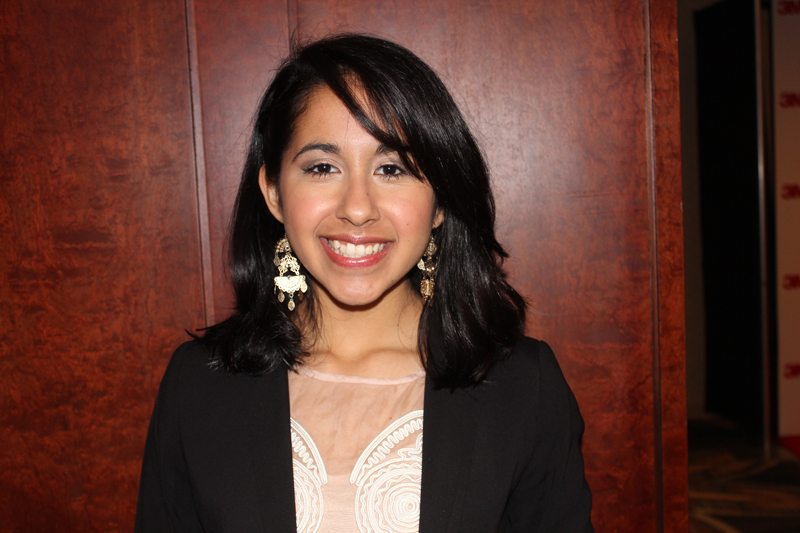 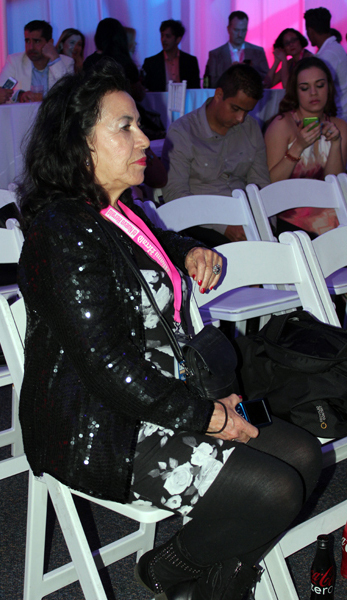 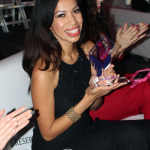 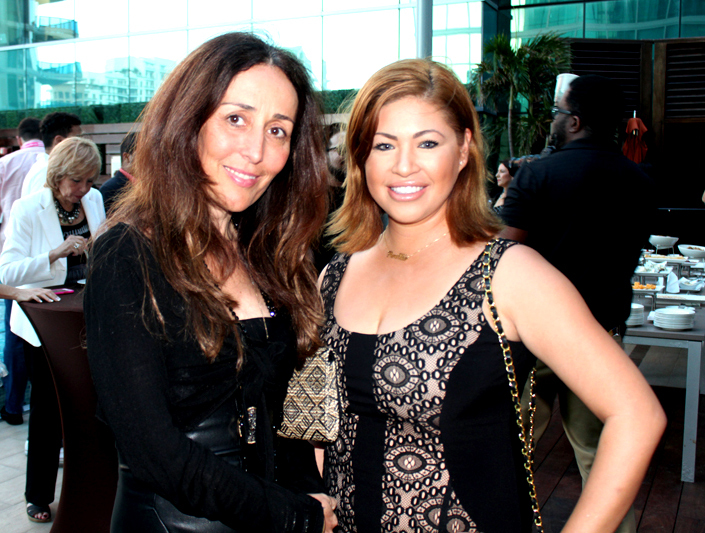 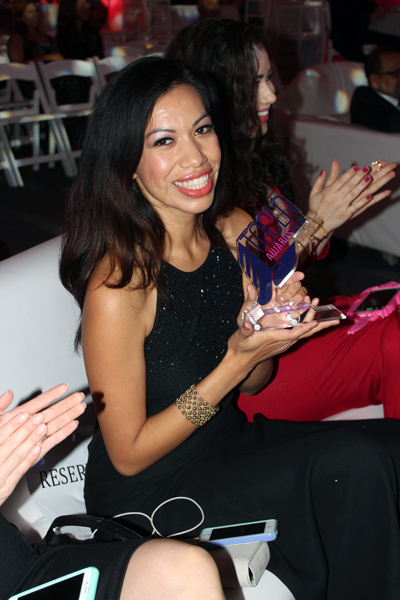 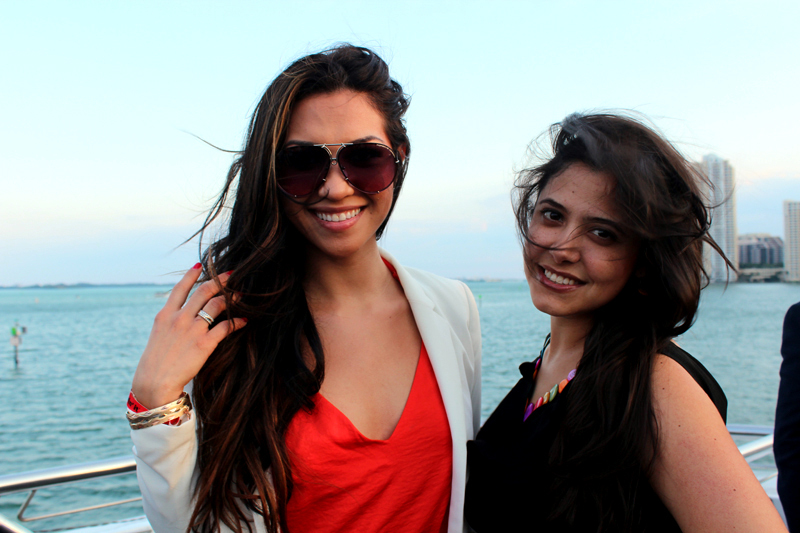 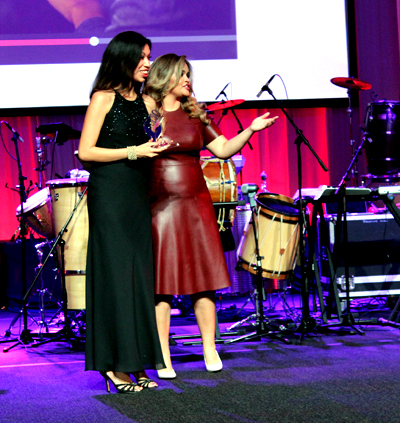 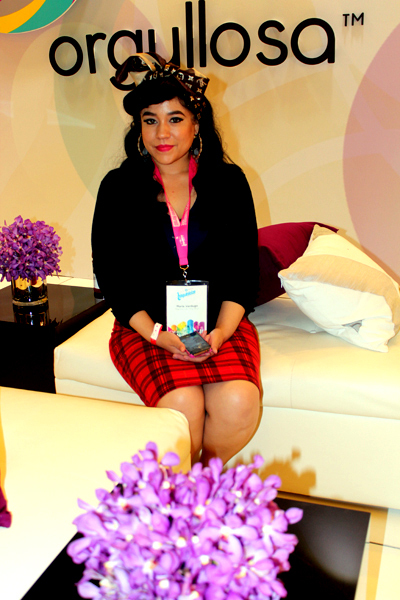 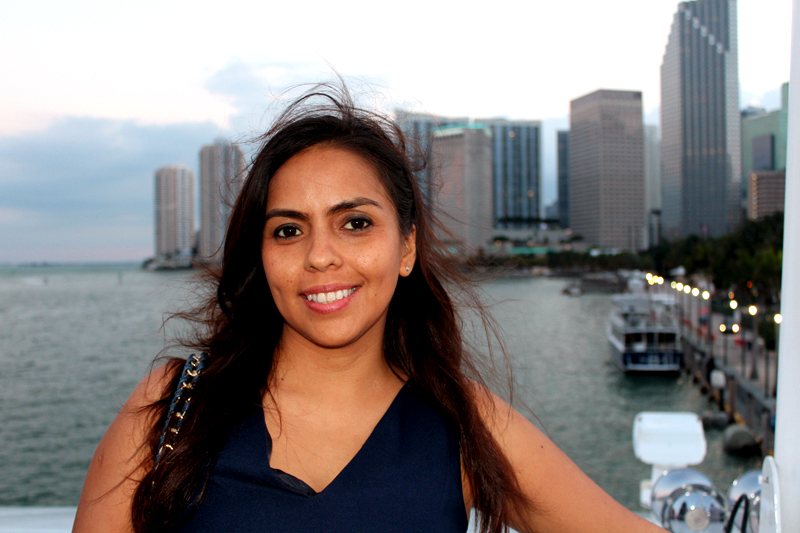 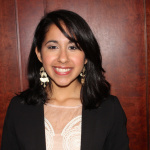 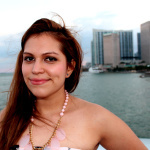 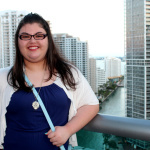 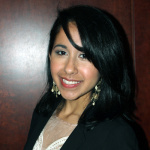 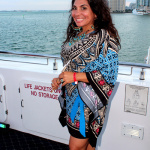 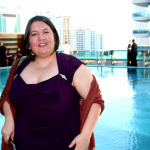 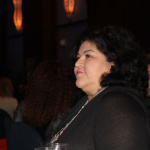 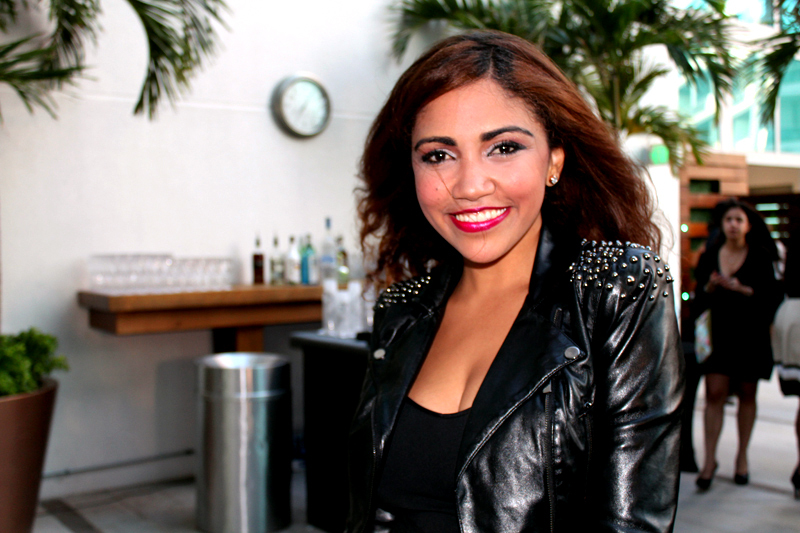 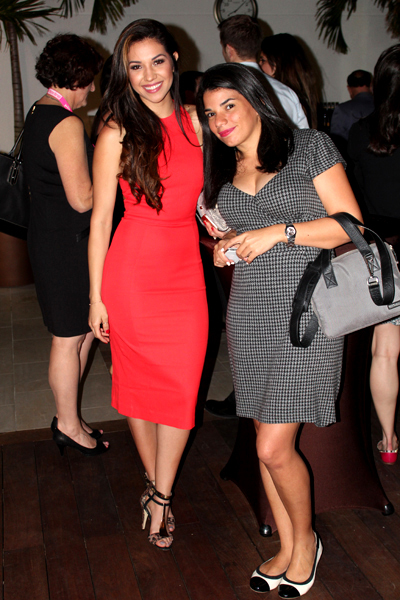 Latinovator awardees featured Mexican beauty and fashion blogger Dulce Candy Tejada Ruiz. 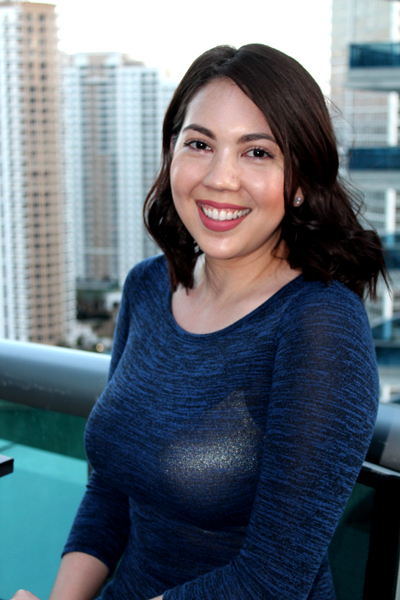 The 27-year-old, who started her YouTube channel in 2008, has nearly two million subscribers today. 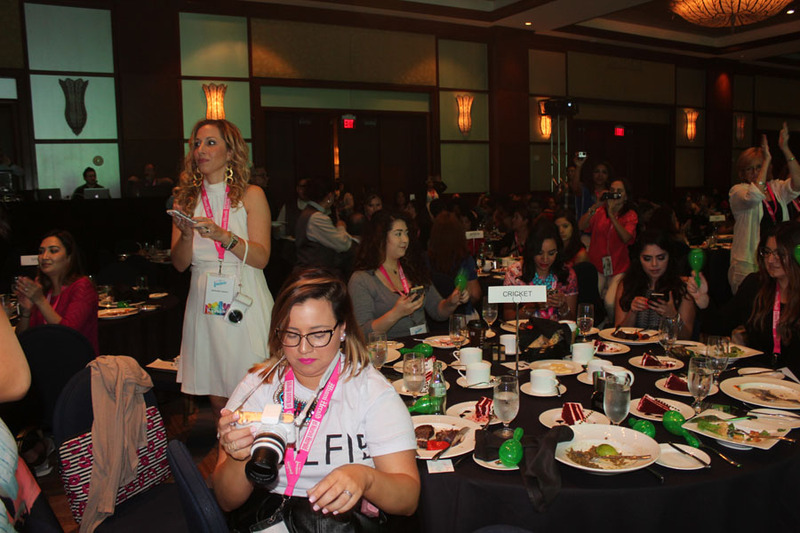 Well-known magazines, including Seventeen and Style Watch have also taken note of the YouTube sensation. 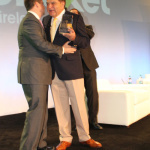 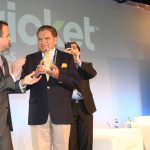 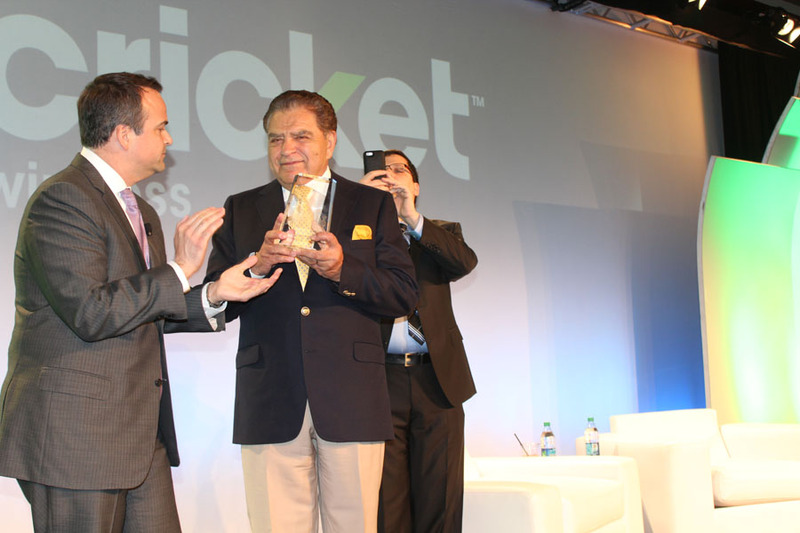 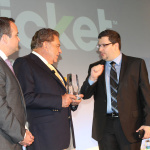 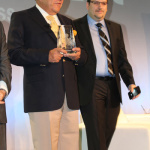 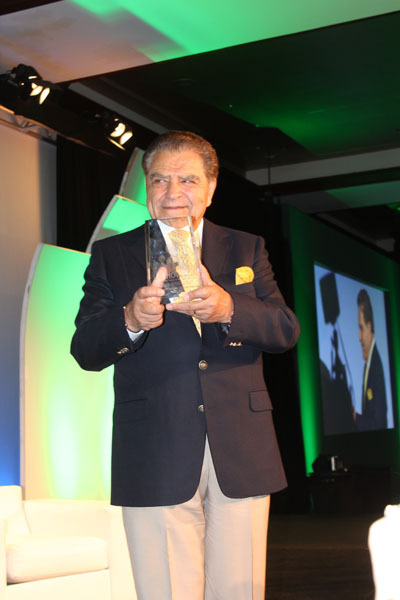 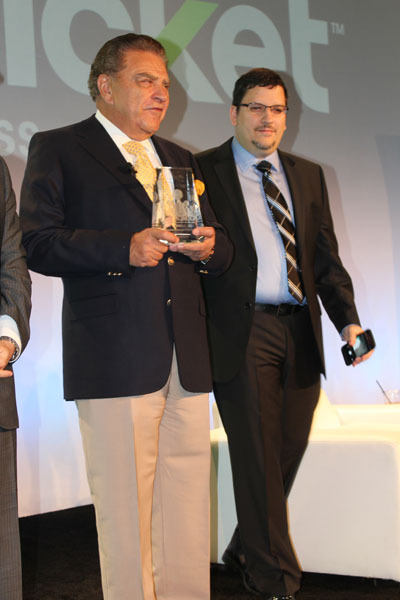 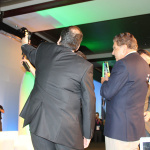 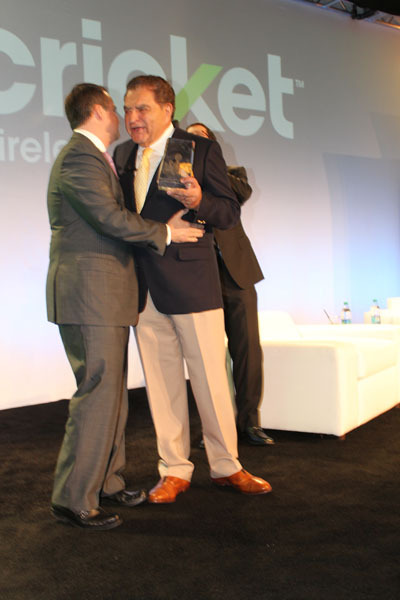 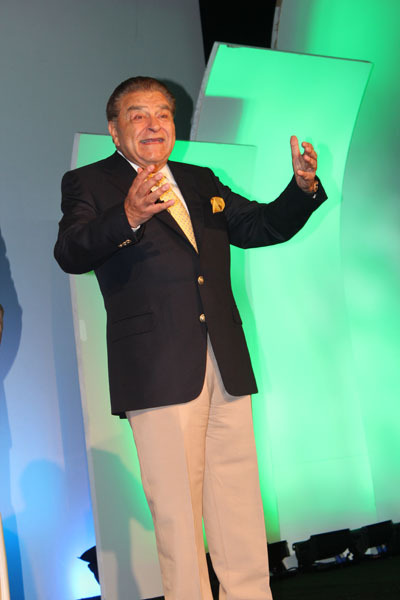 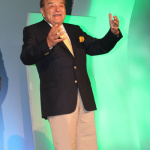 Legendary Chilean television host Mario Luis Kreutzberger, better recognized in most Spanish-speaking households as Don Francisco, also received a coveted Latinovator award. 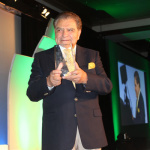 The television enthusiast has been recognized by the Guinness World Records for leading the world’s longest running television variety show. 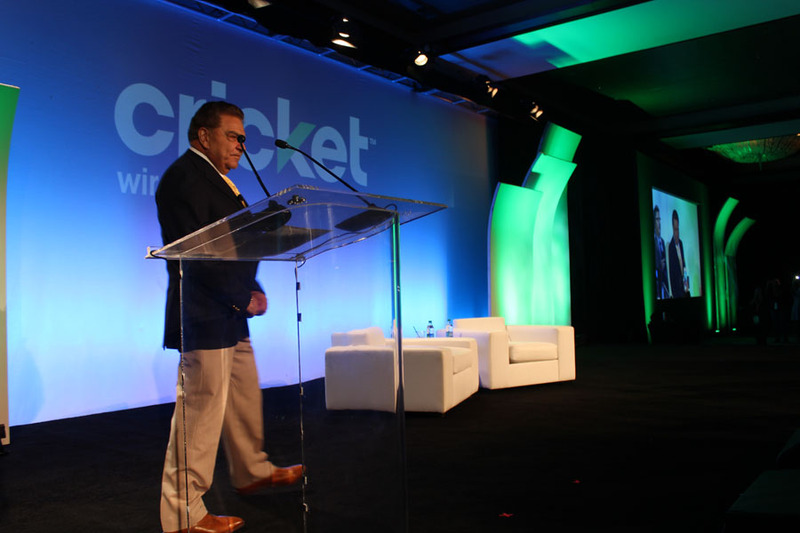 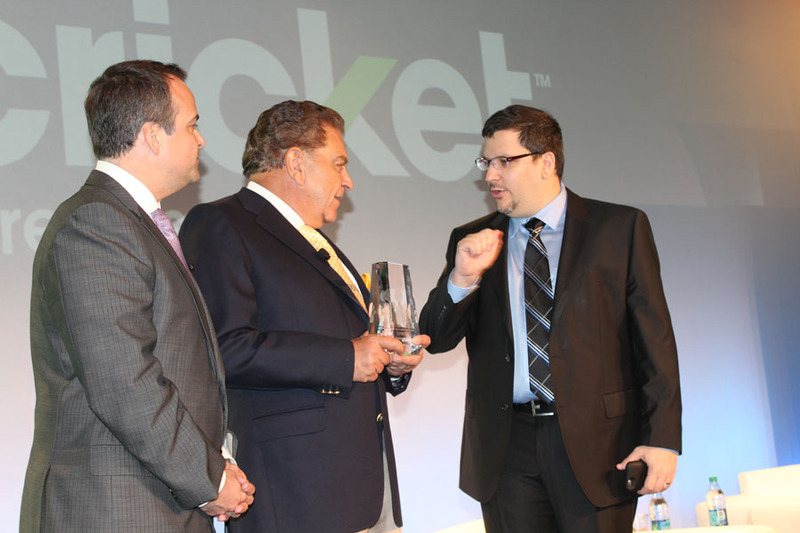 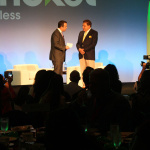 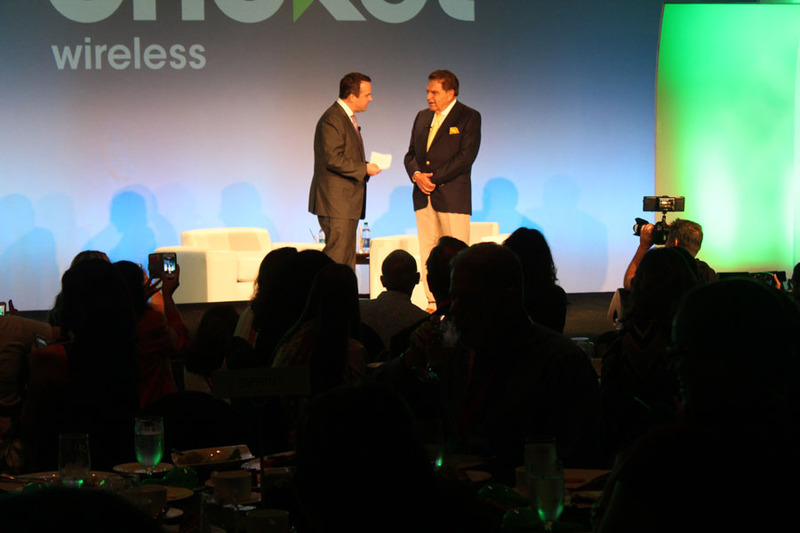 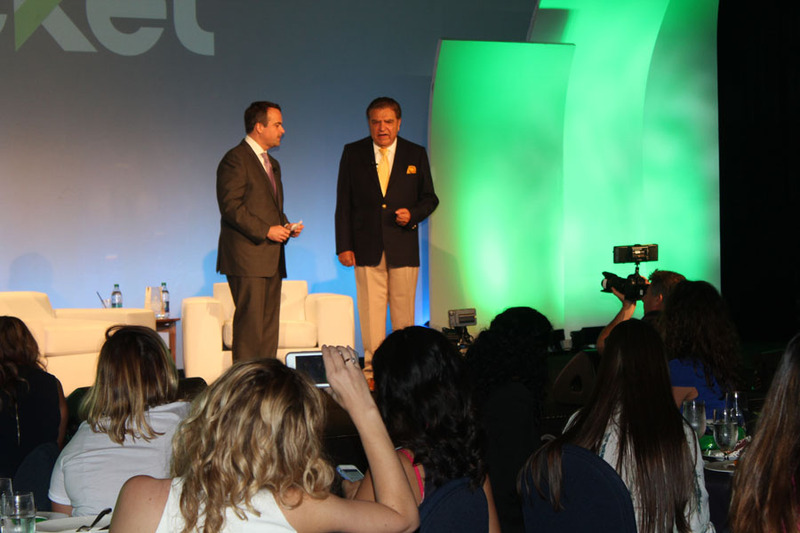 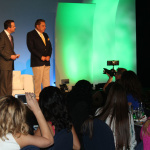 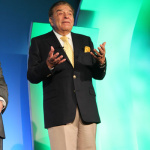 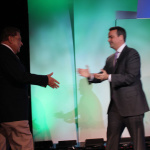 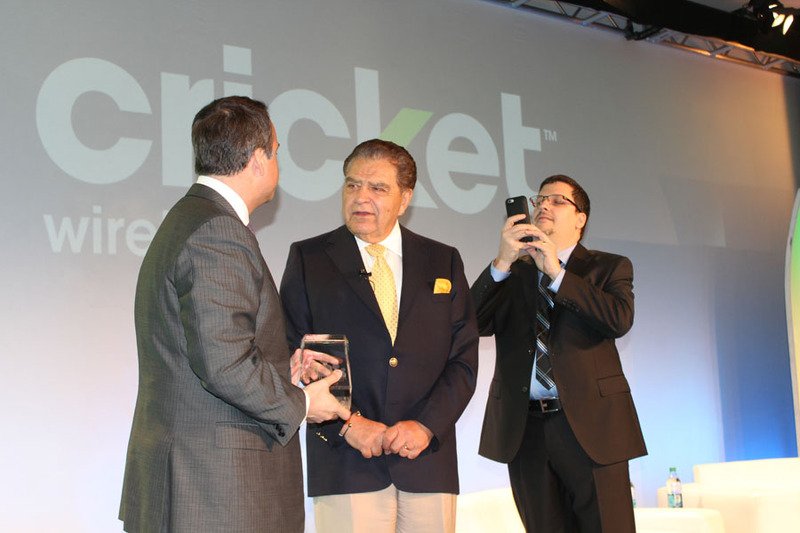 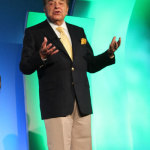 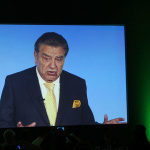 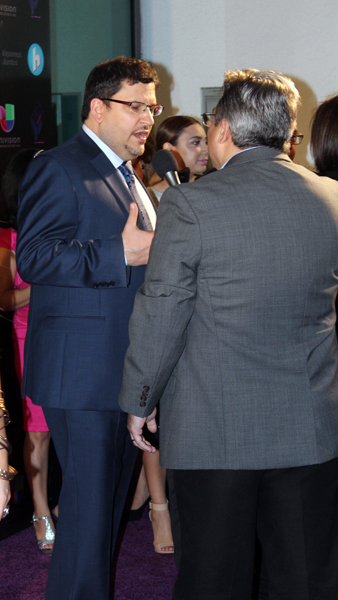 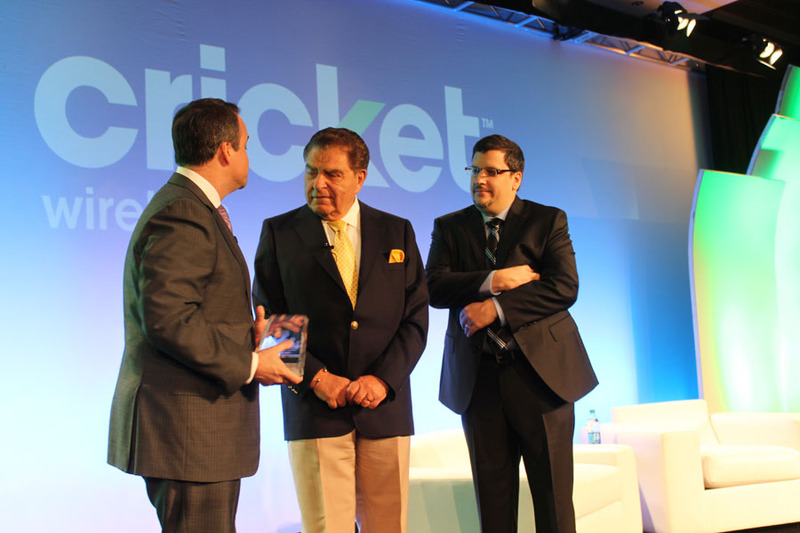 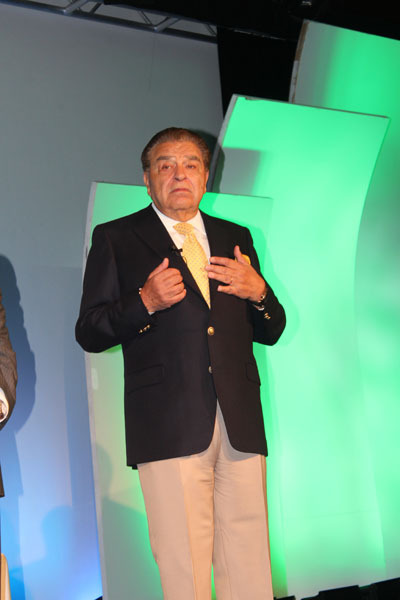 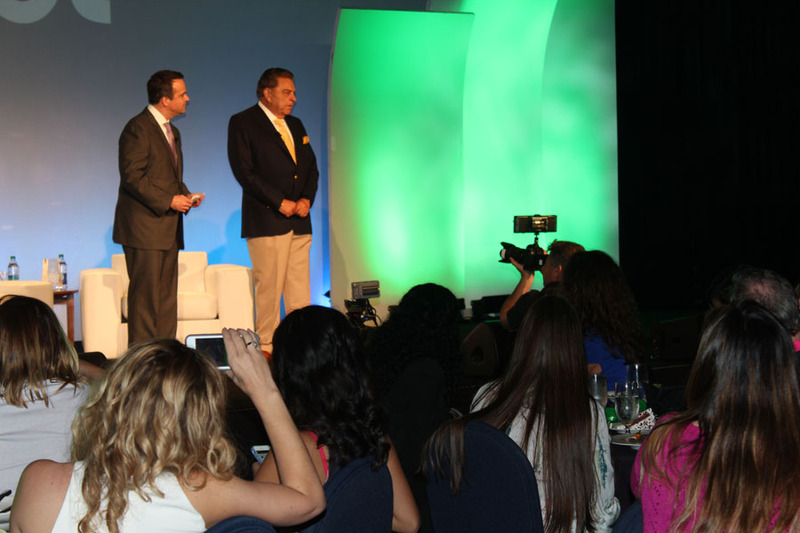 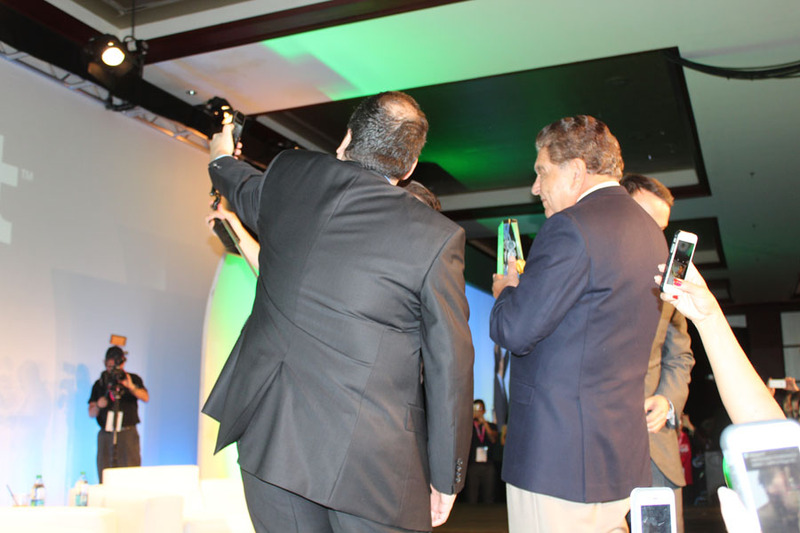 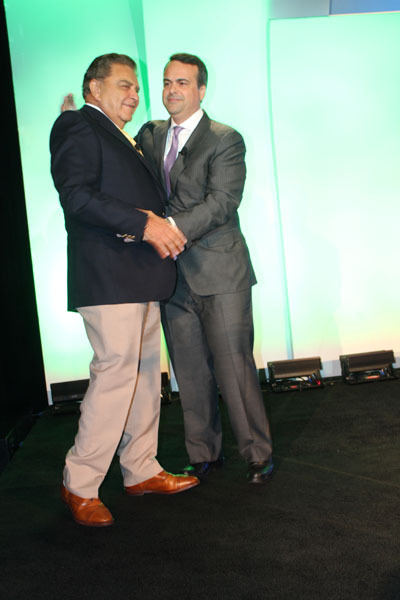 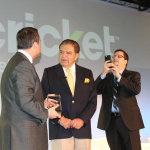 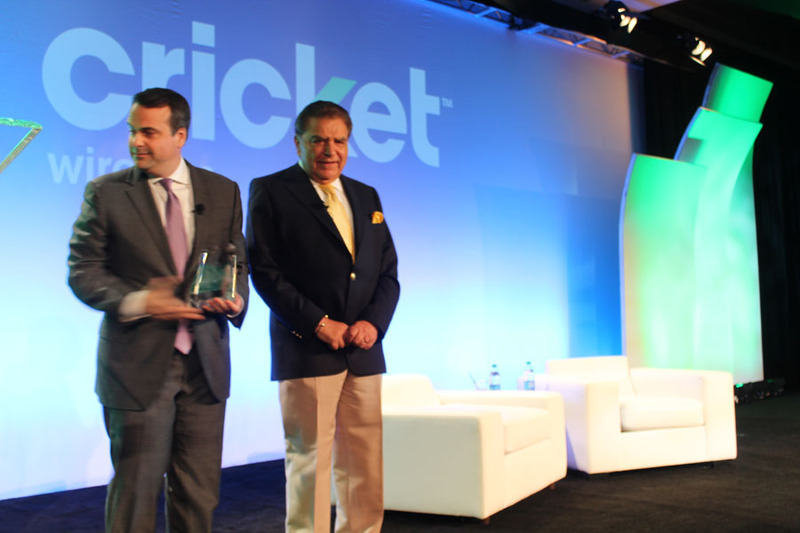 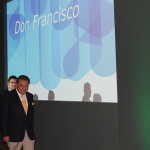 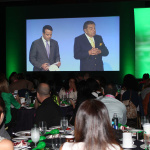 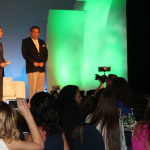 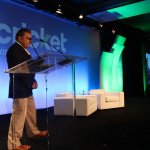 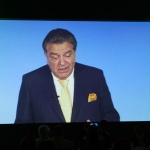 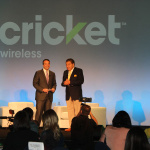 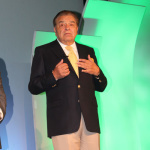 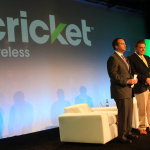 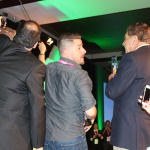 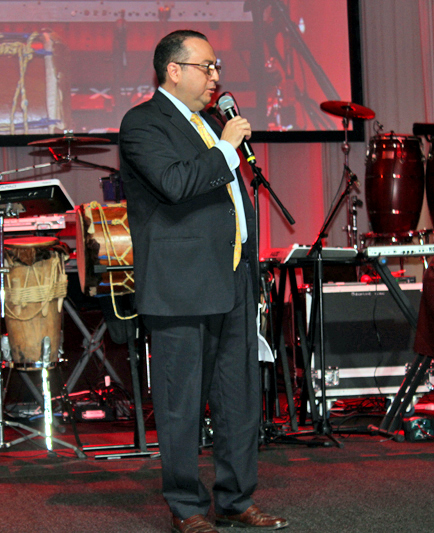 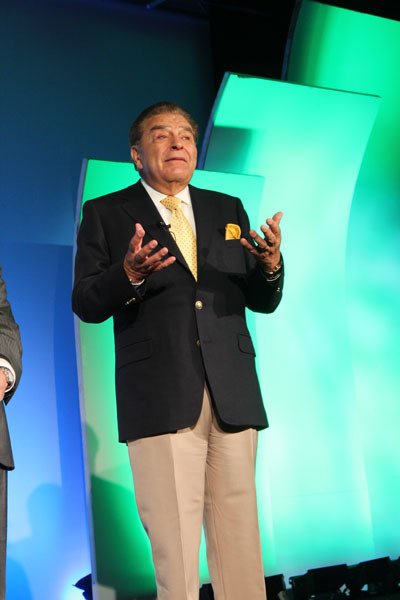 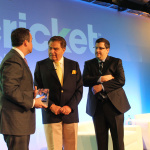 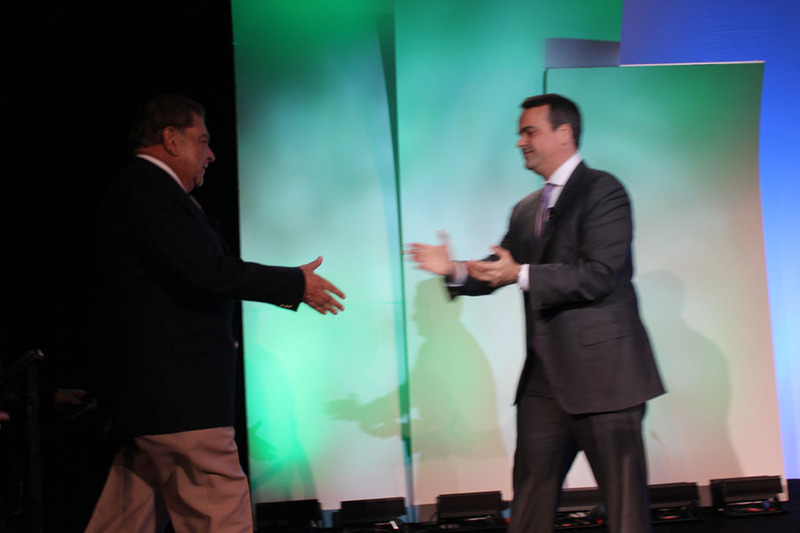 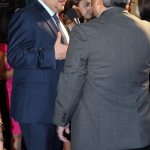 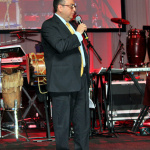 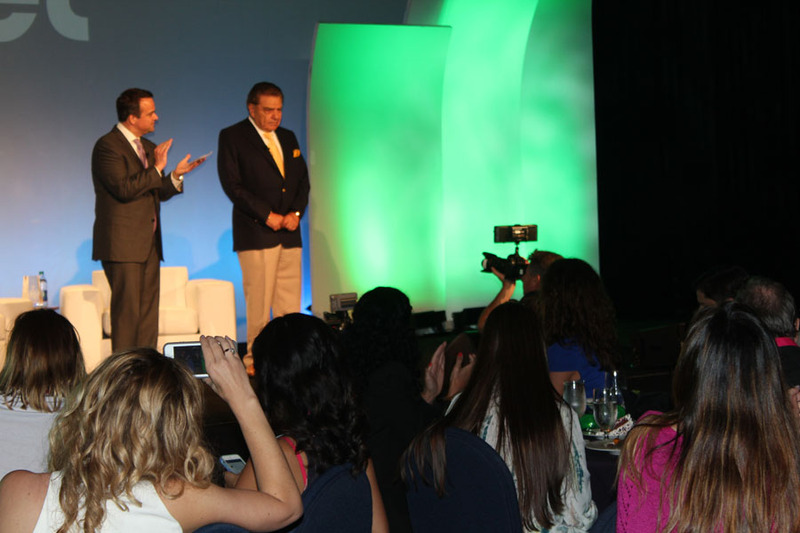 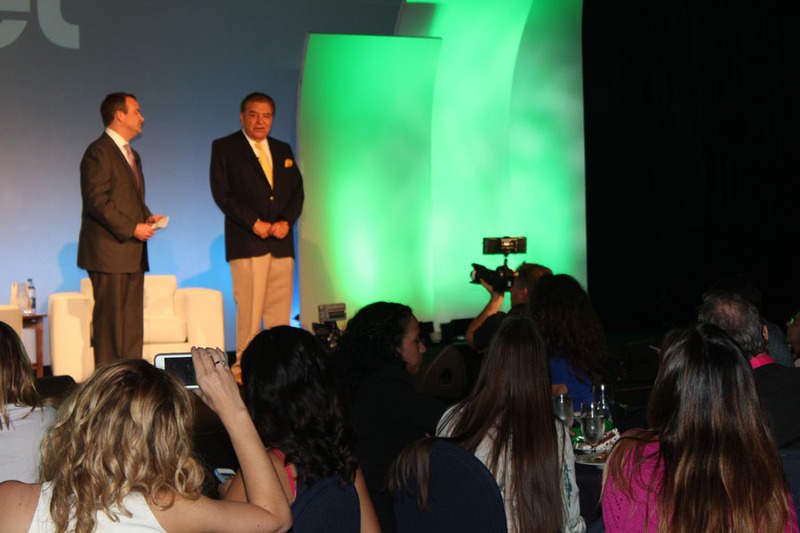 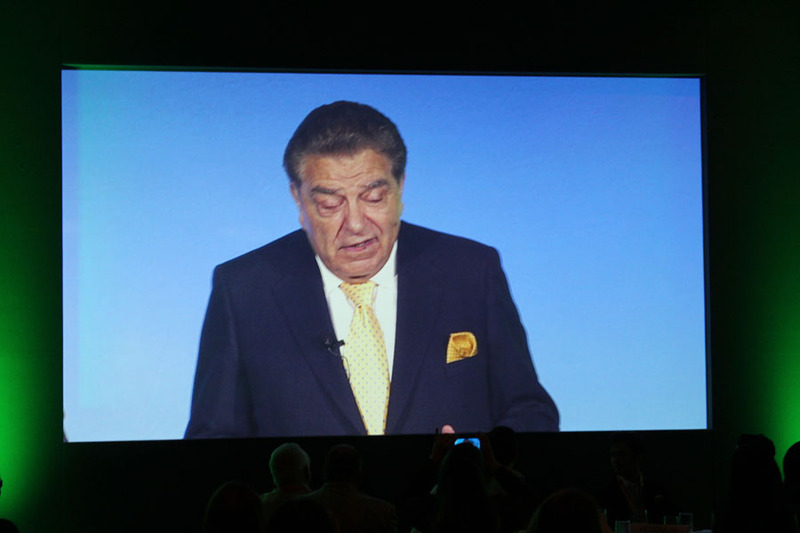 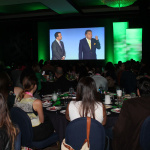 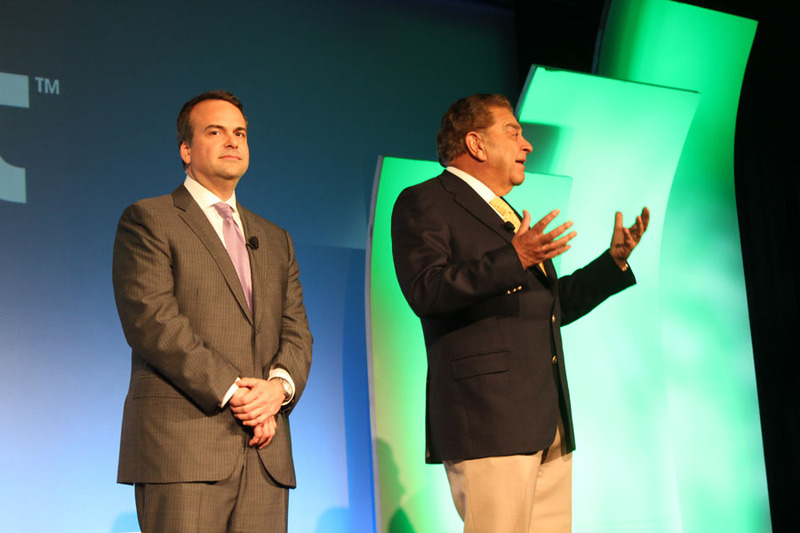 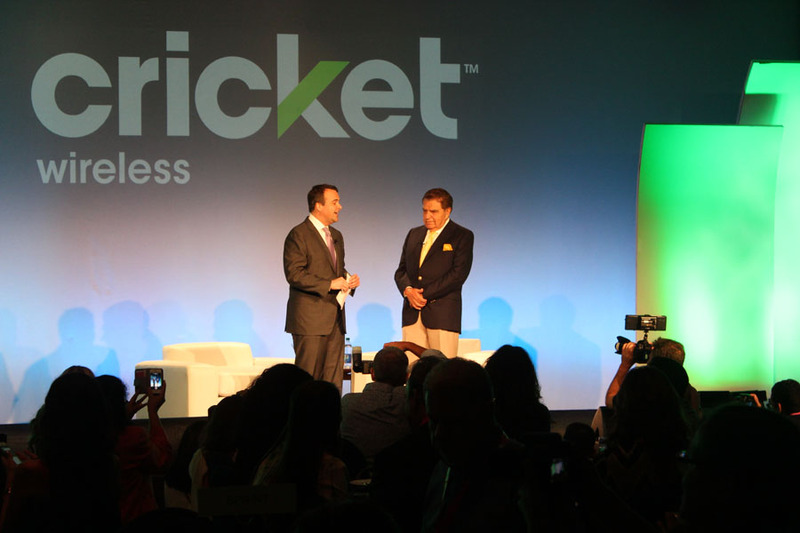 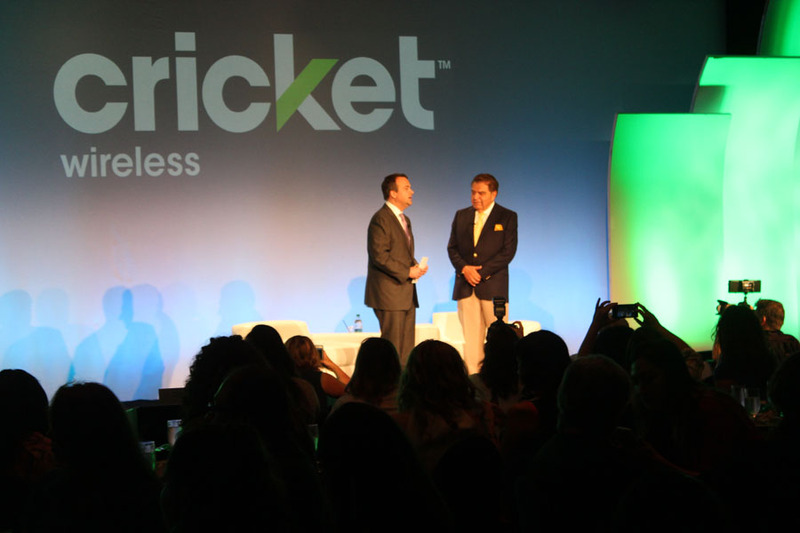 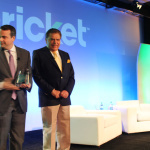 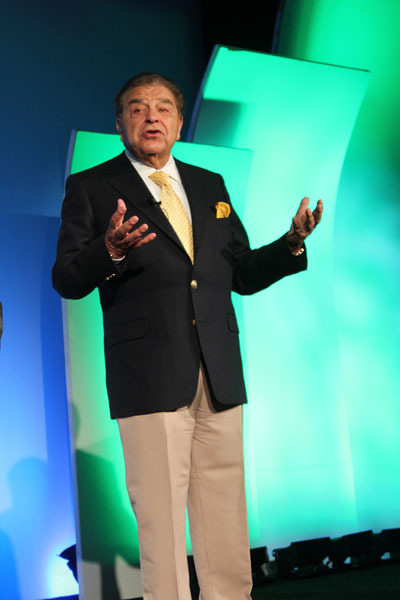 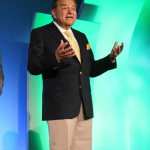 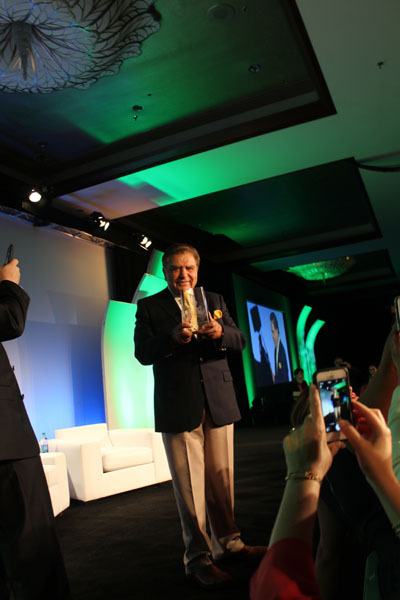 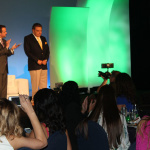 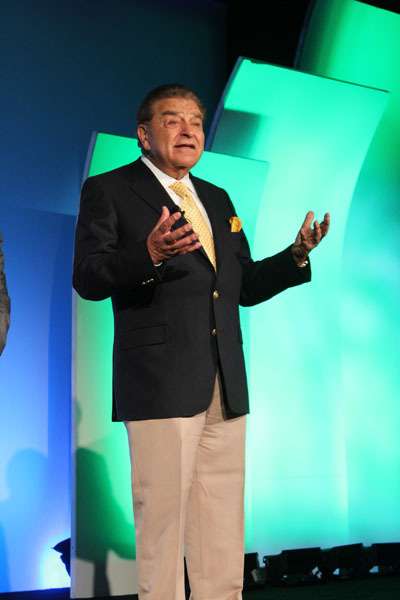 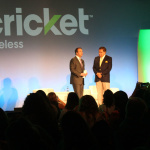 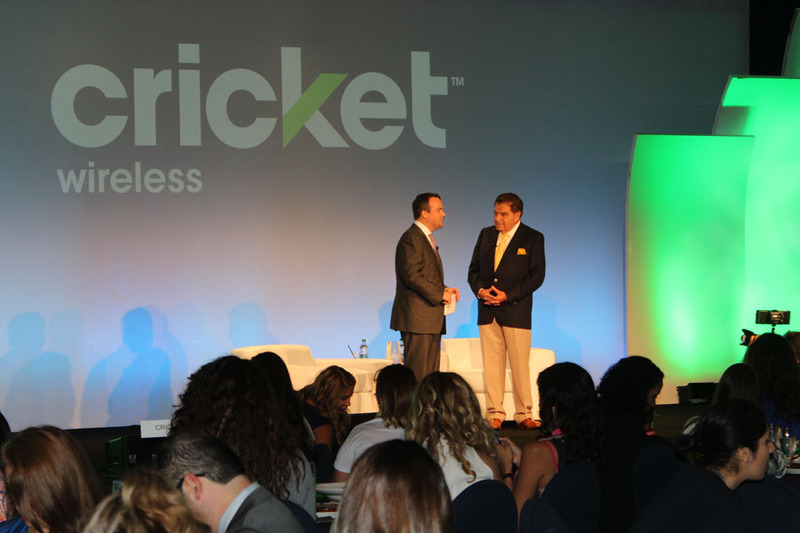 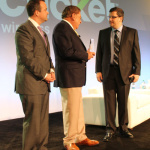 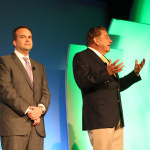 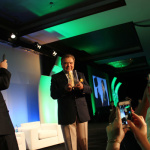 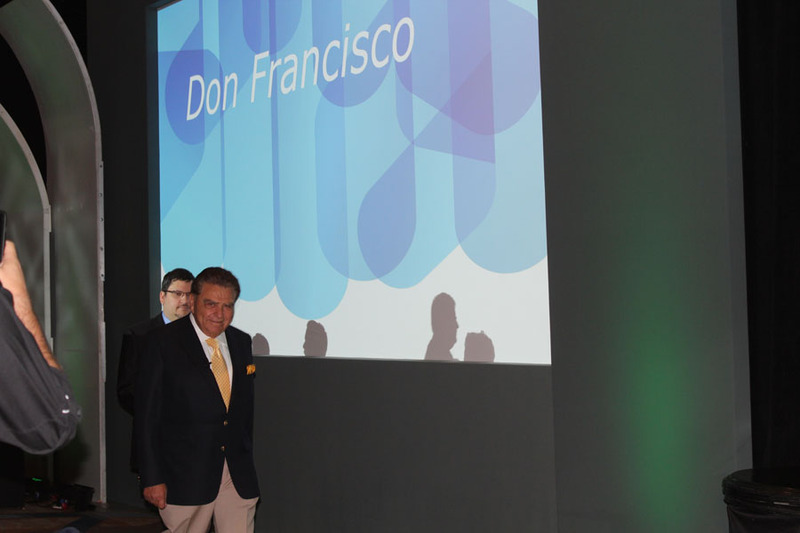 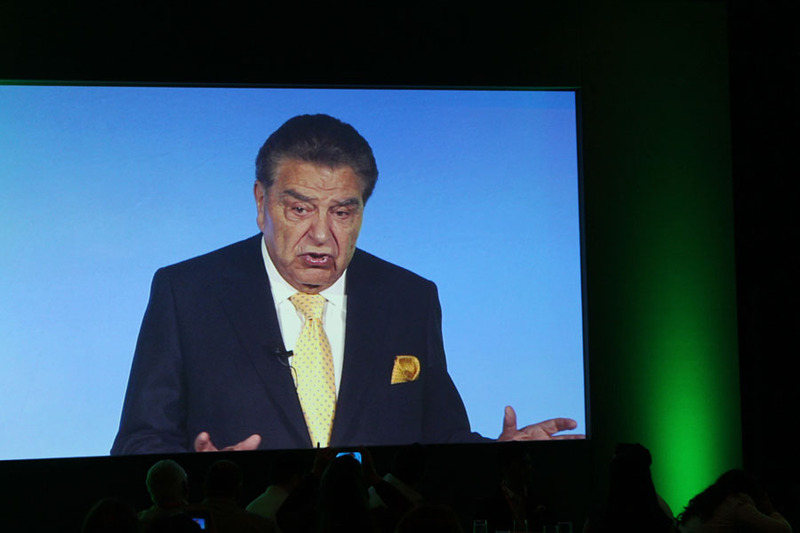 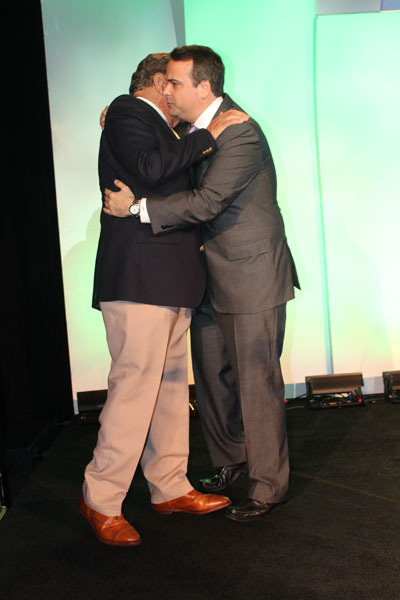 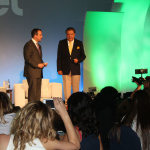 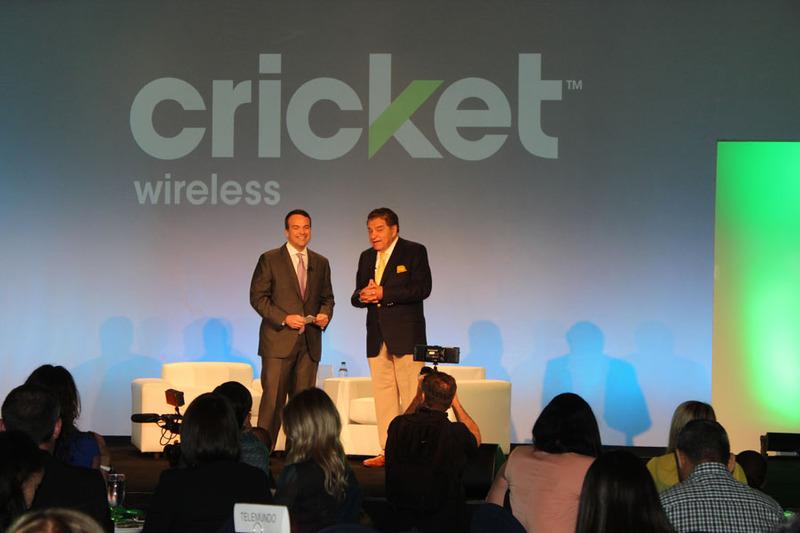 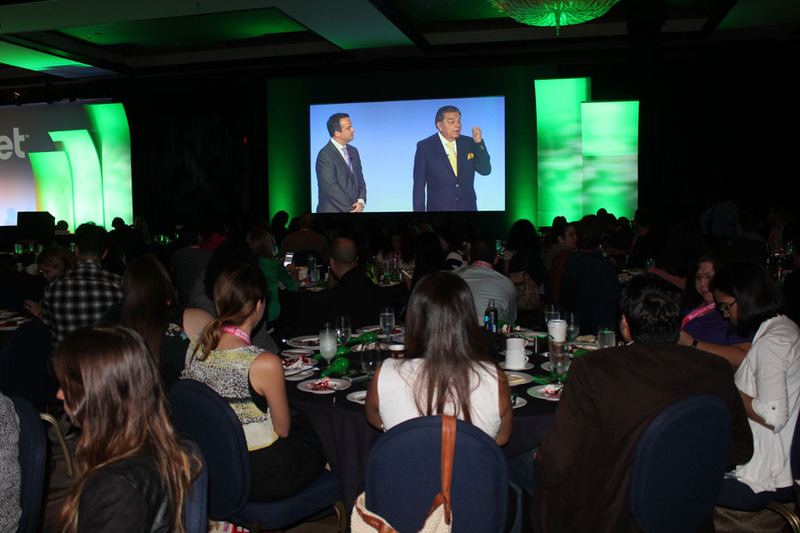 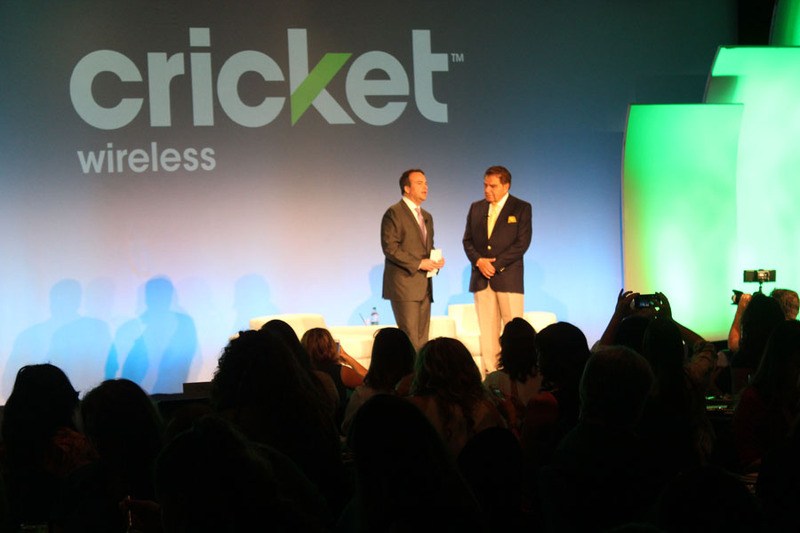 Don Francisco stunned the audience when he commented on how far television has come from when he first started. 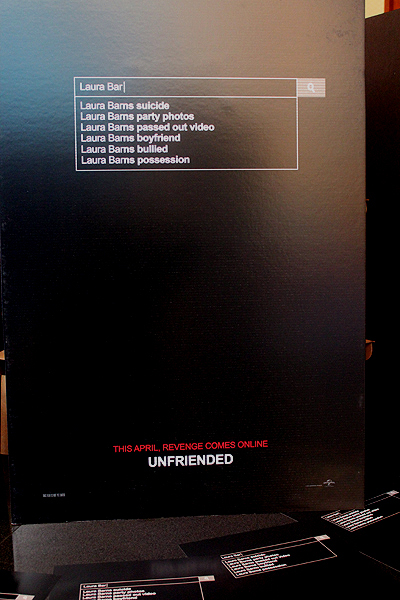 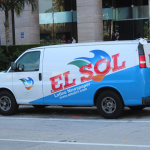 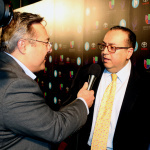 “Your viewers are my shoplifters” was the response he said he received when he tried to make his first advertising sale on Spanish language television. 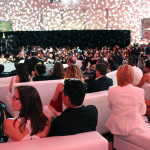 The statement drew a collective gasp from the crowd. 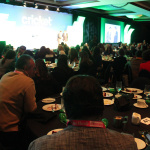 At the Latinovator lunch on Tuesday, Kreutzberger had a message for professionals invested in Latino media – which he chose to communicate in Spanish: “La responsabilidad de la comunicación es importante,” he said, to stress the responsibility that comes with the role of a communicator. 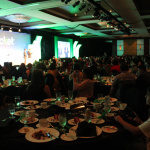 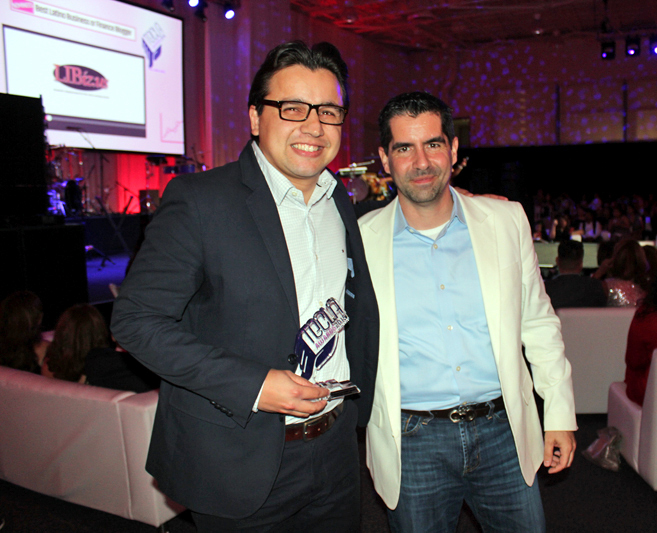 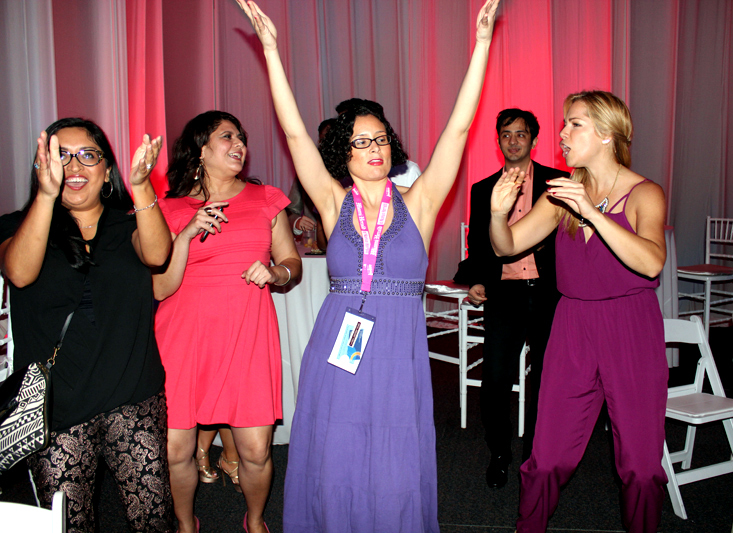 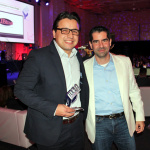 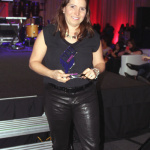 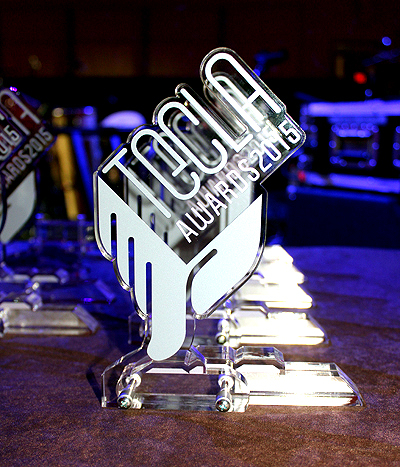 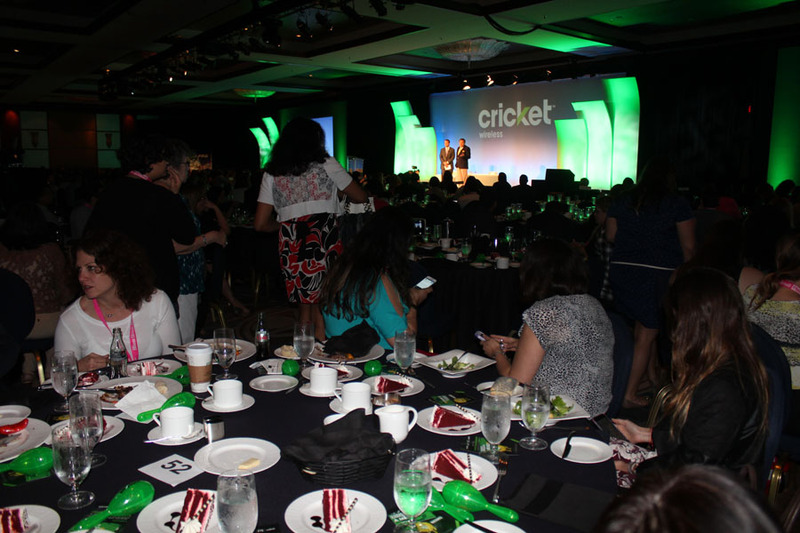 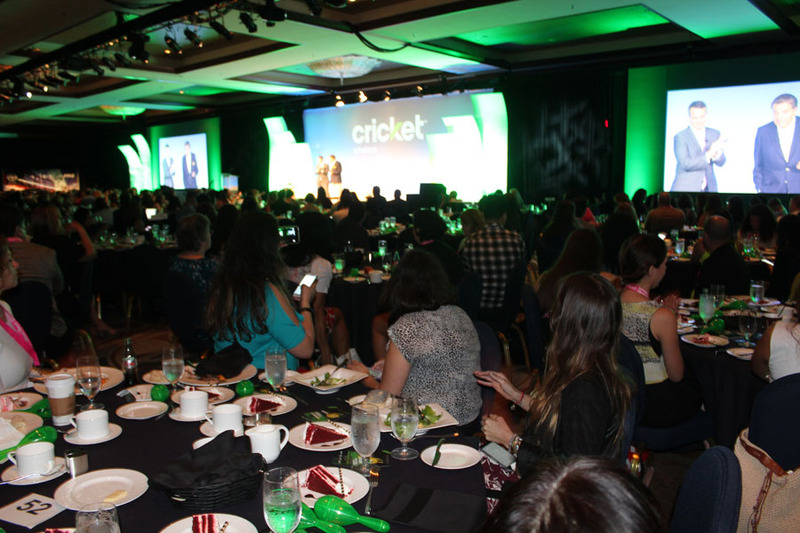 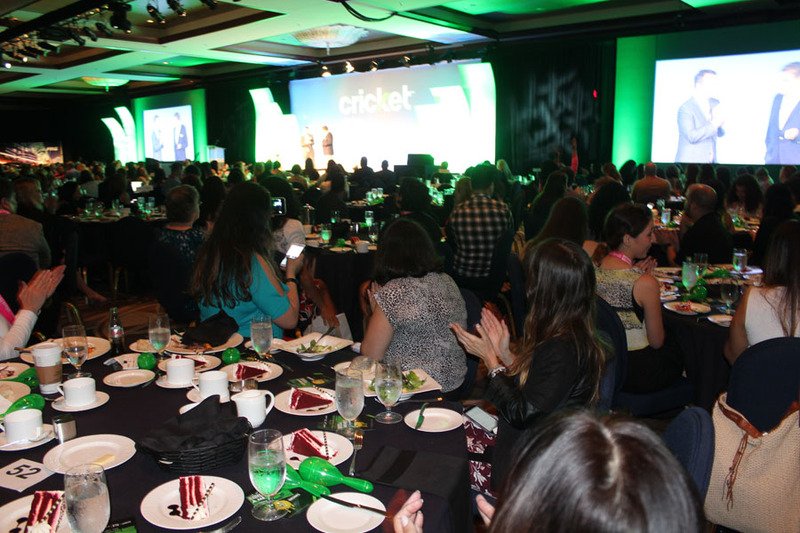 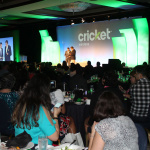 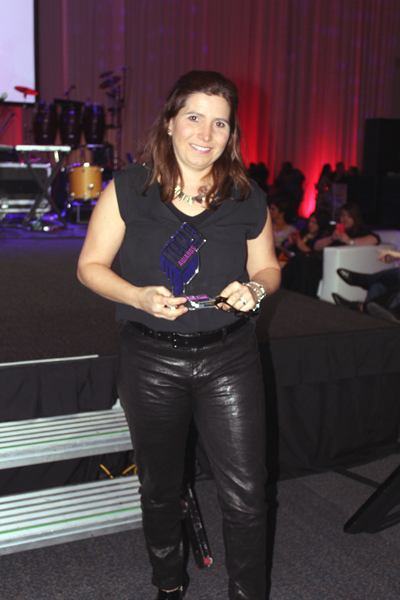 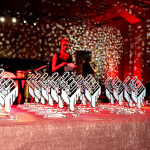 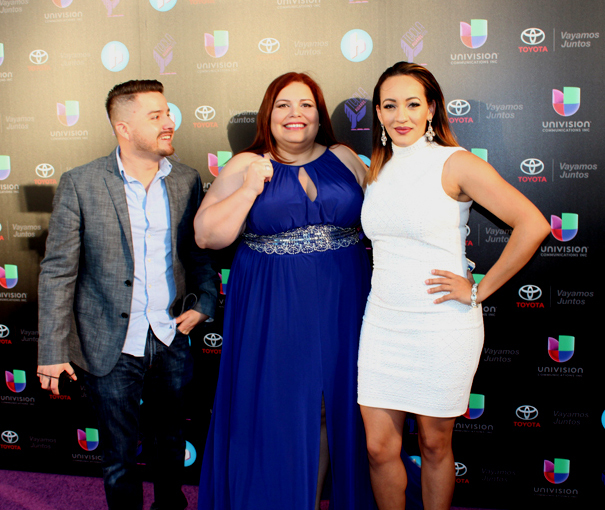 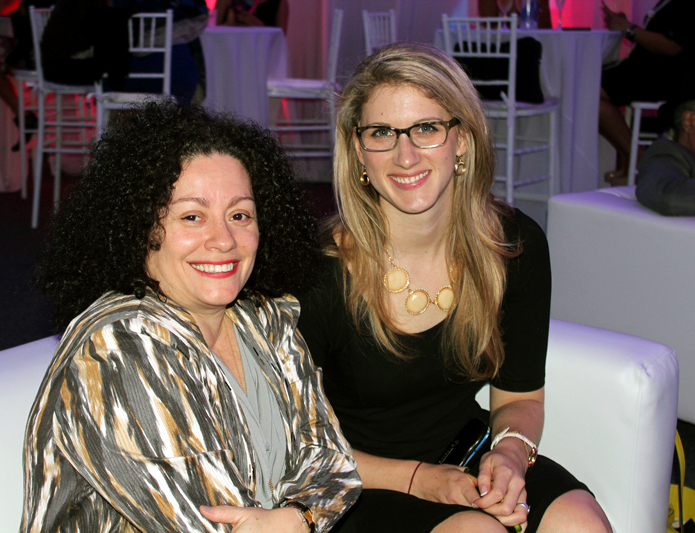 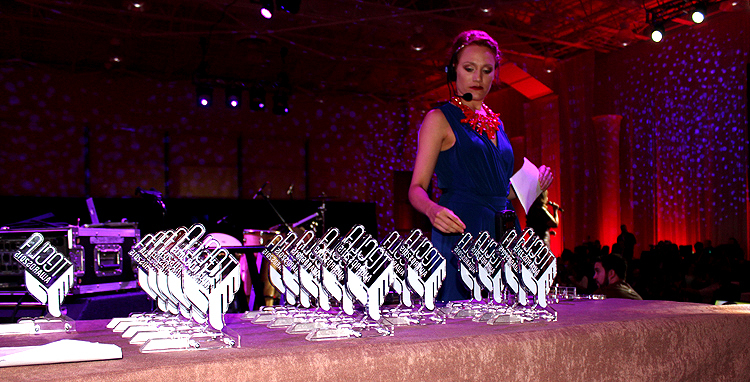 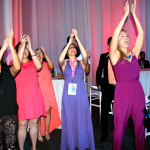 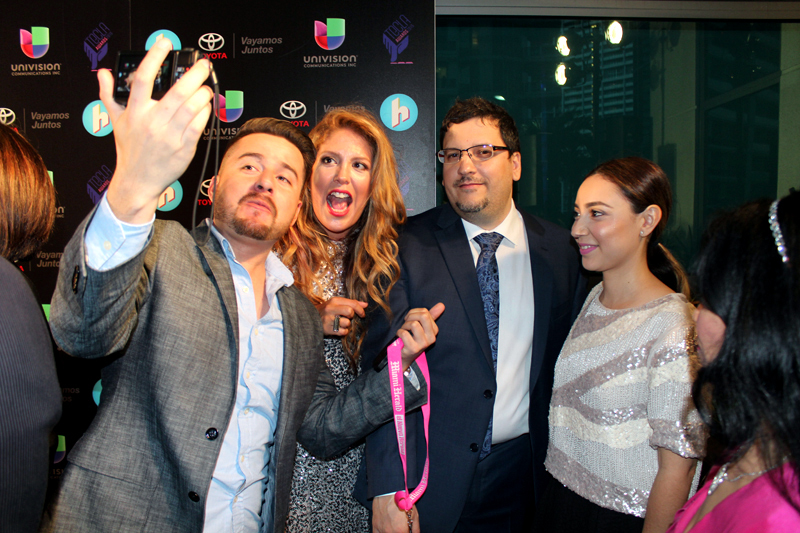 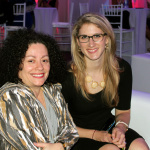 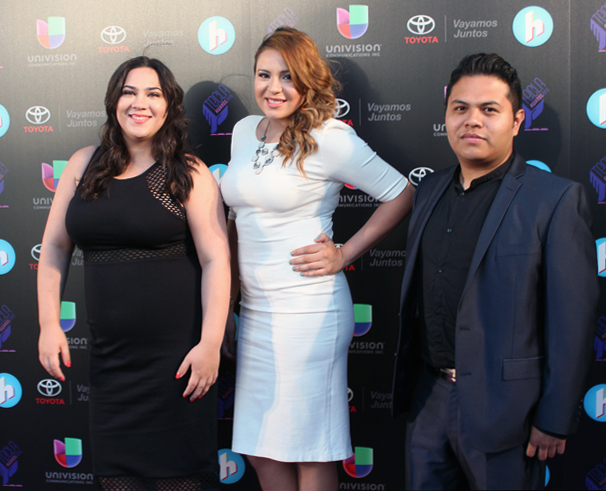 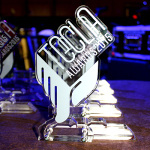 At the Tecla Awards, the first awards ceremony of its kind, influencers were awarded for excellence in Latino blogging, micro-blogging and social media as well as digital marketing. 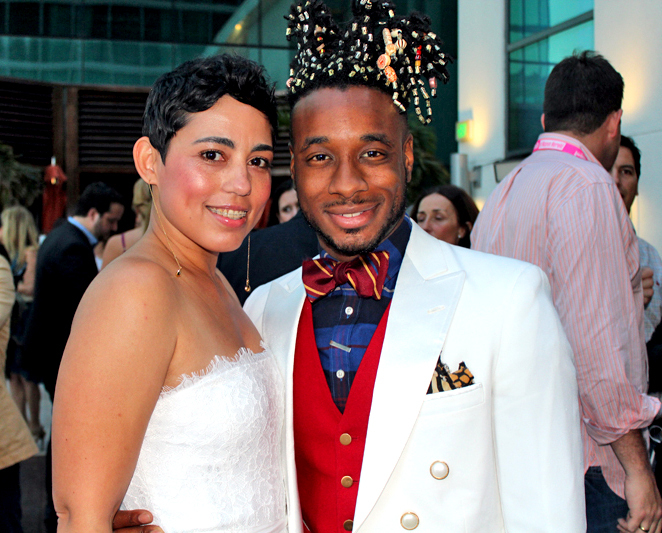 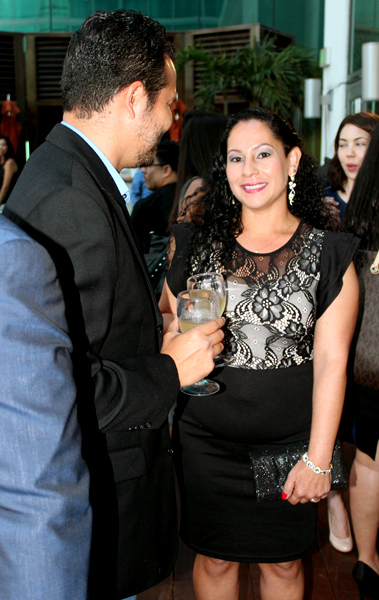 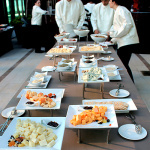 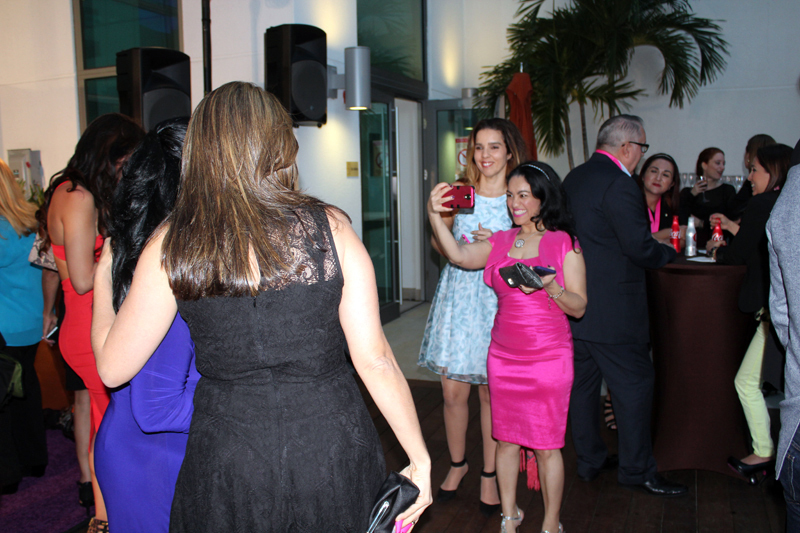 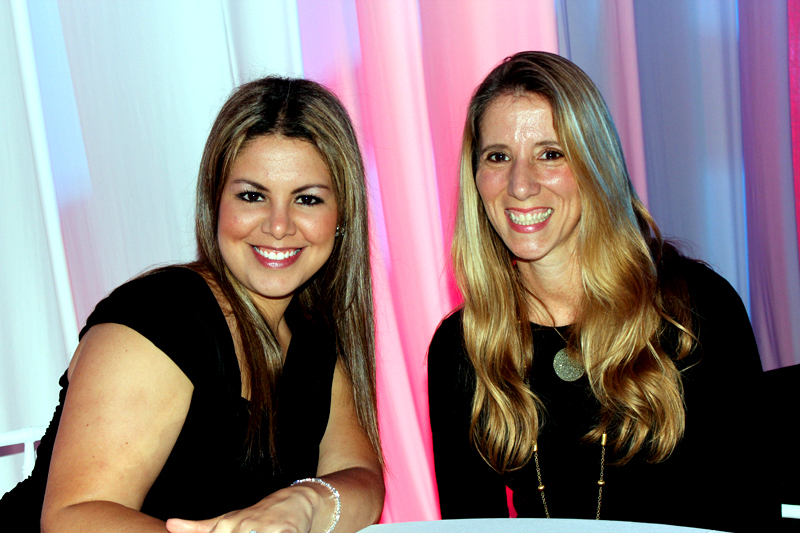 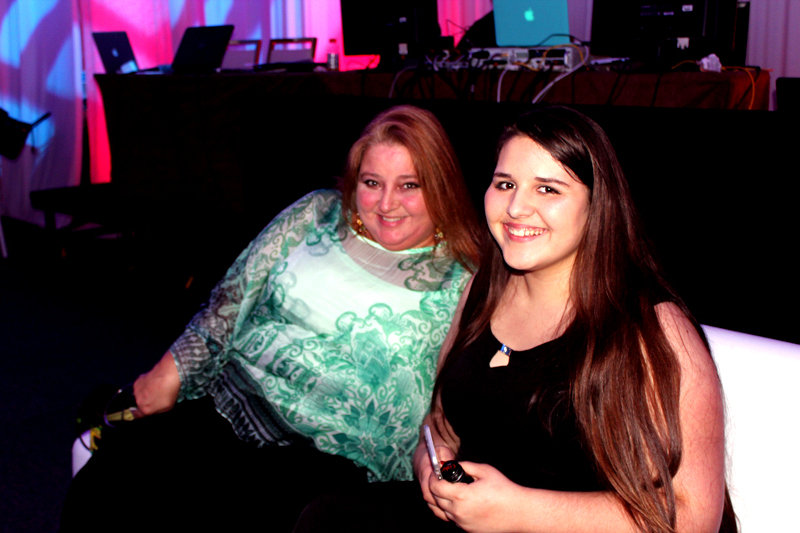 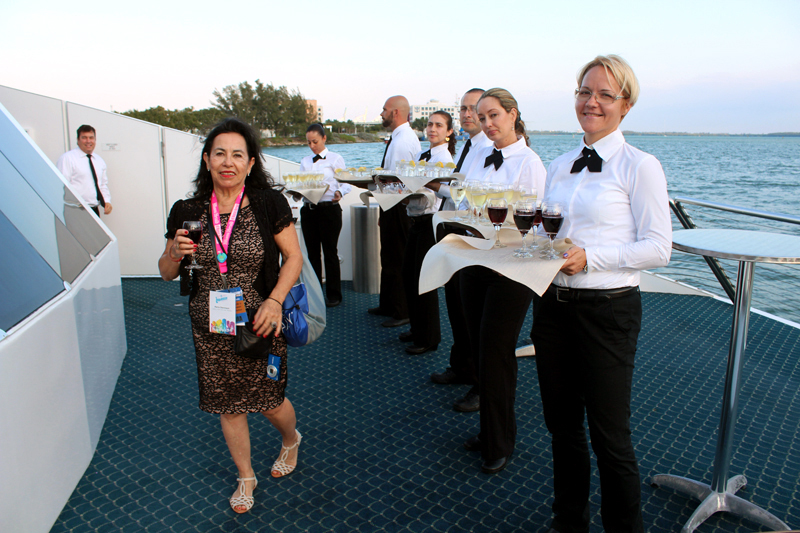 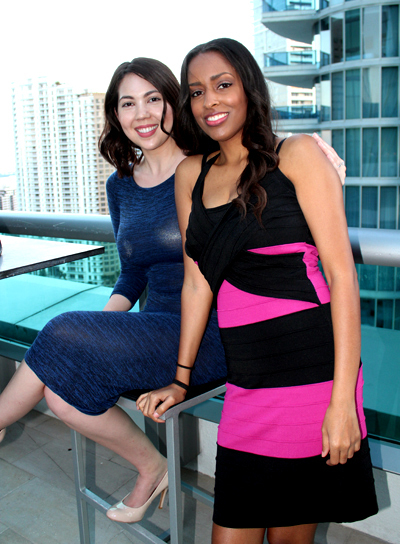 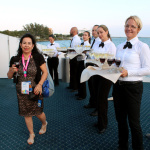 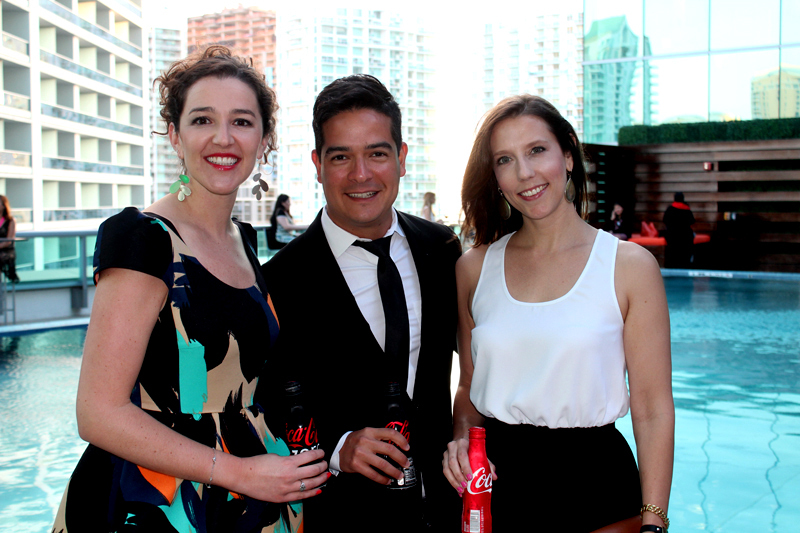 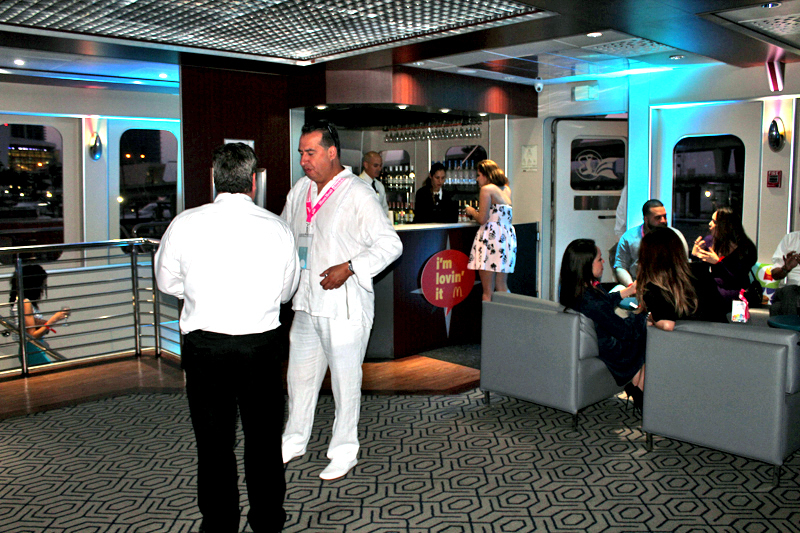 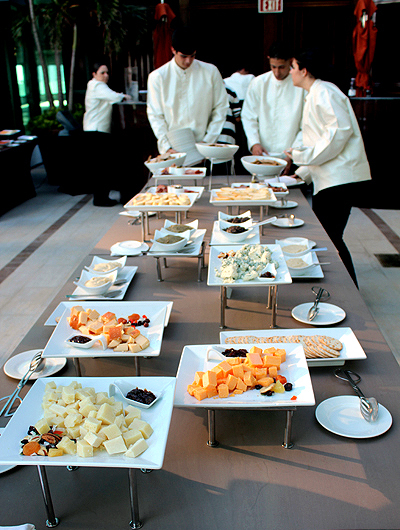 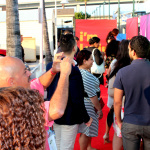 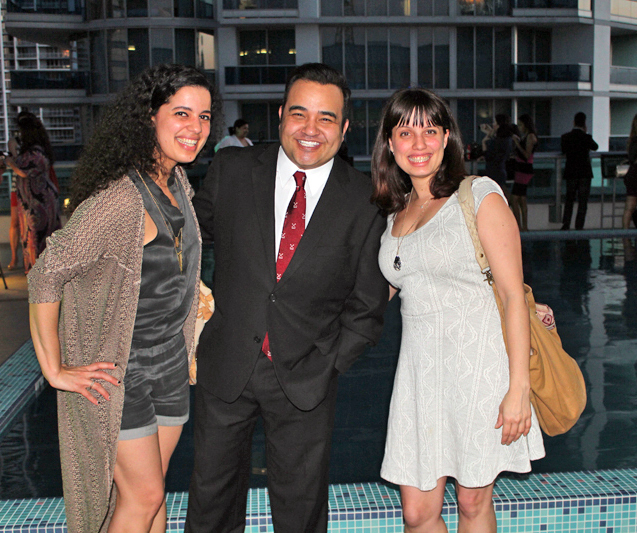 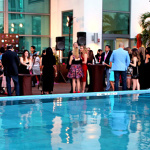 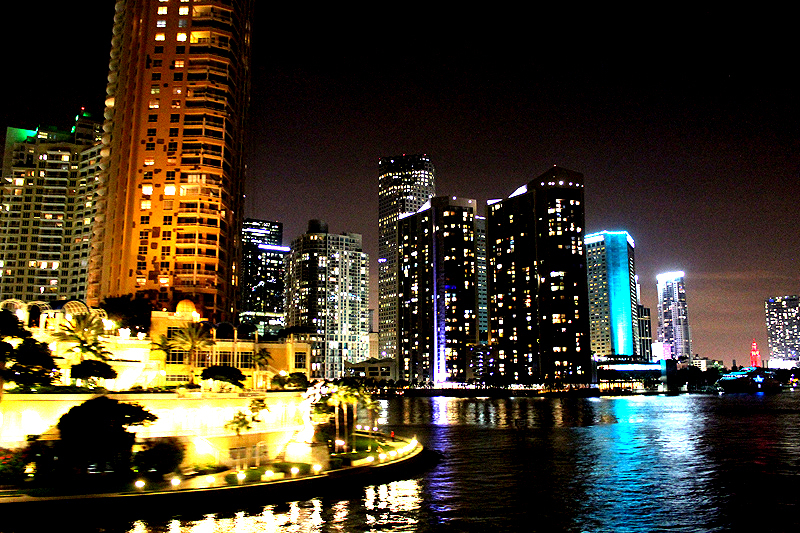 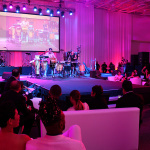 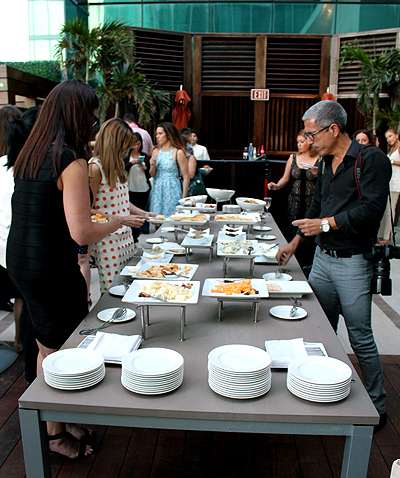 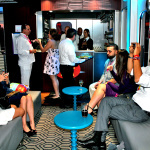 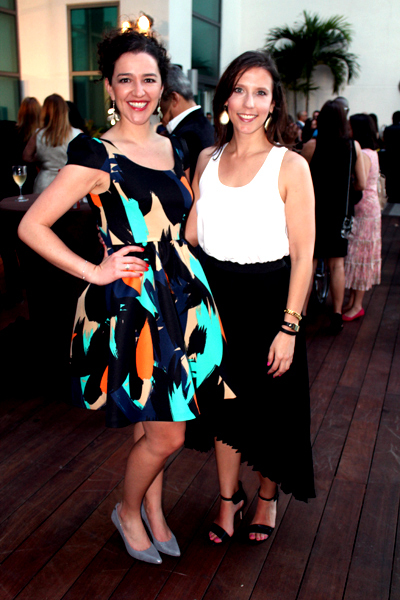 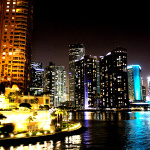 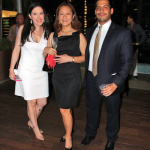 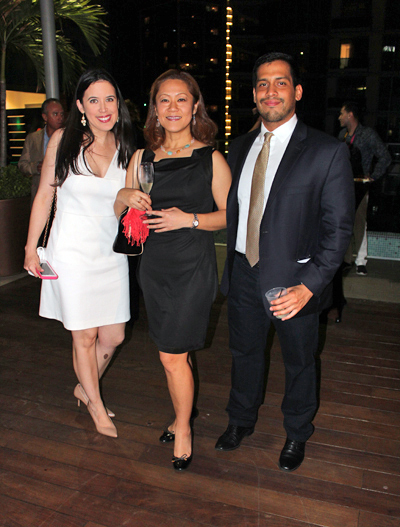 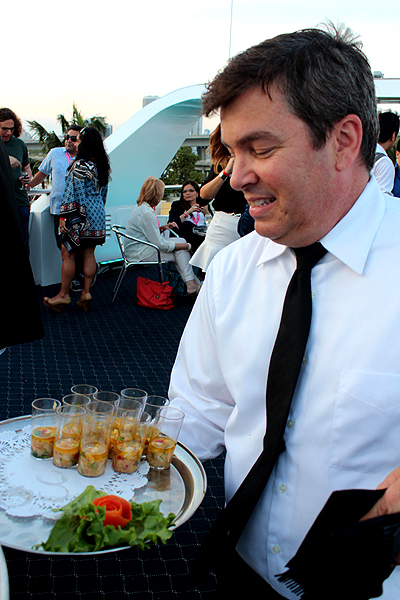 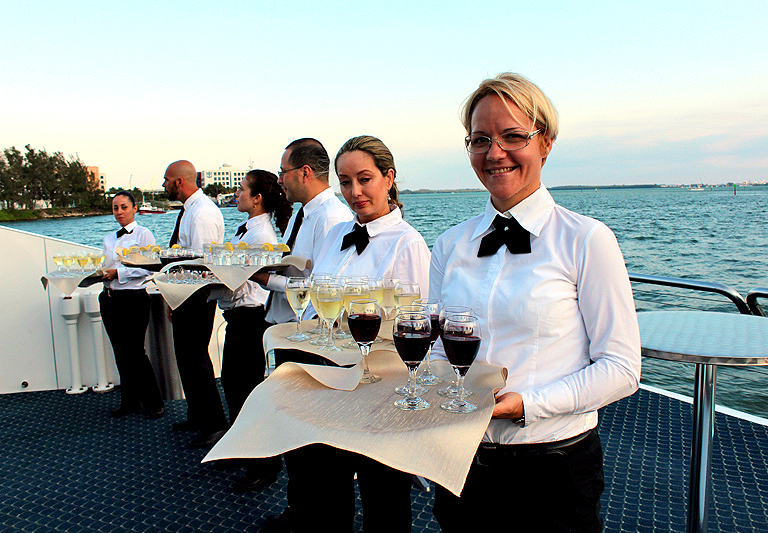 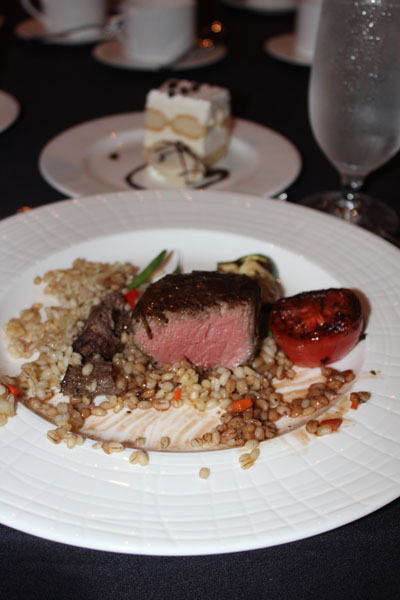 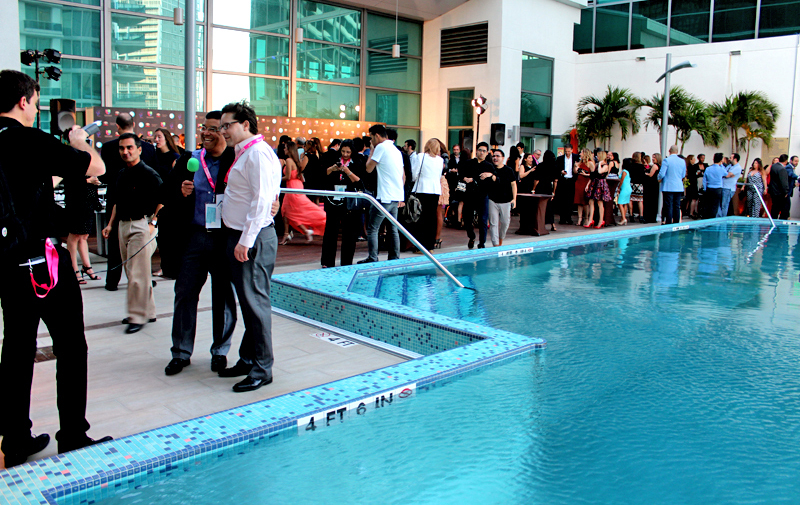 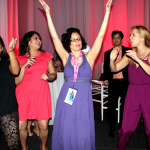 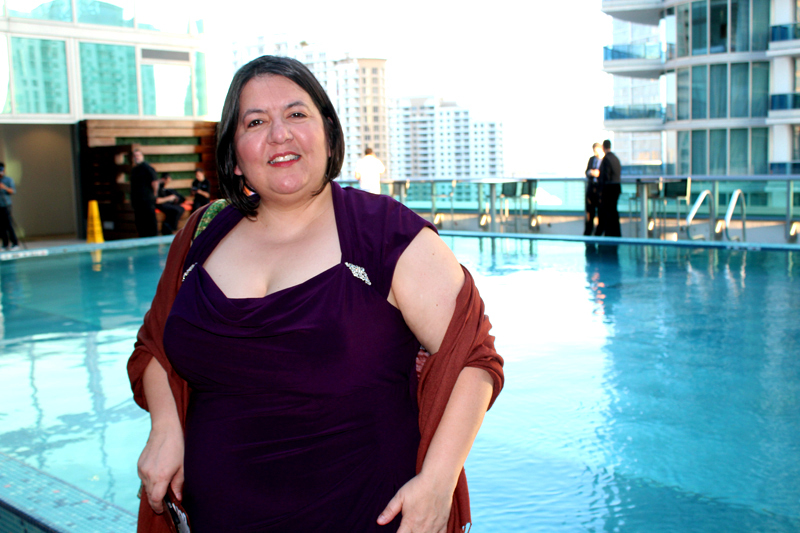 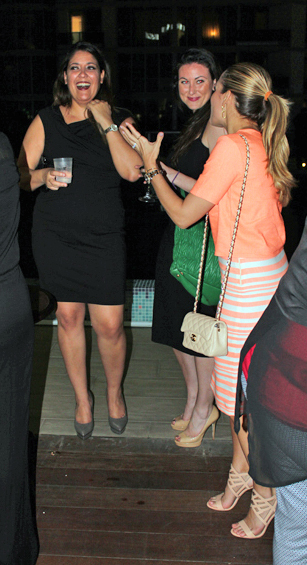 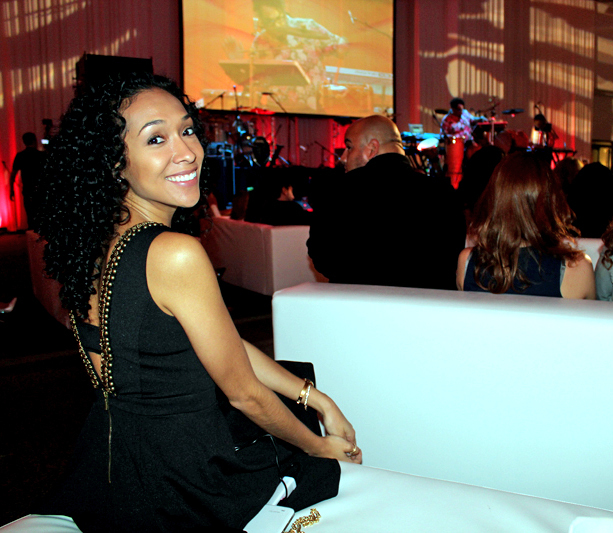 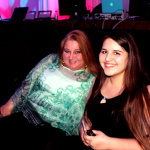 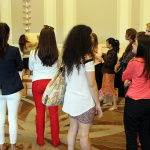 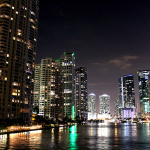 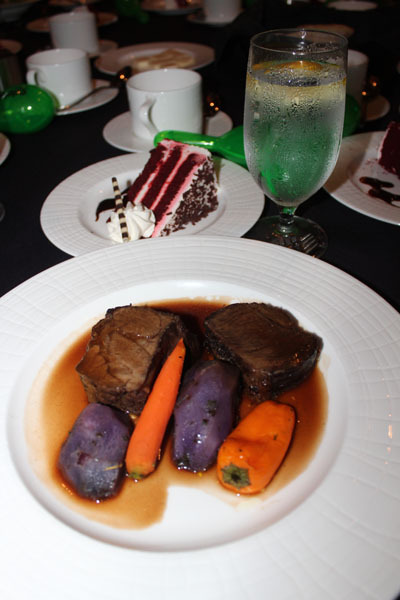 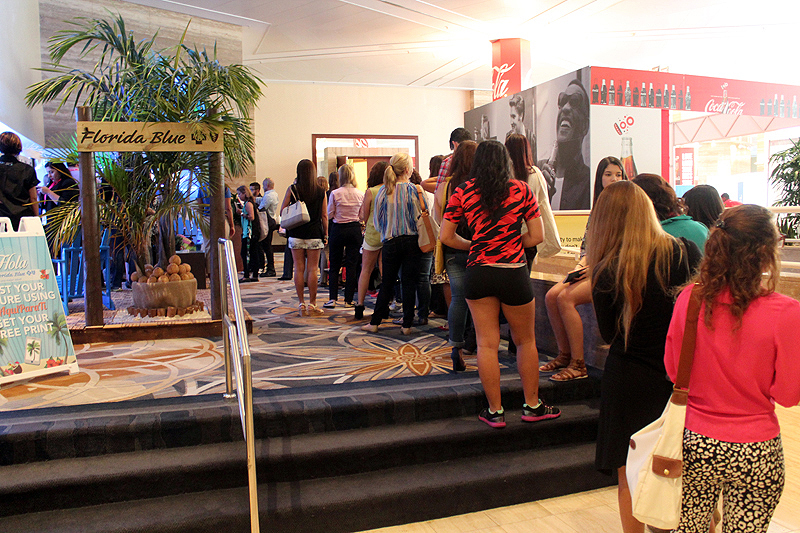 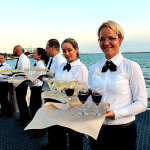 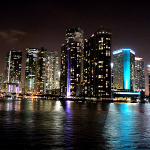 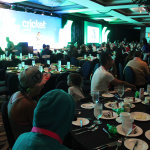 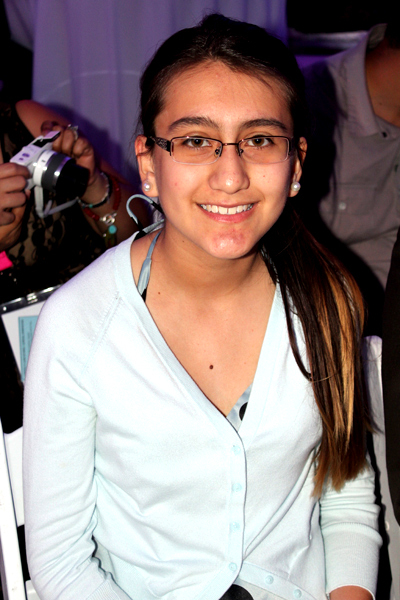 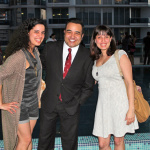 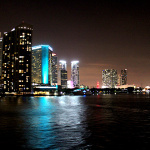 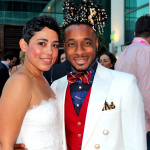 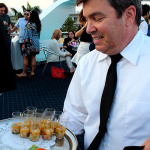 The evening began with an elegant poolside red carpet reception at the Miami Marriott Hotel. 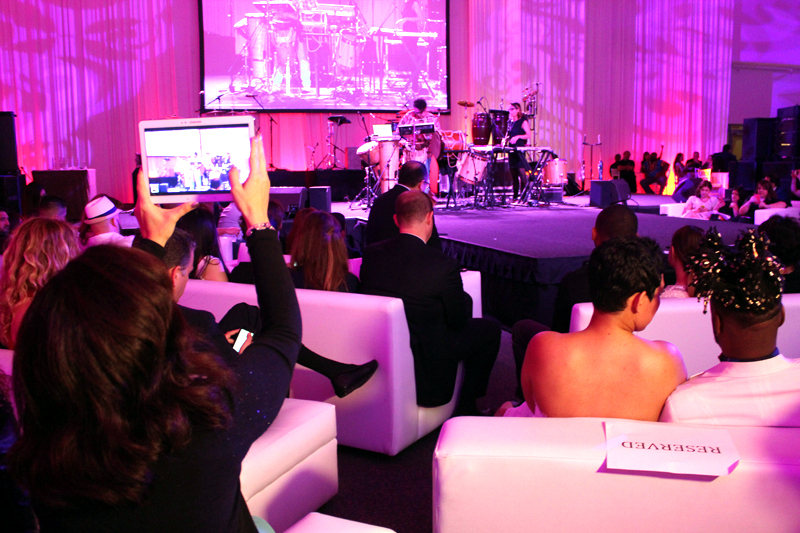 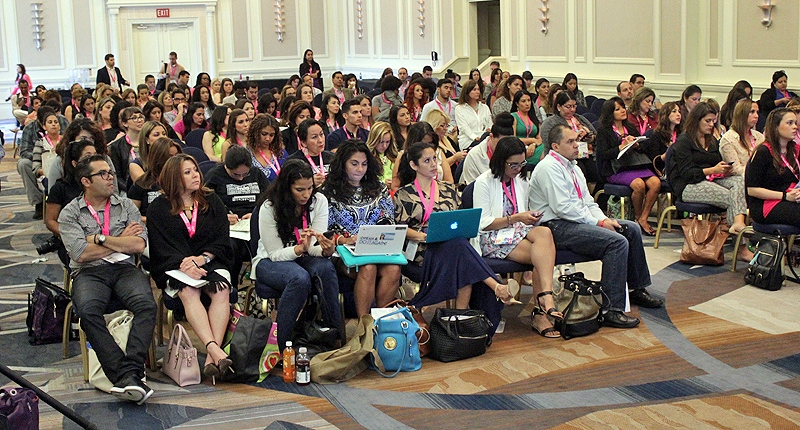 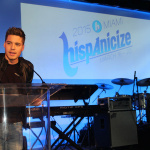 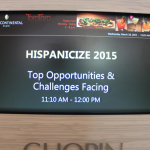 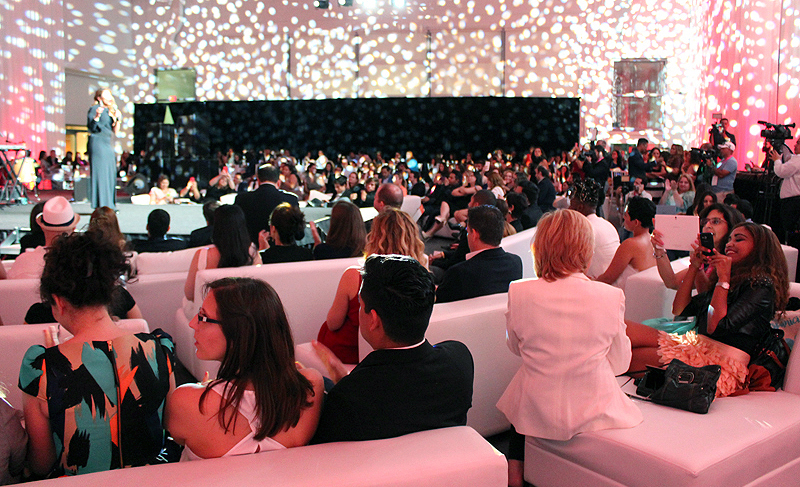 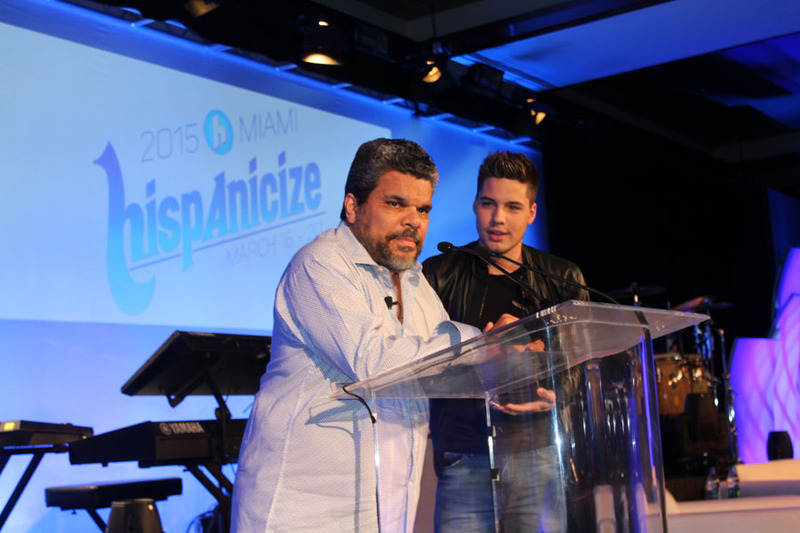 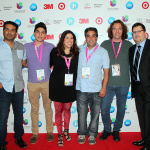 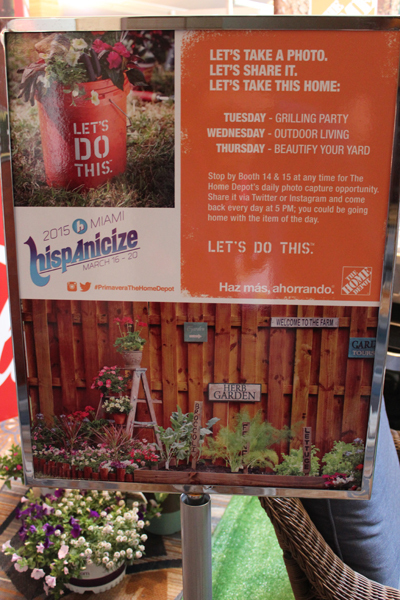 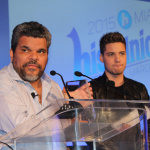 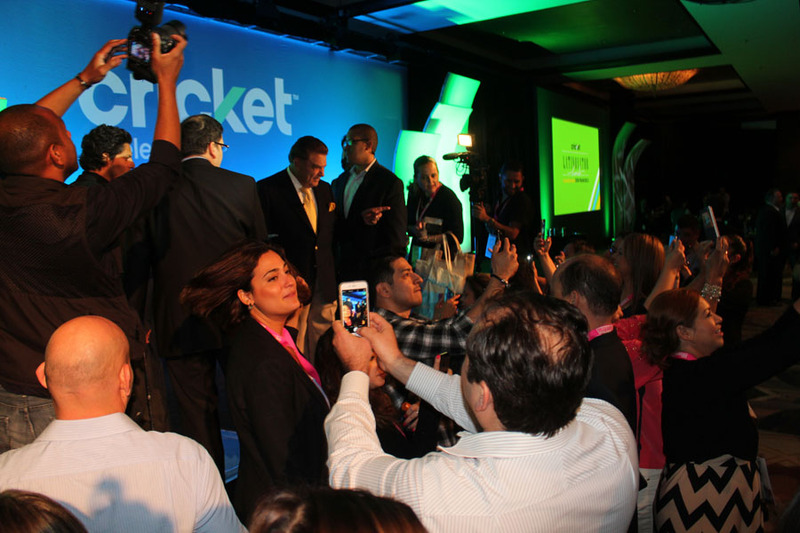 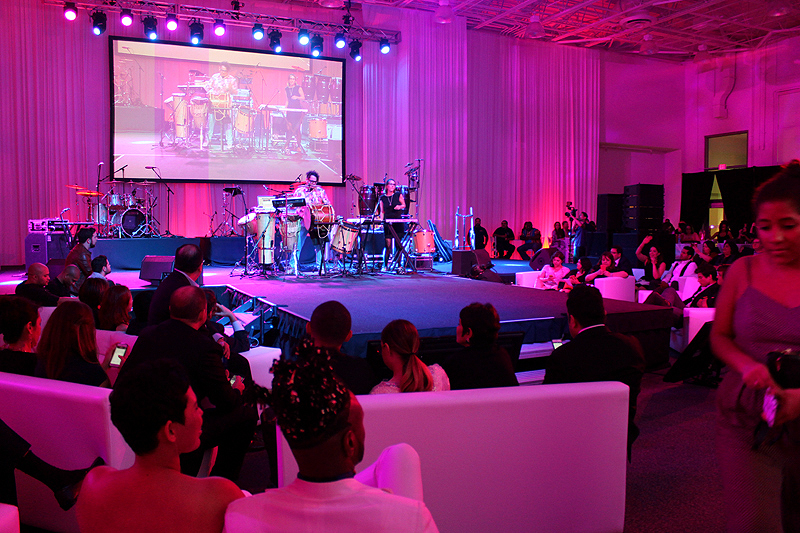 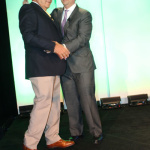 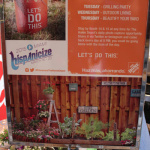 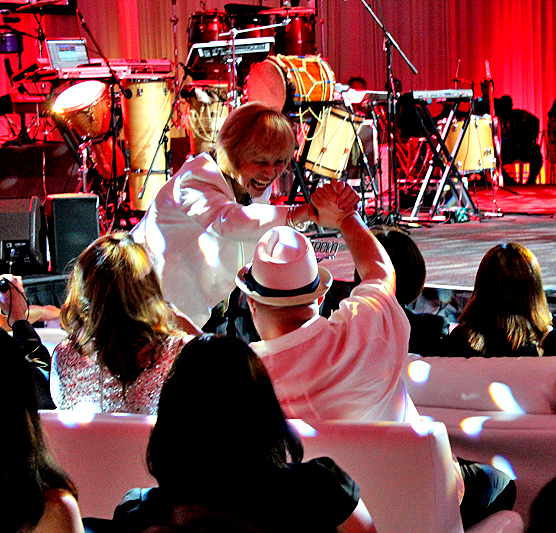 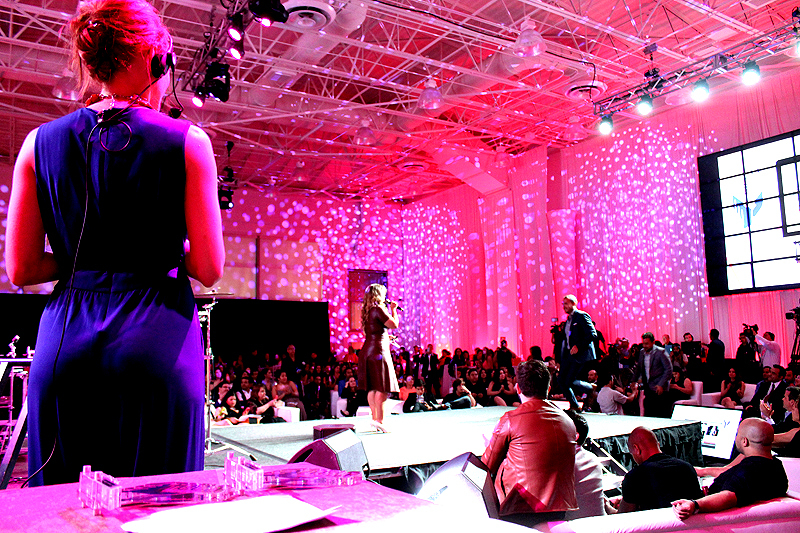 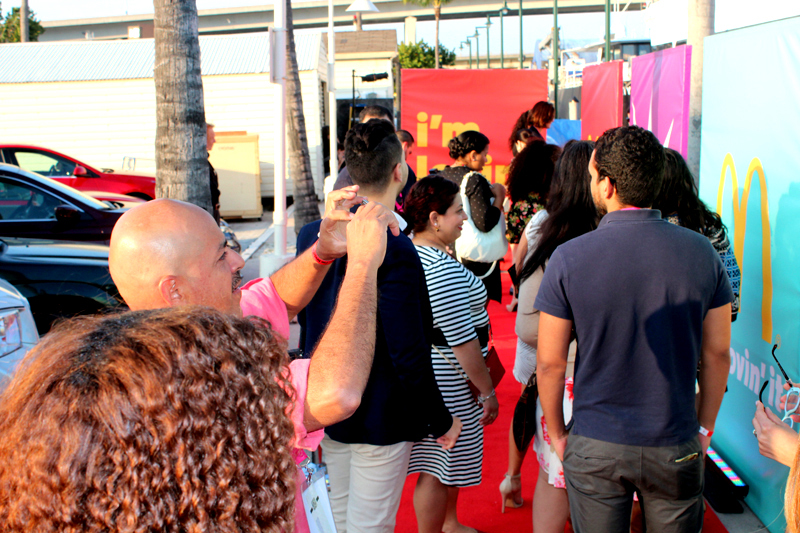 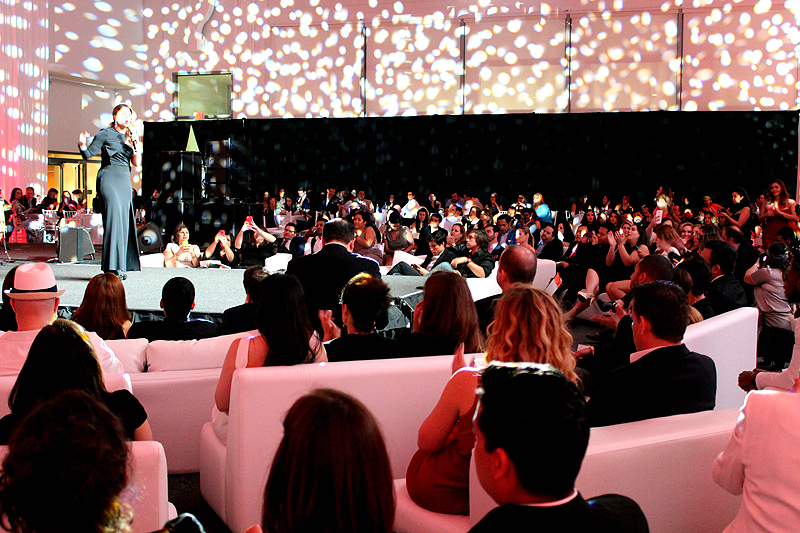 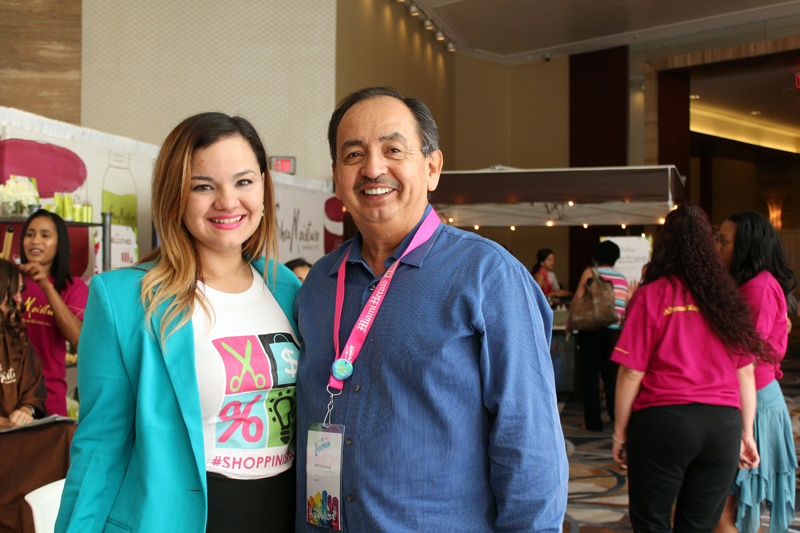 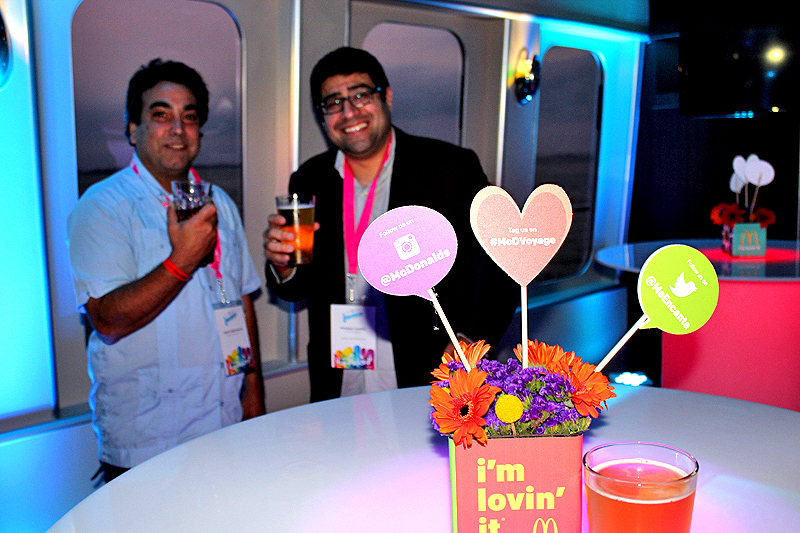 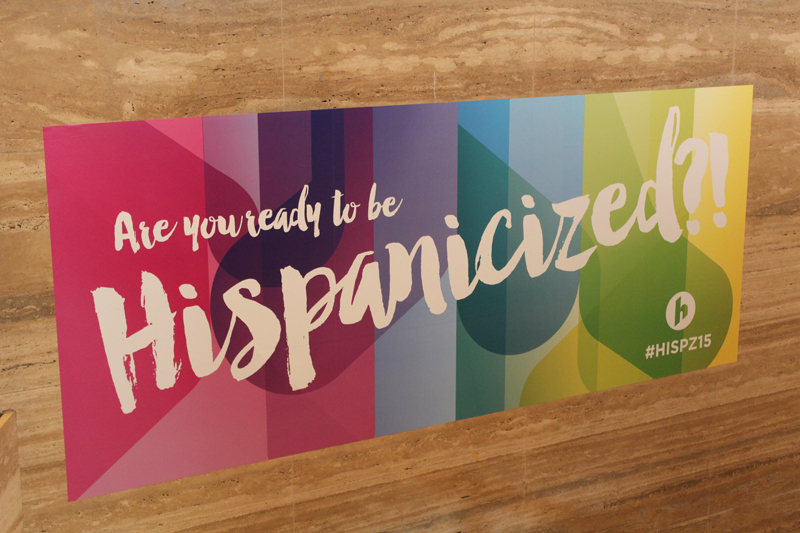 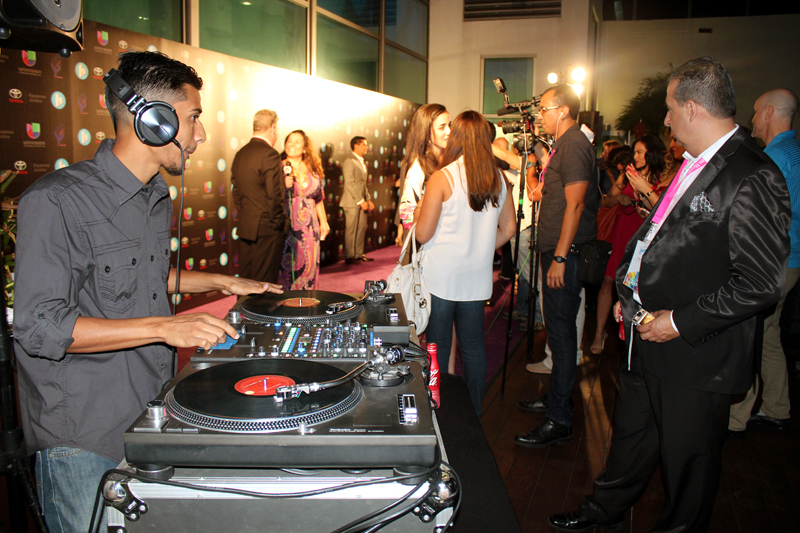 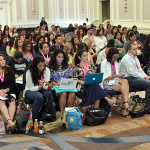 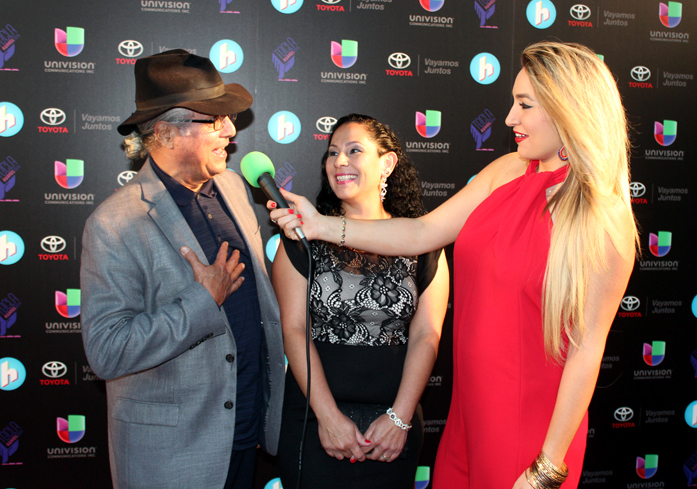 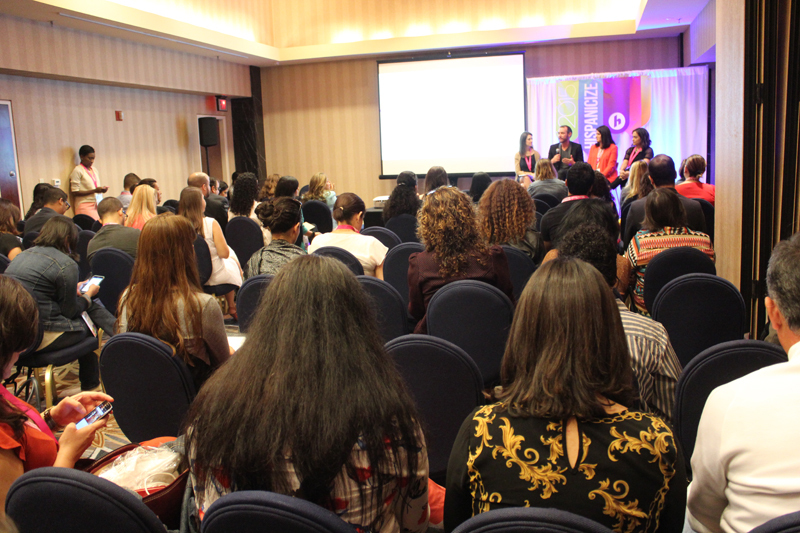 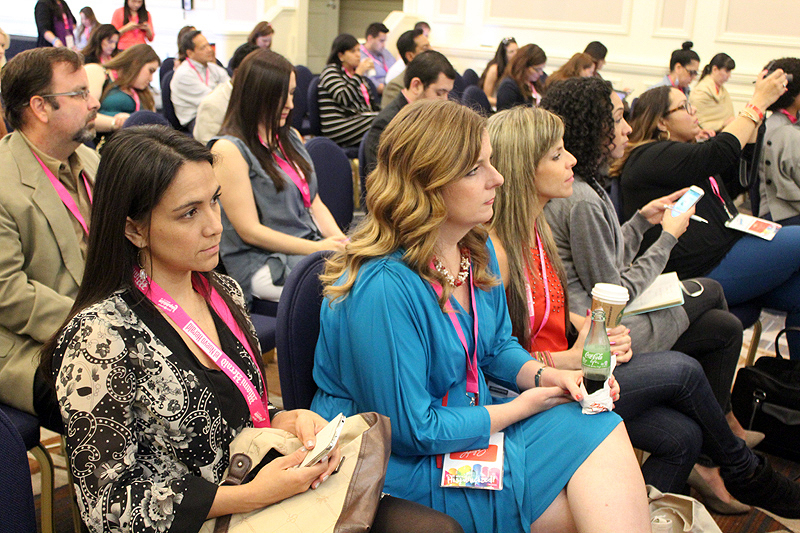 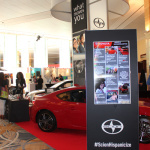 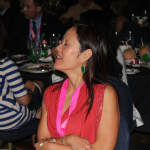 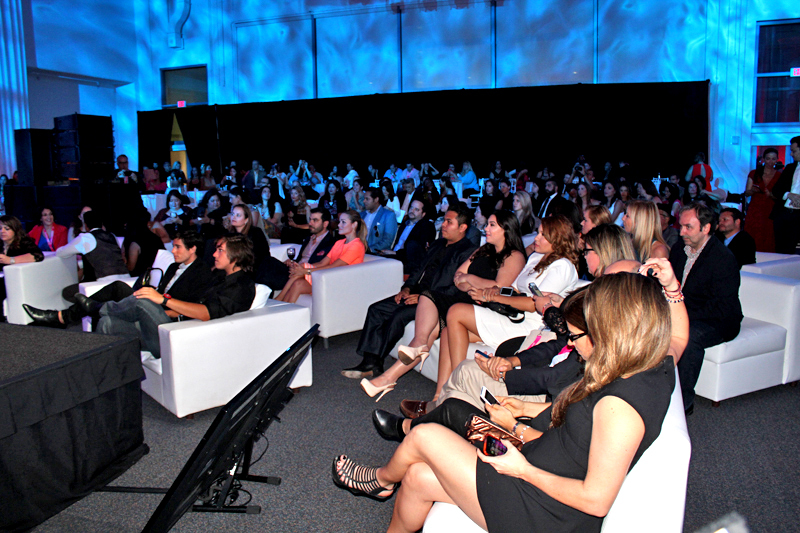 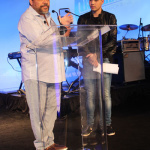 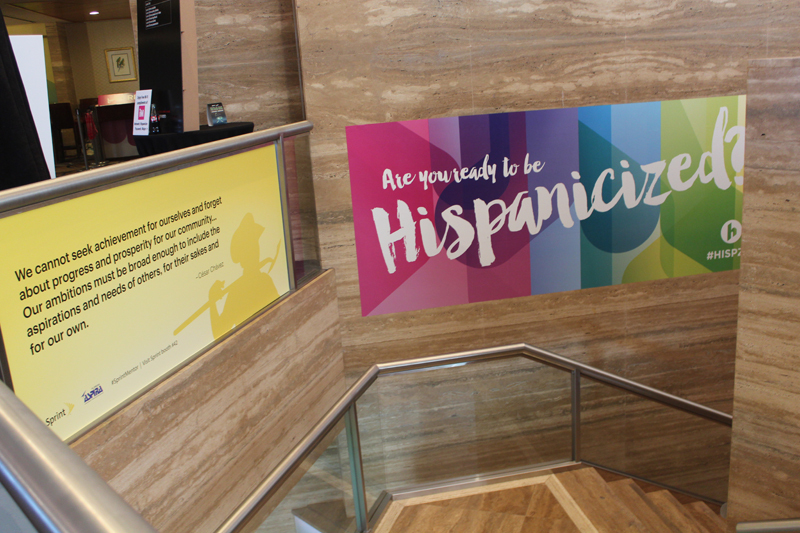 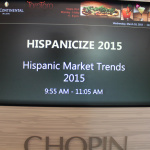 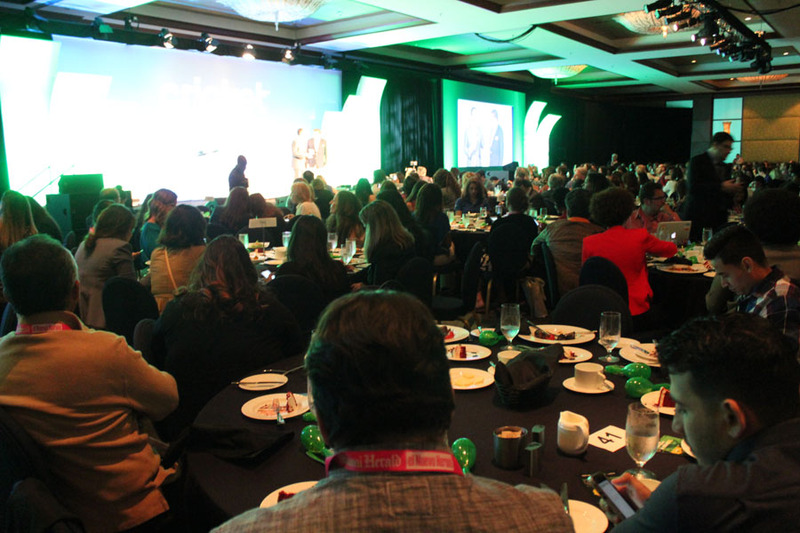 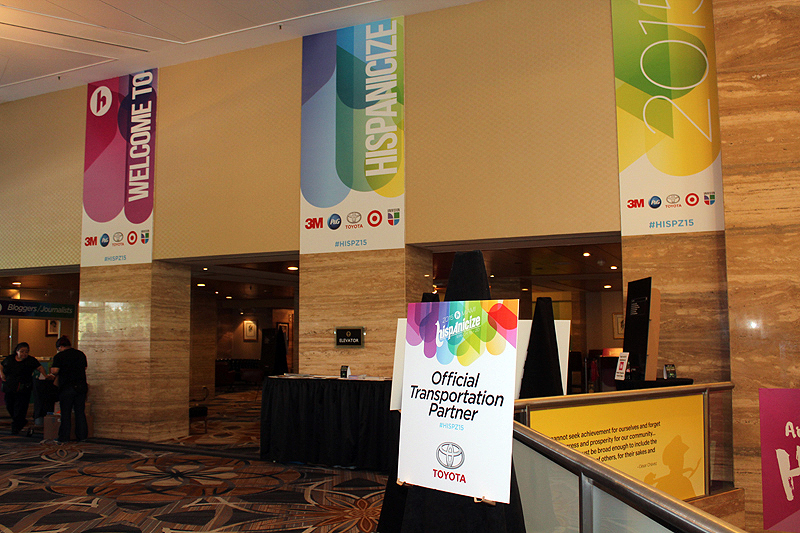 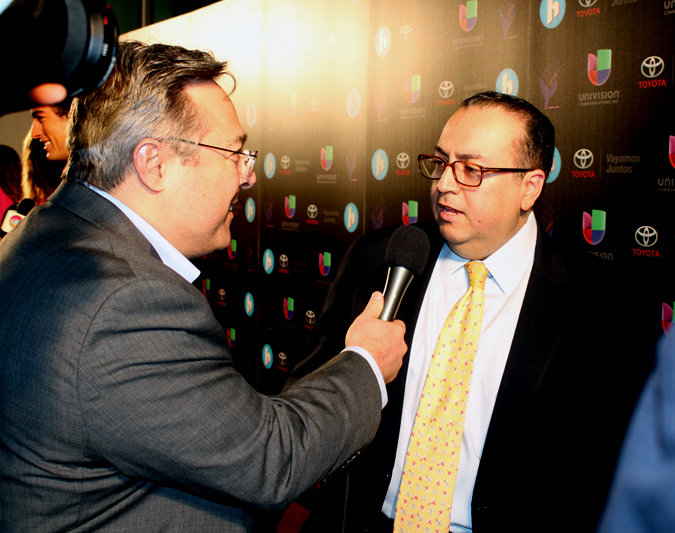 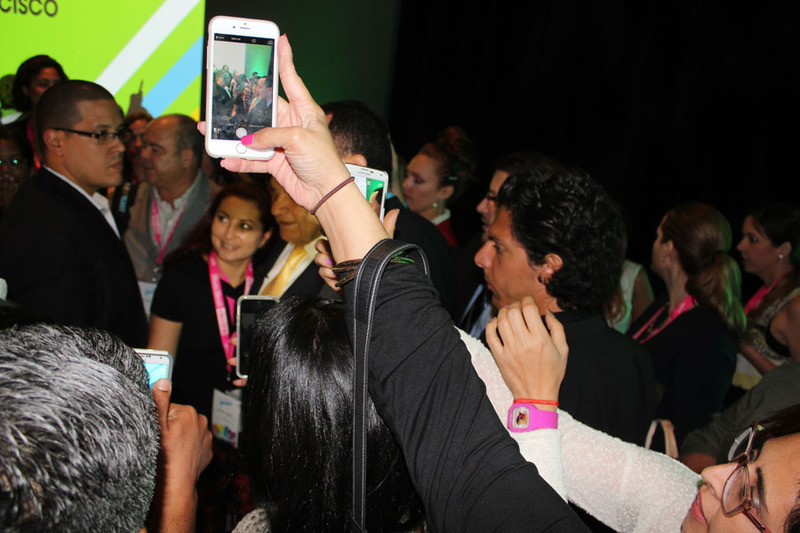 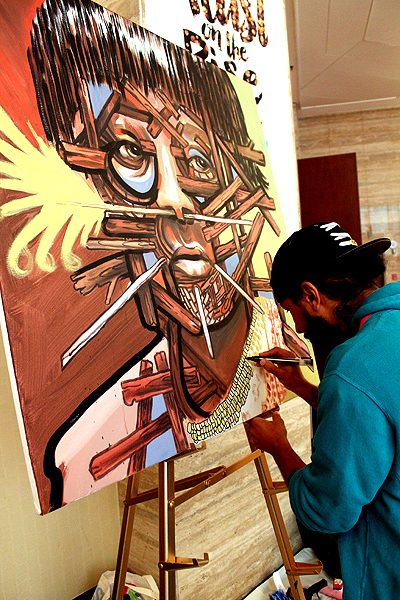 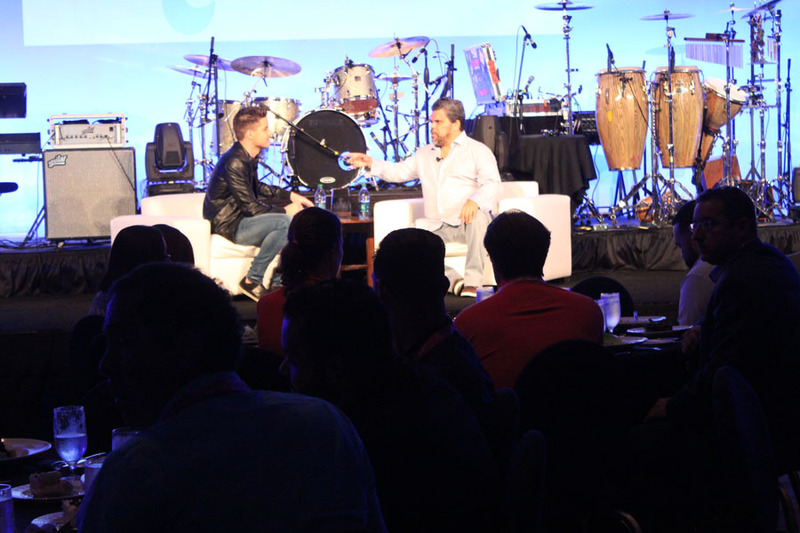 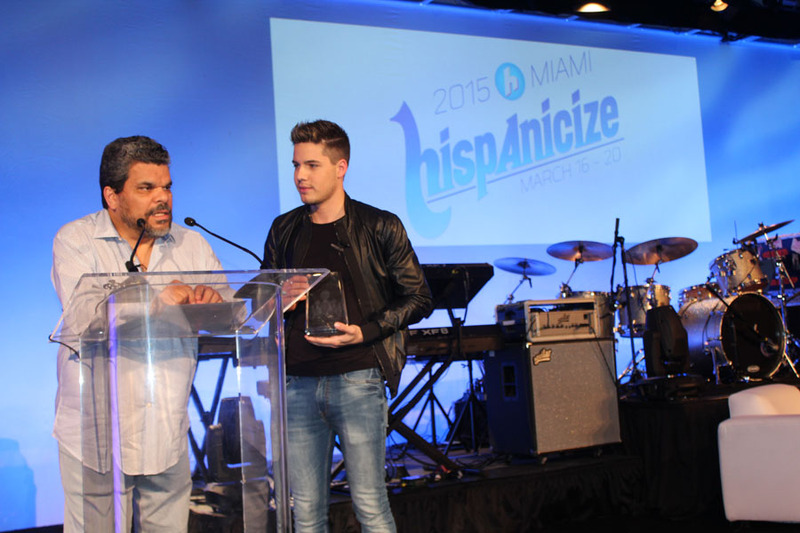 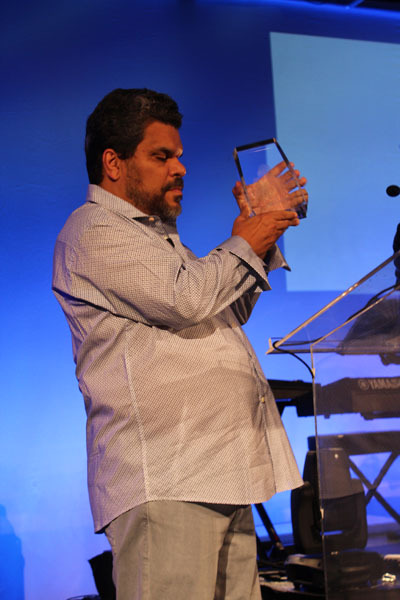 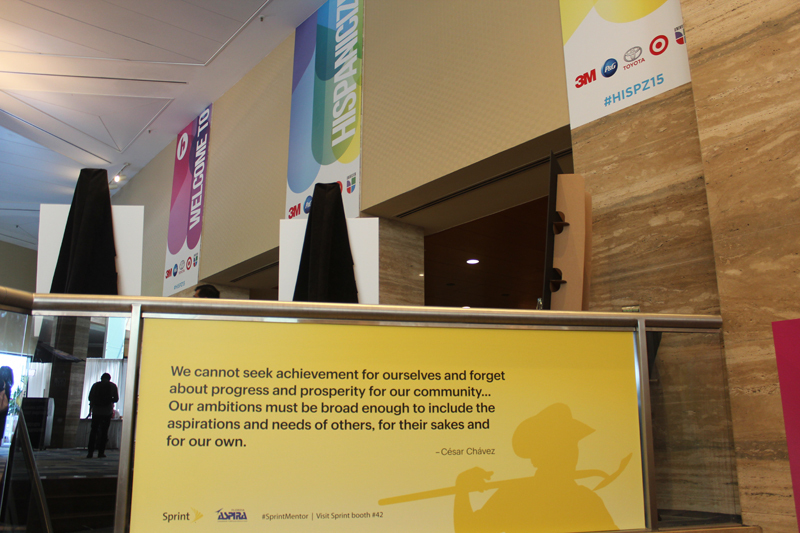 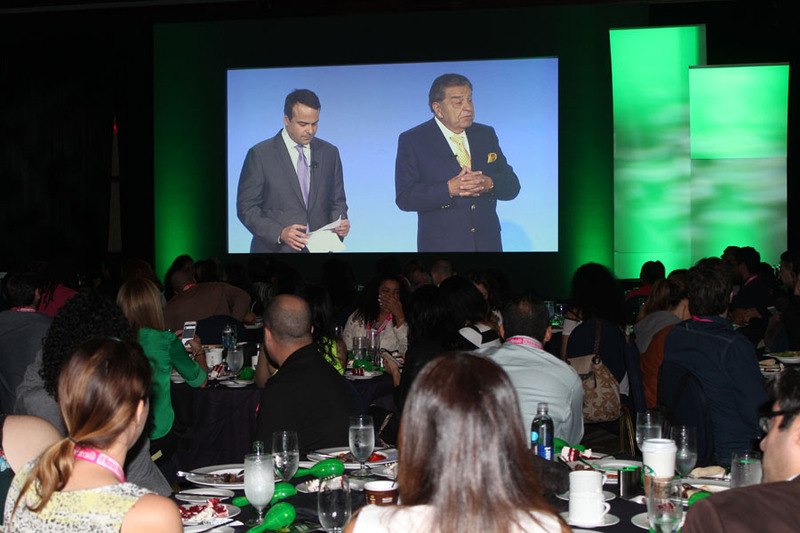 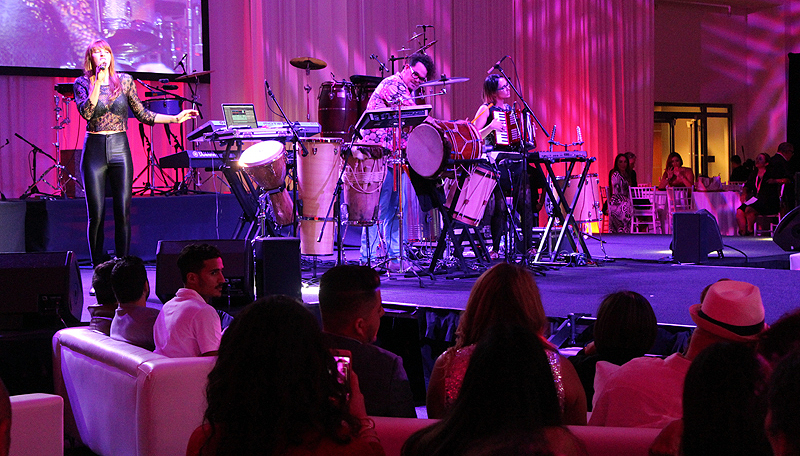 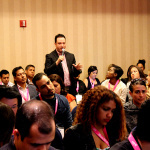 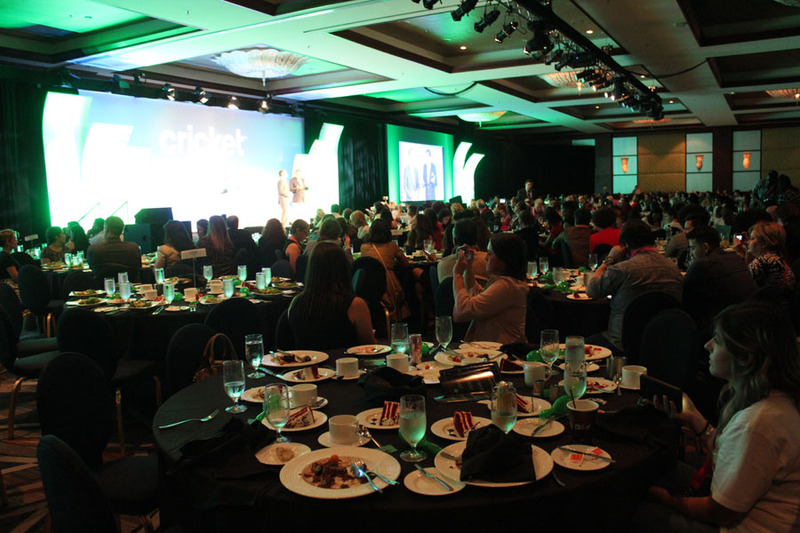 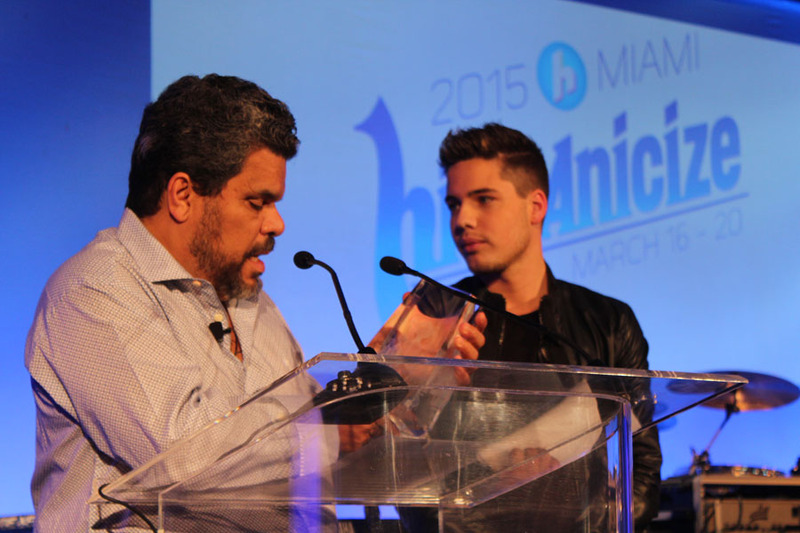 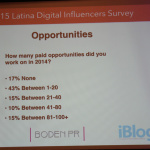 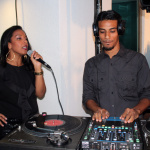 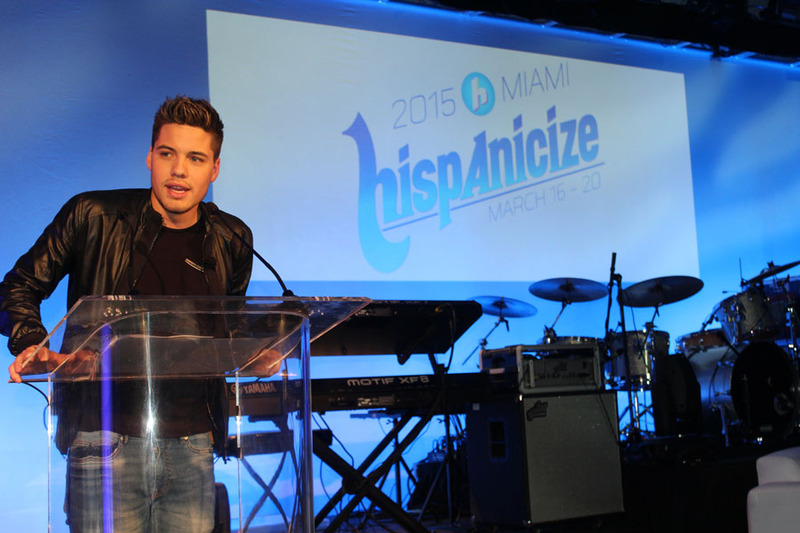 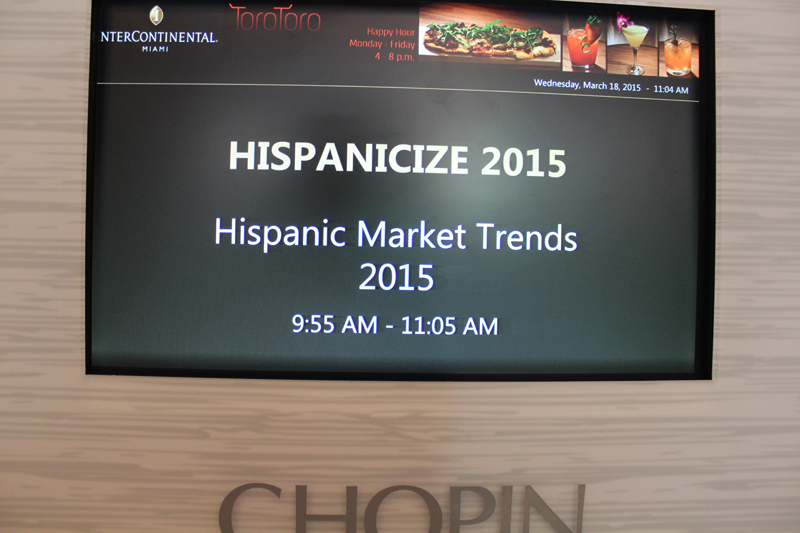 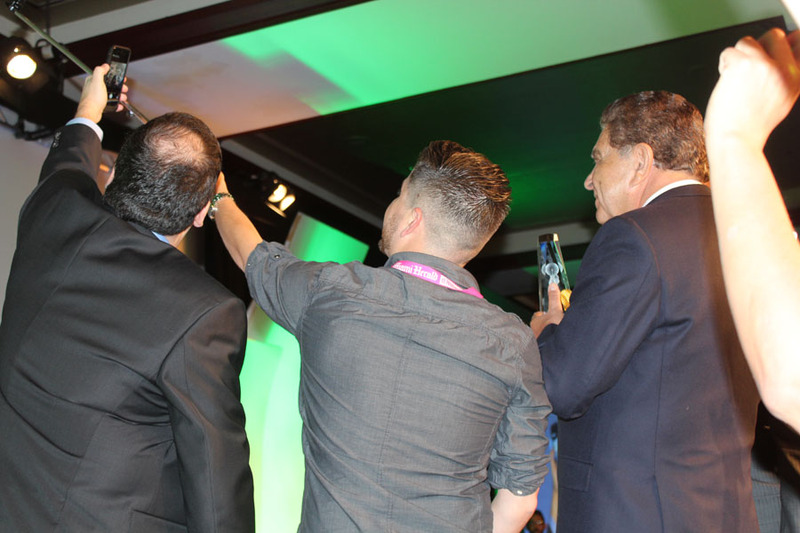 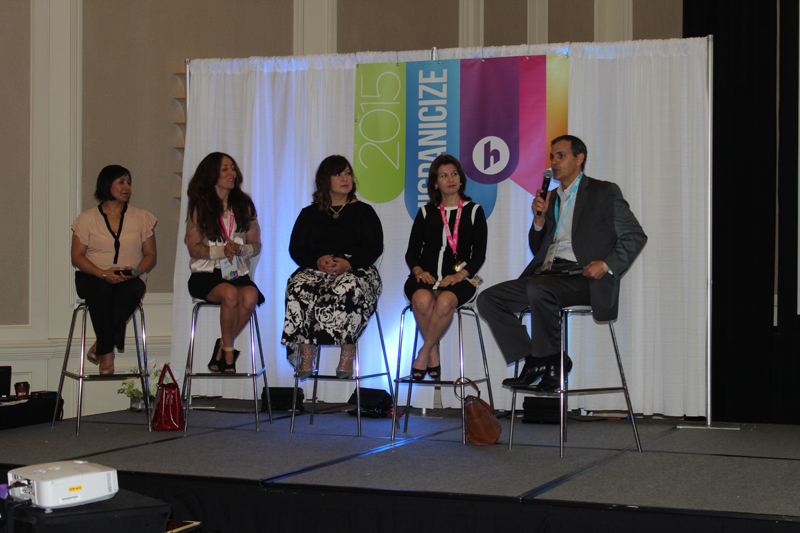 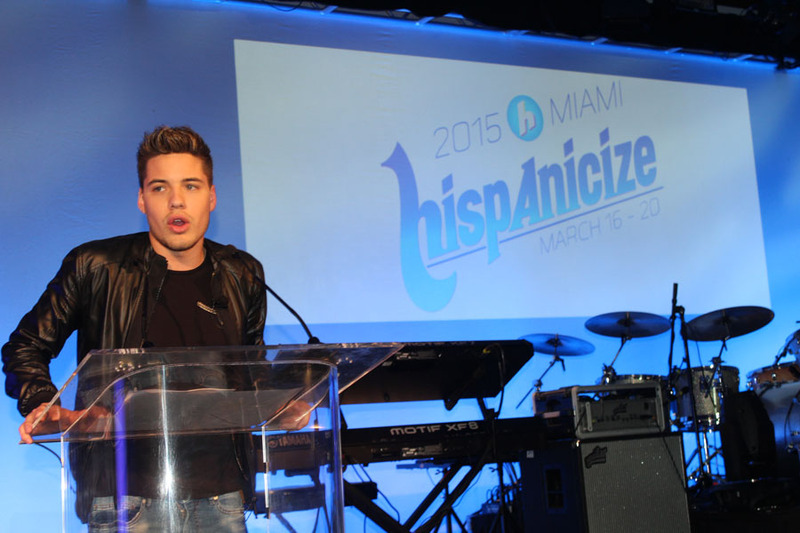 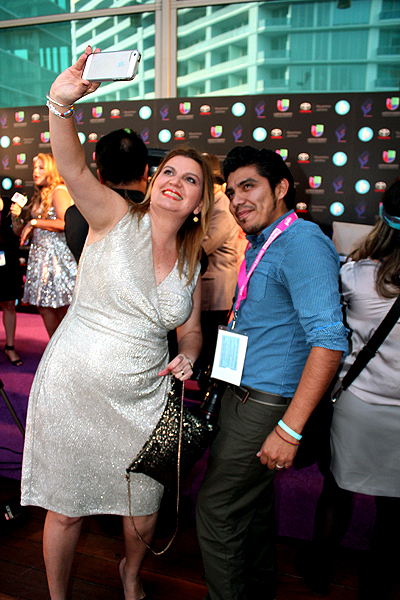 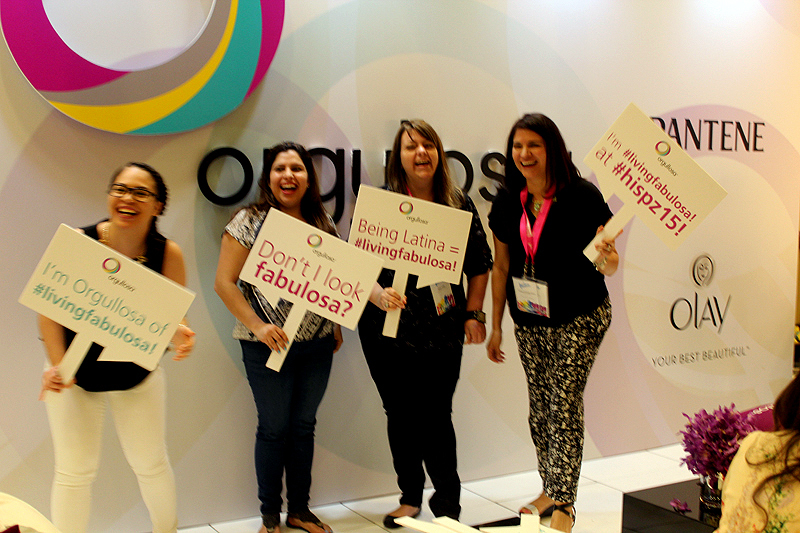 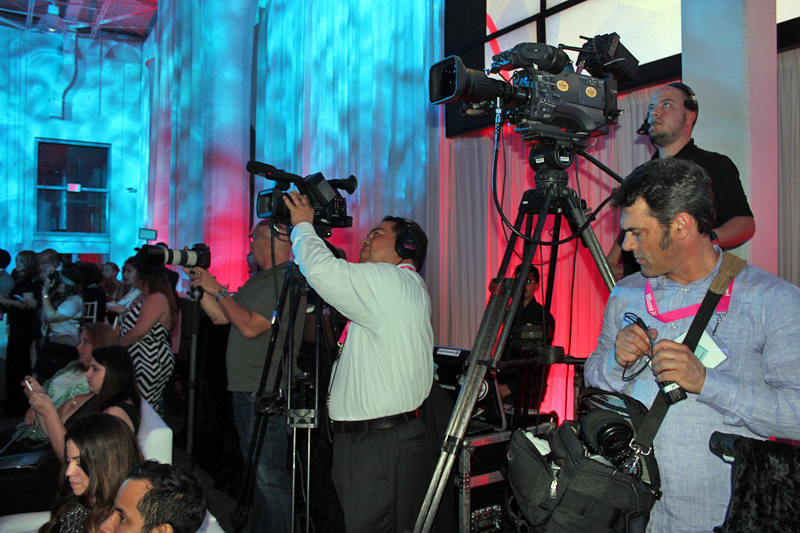 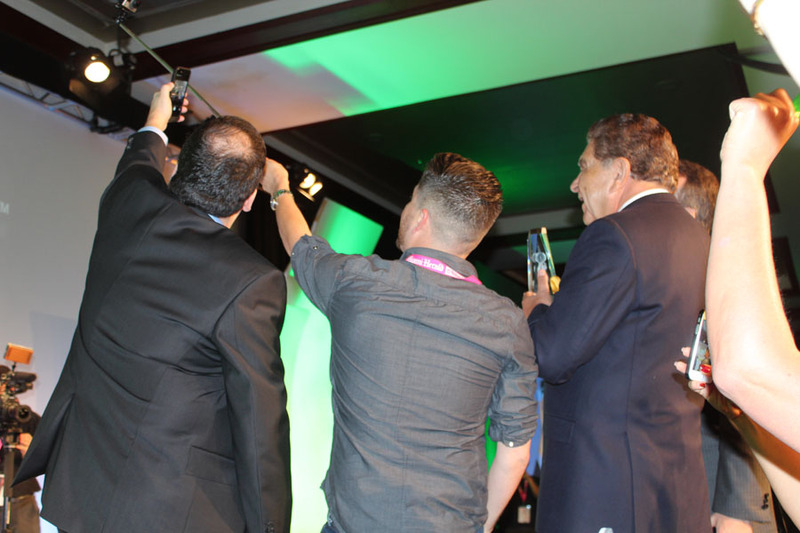 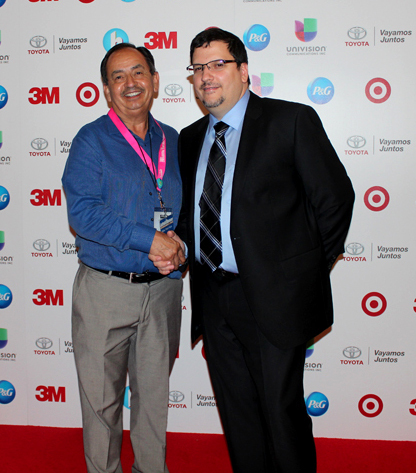 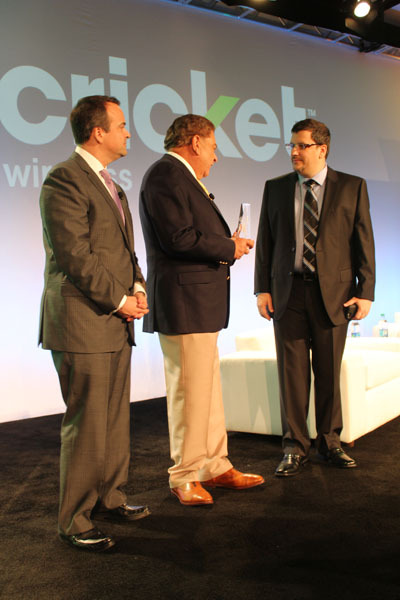 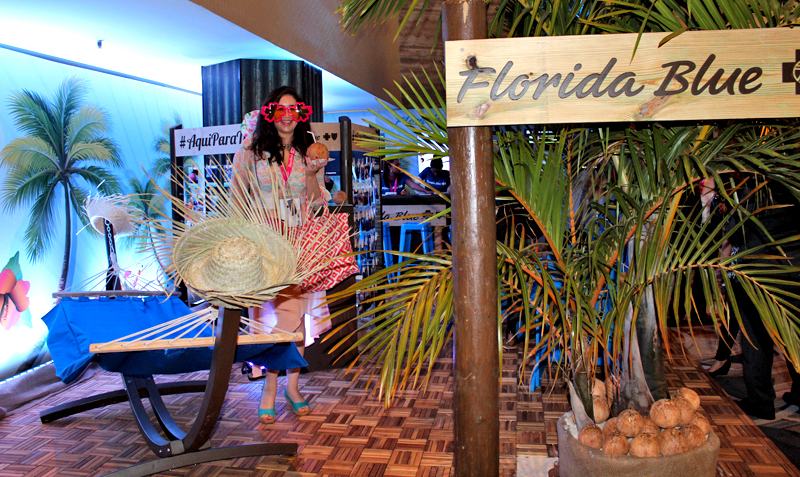 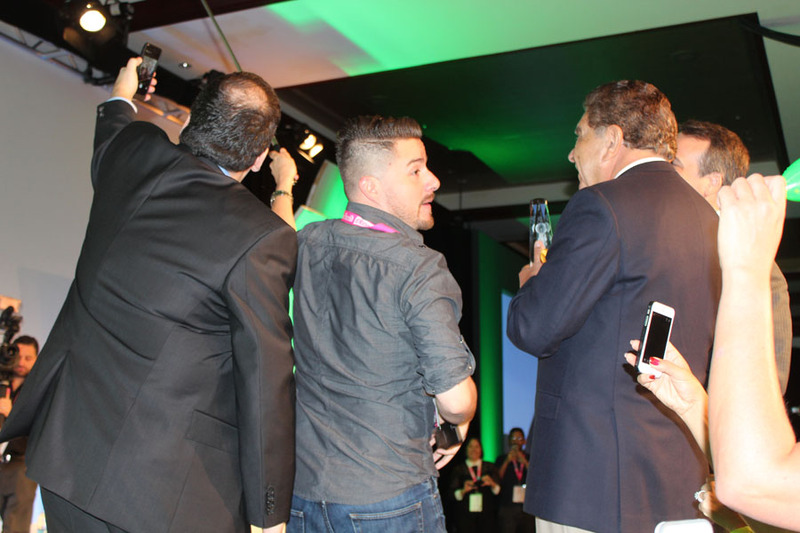 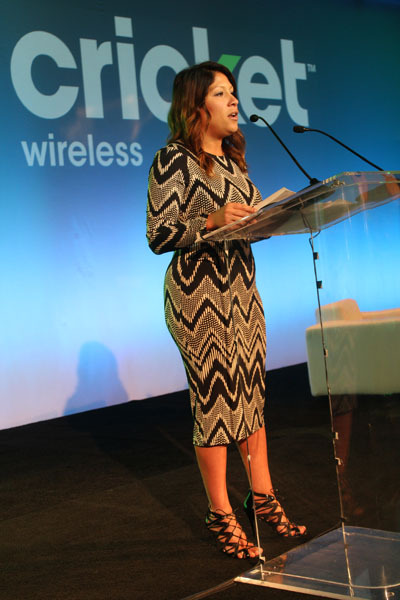 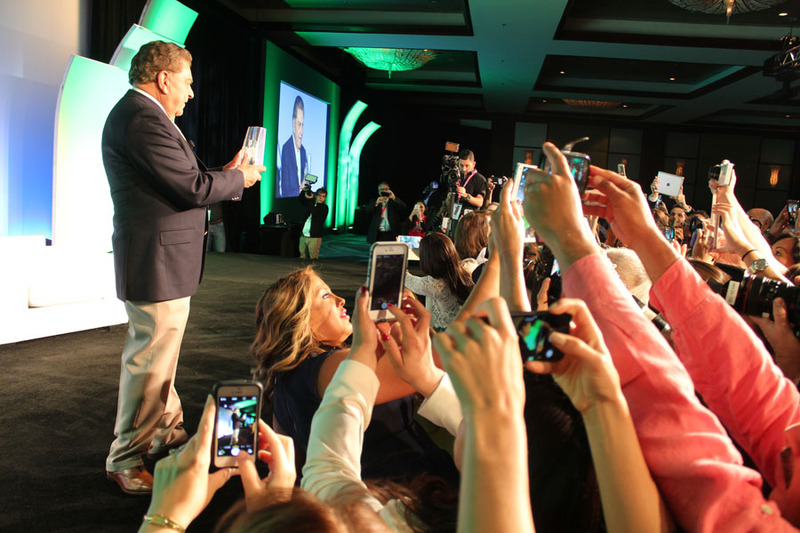 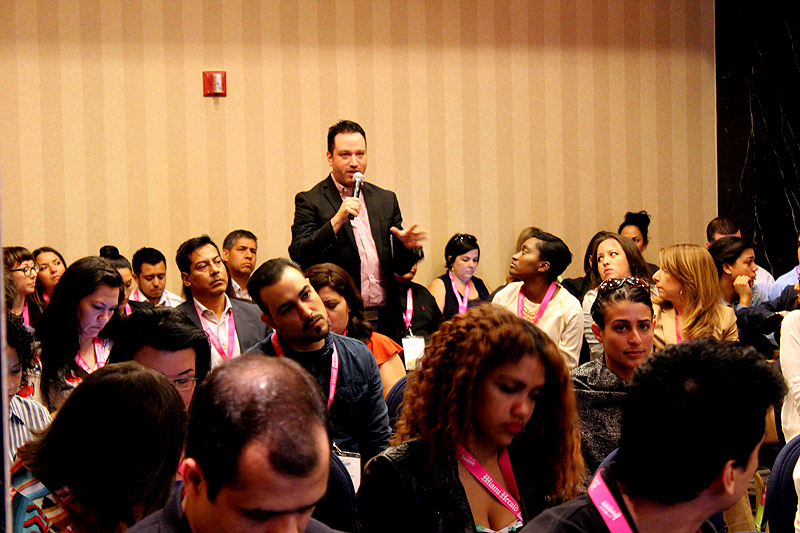 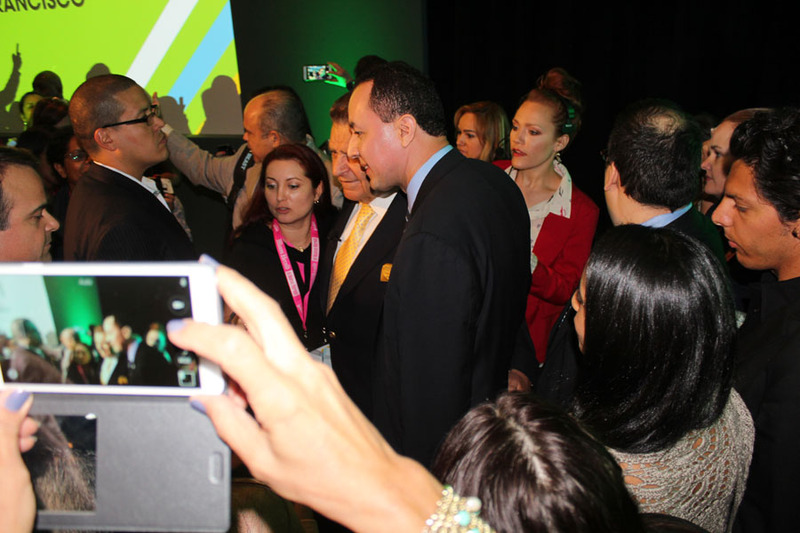 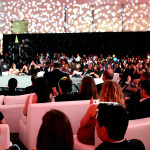 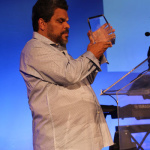 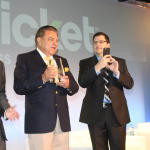 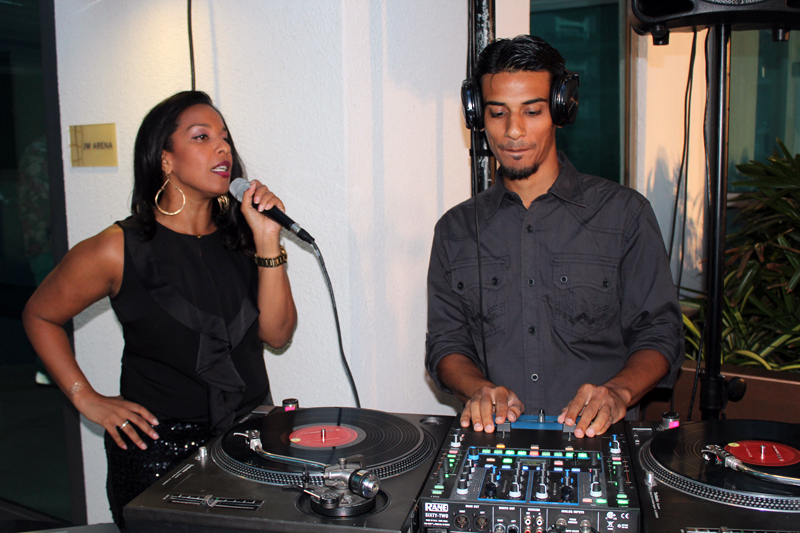 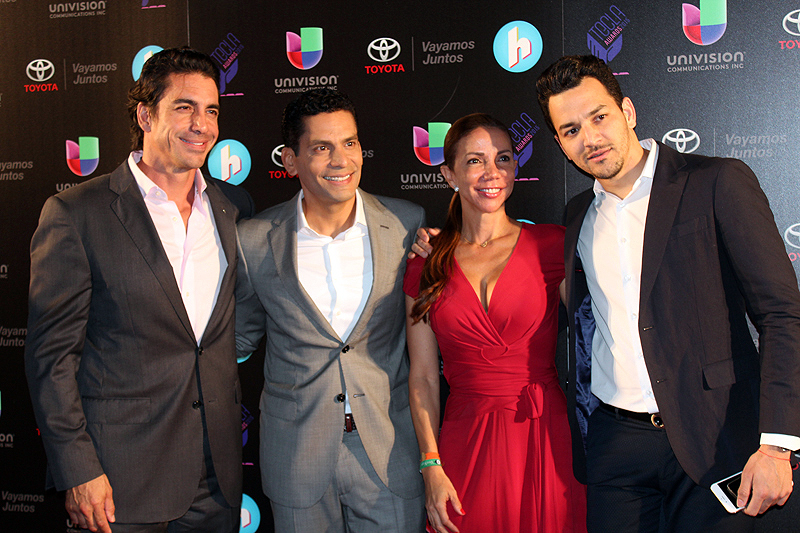 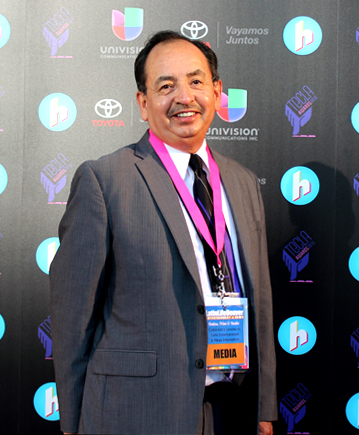 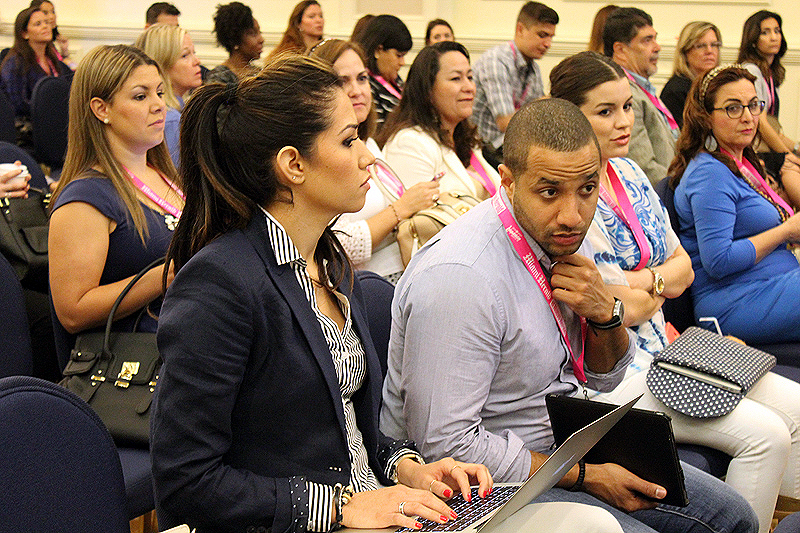 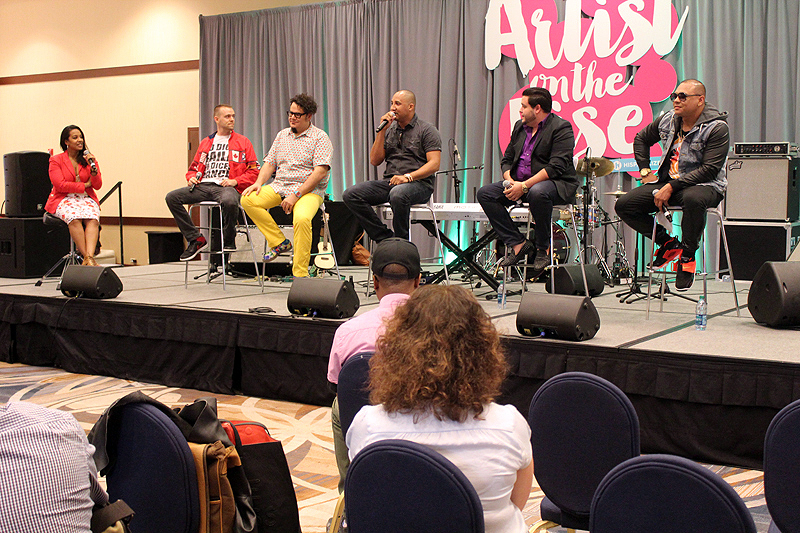 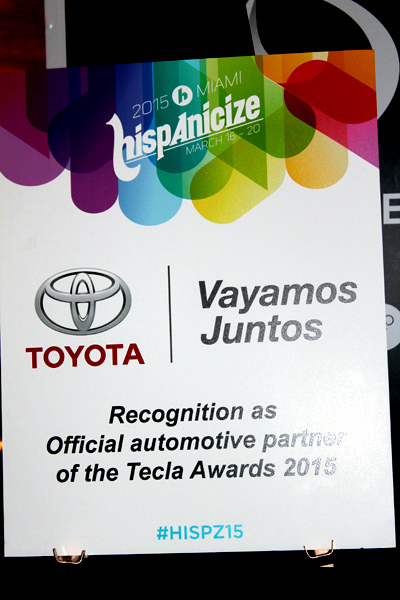 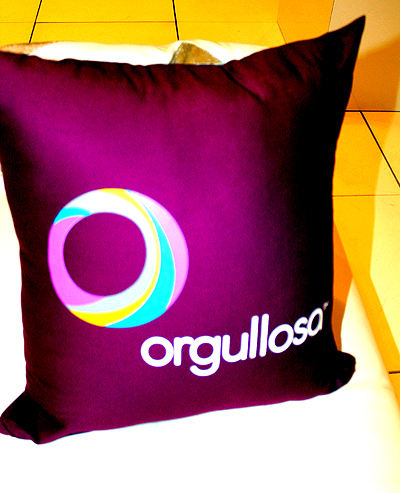 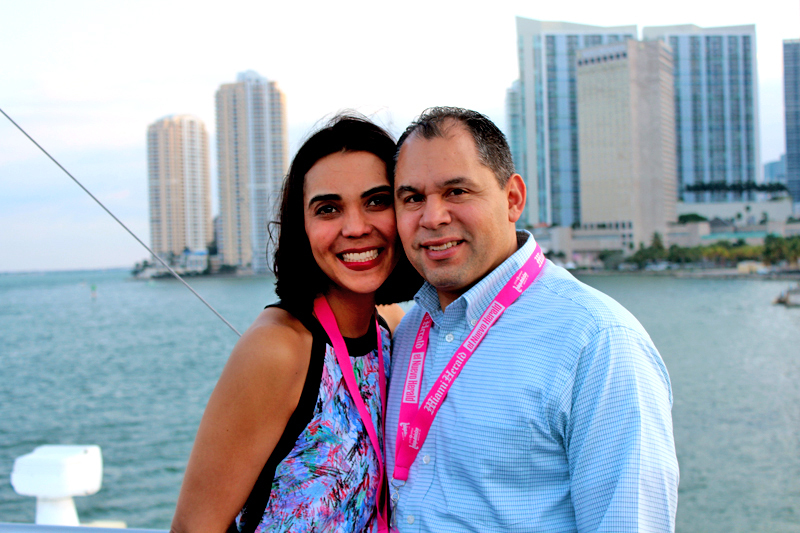 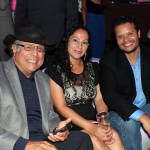 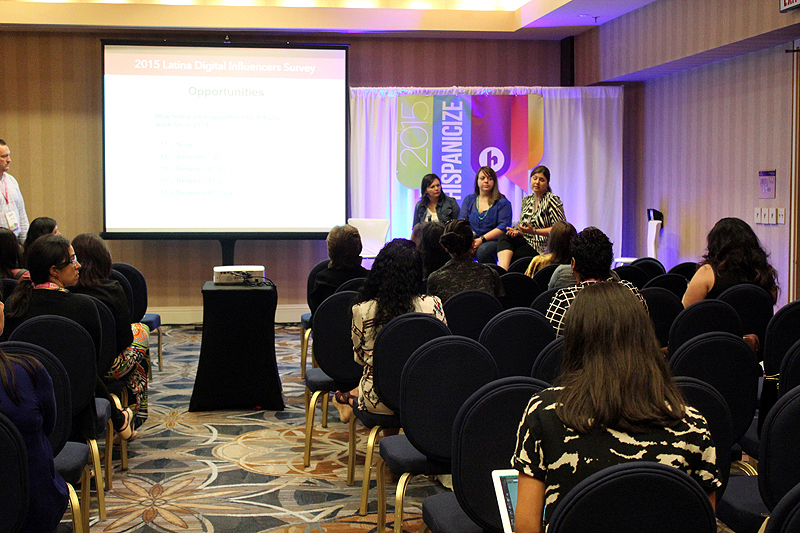 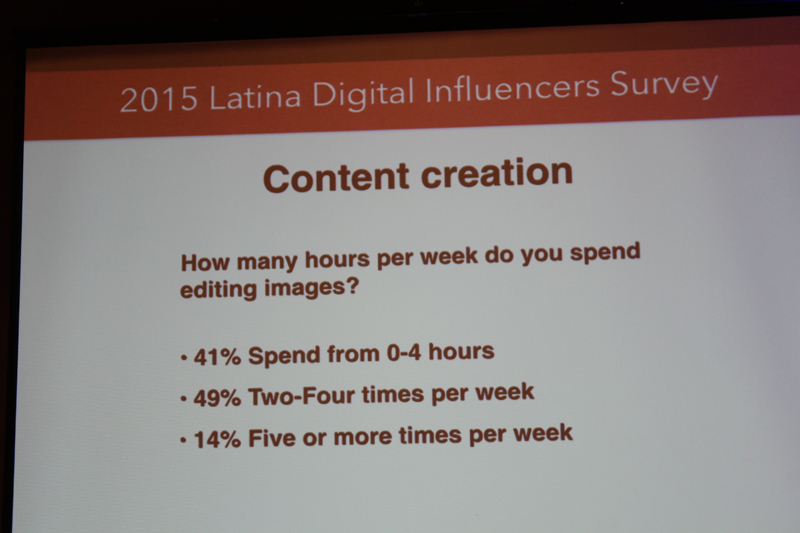 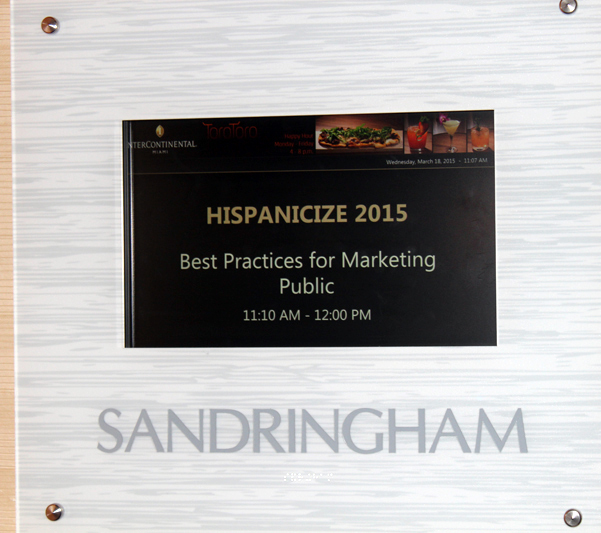 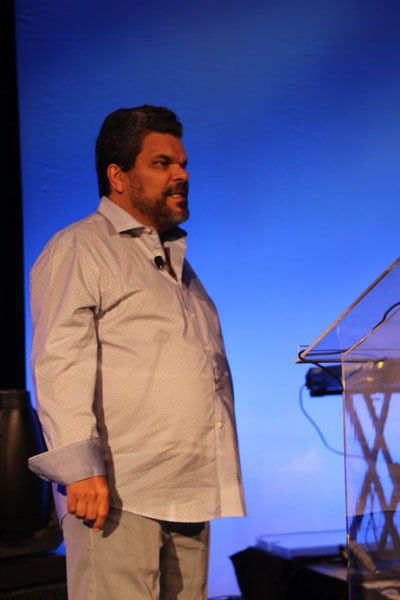 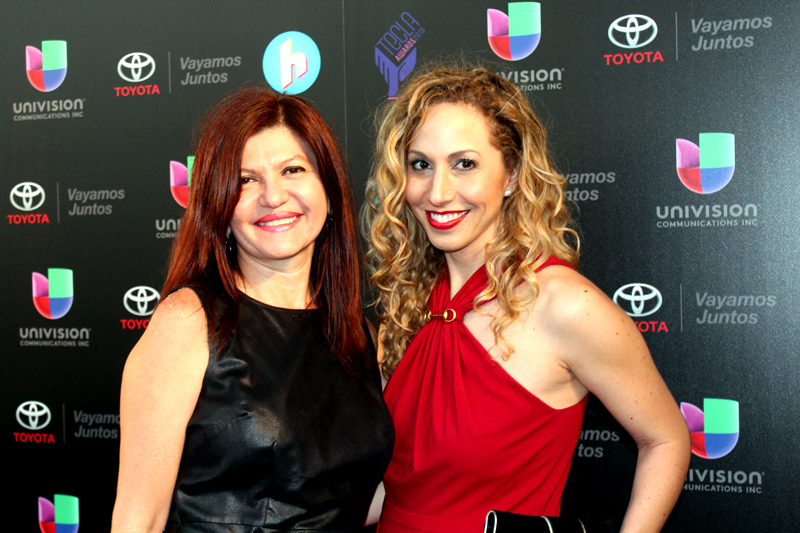 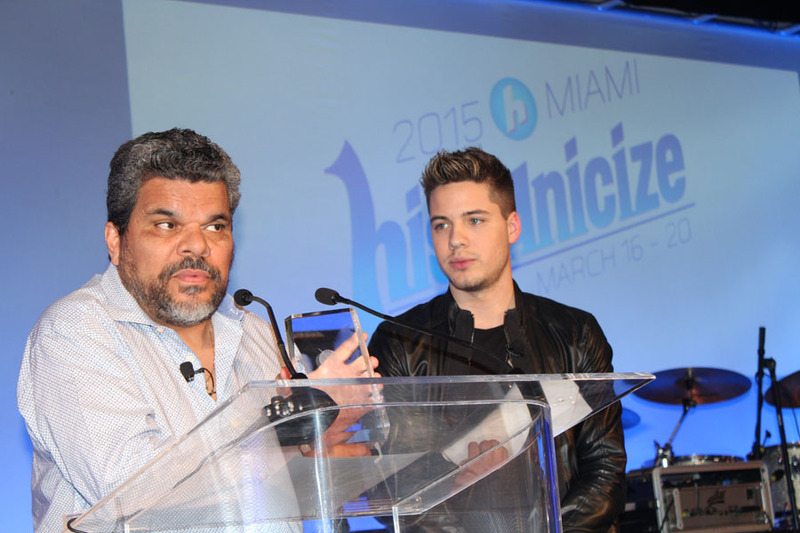 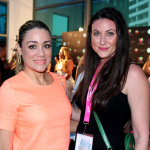 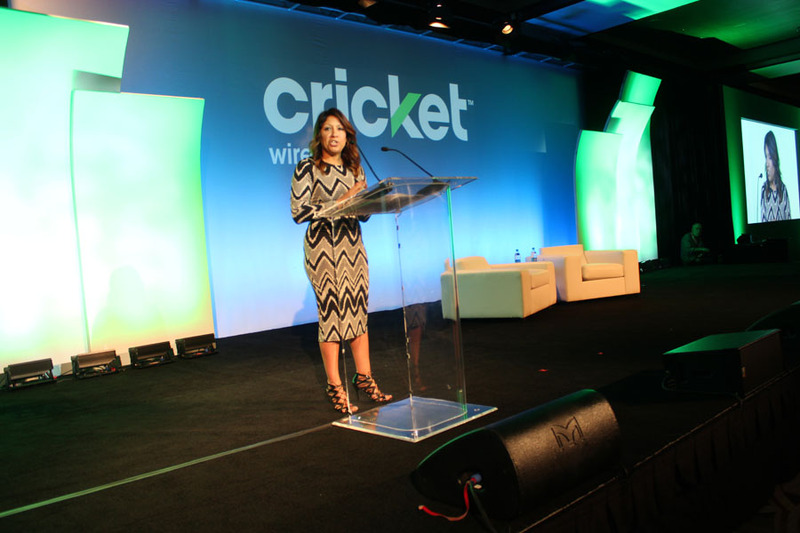 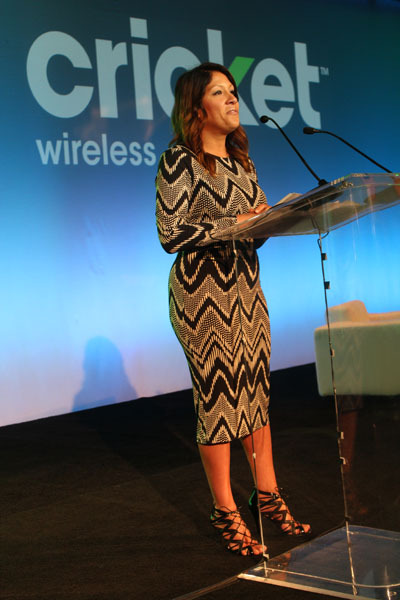 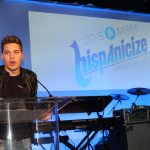 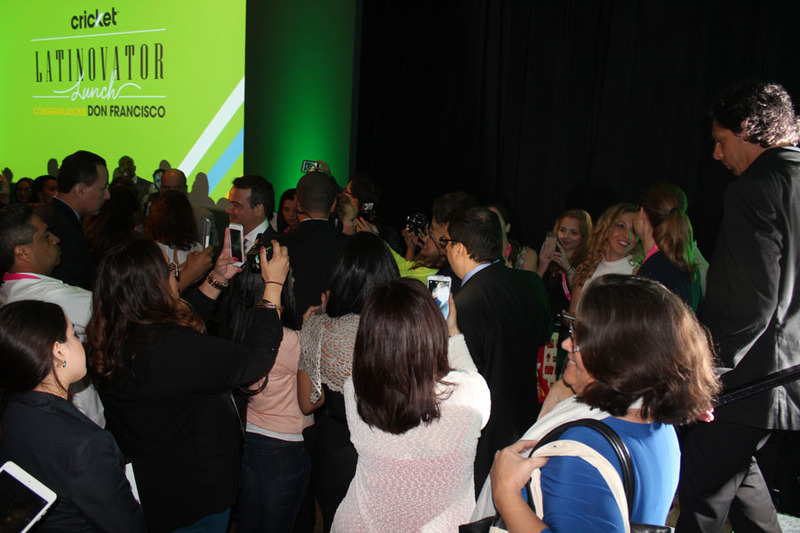 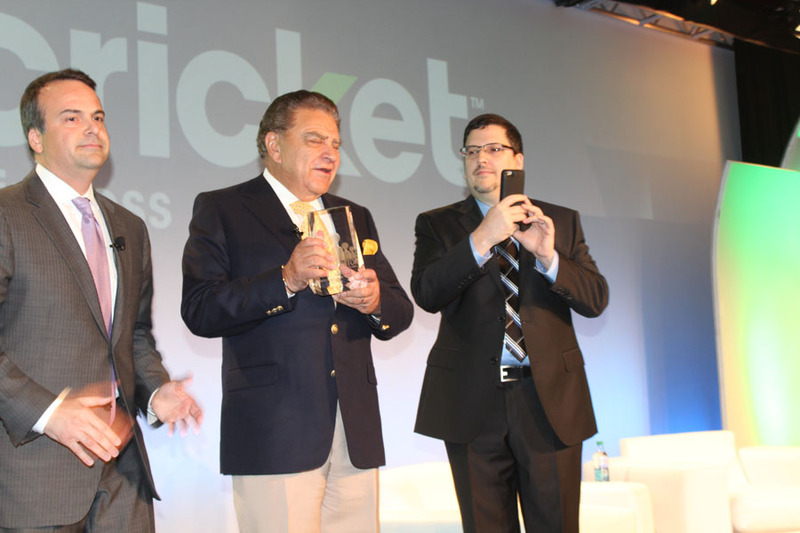 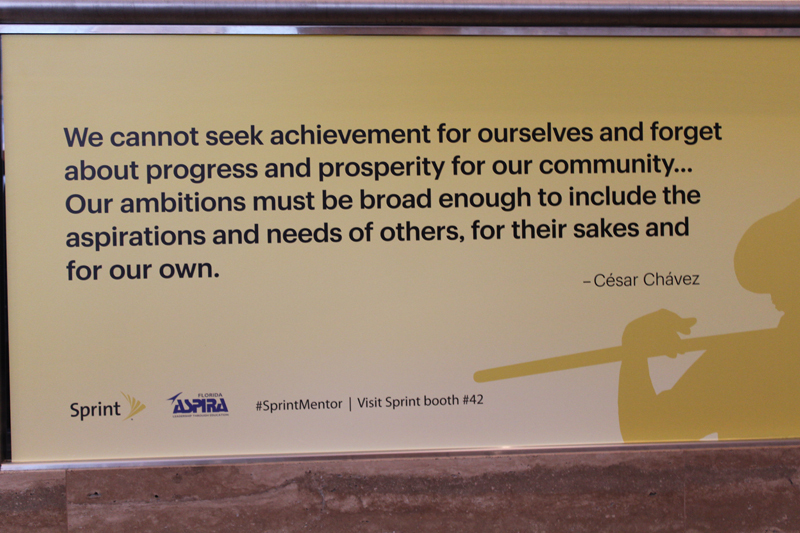 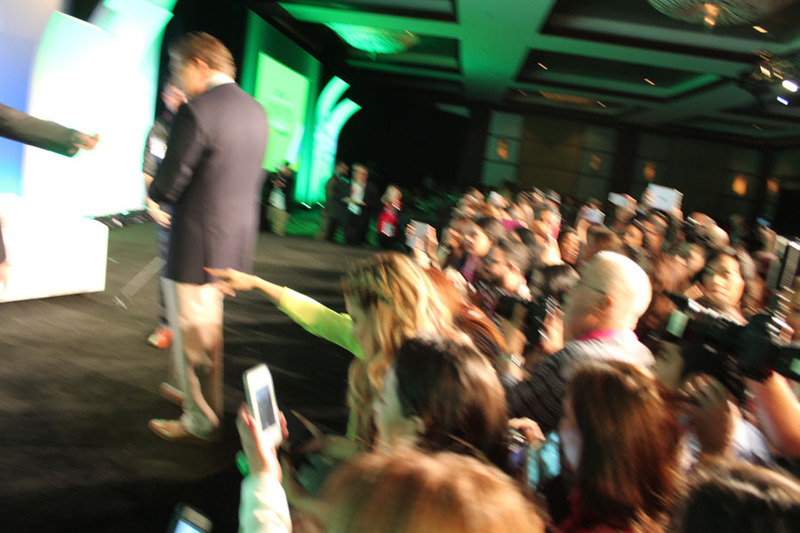 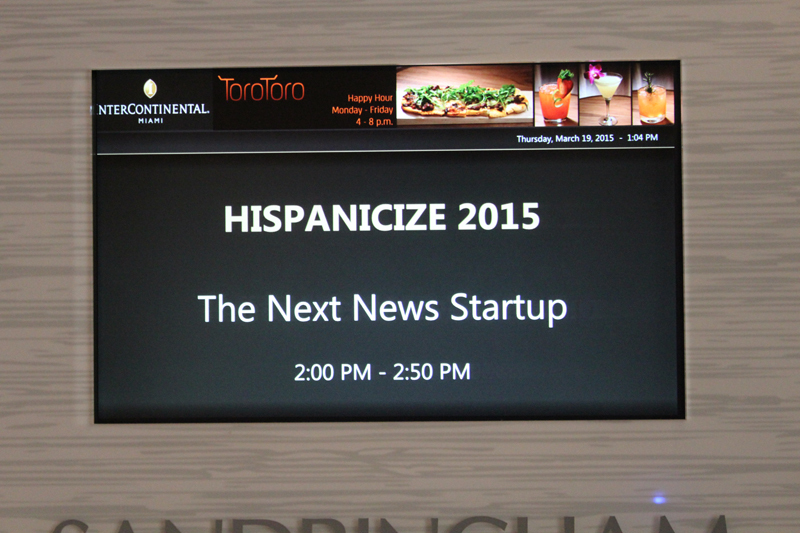 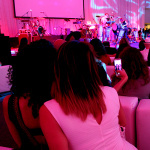 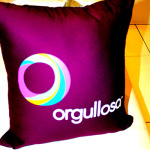 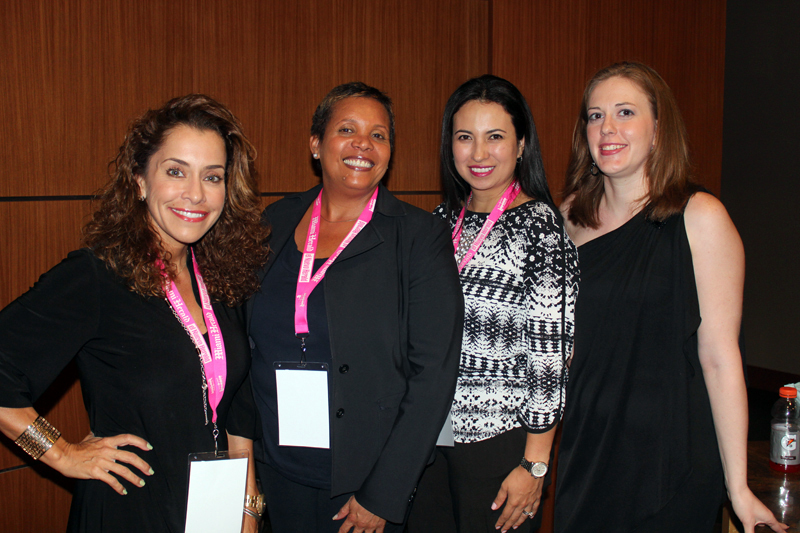 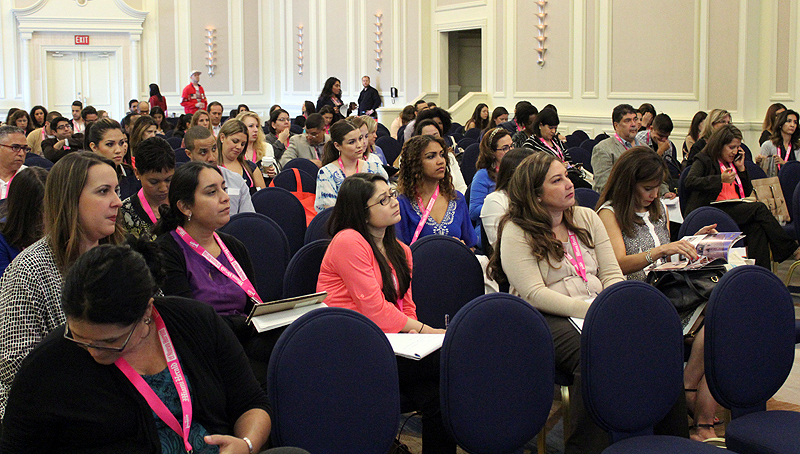 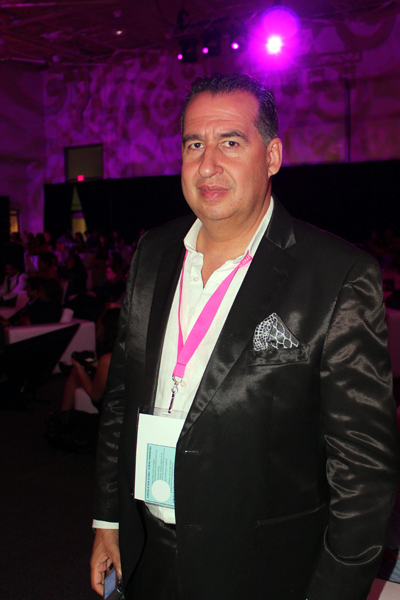 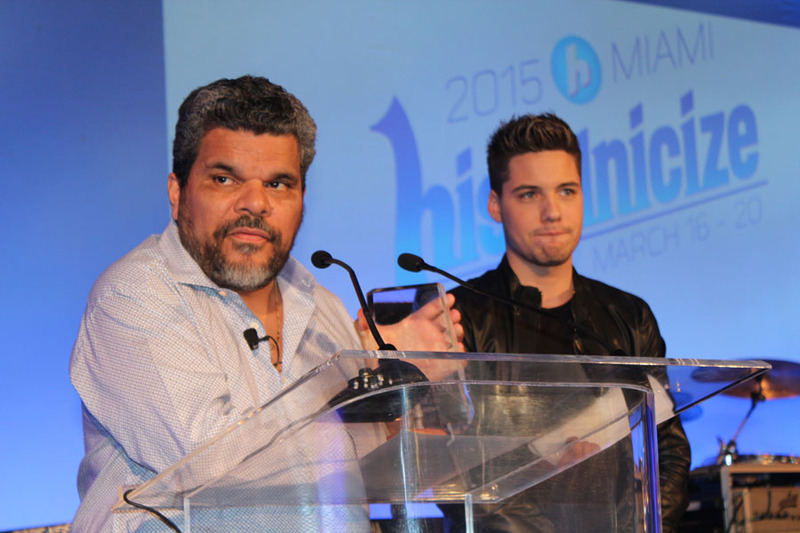 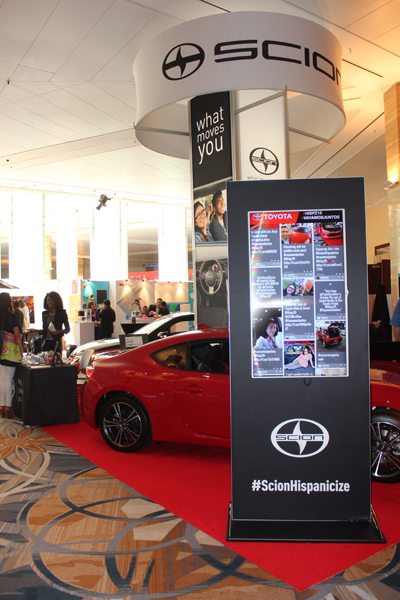 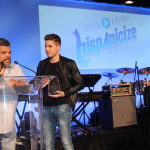 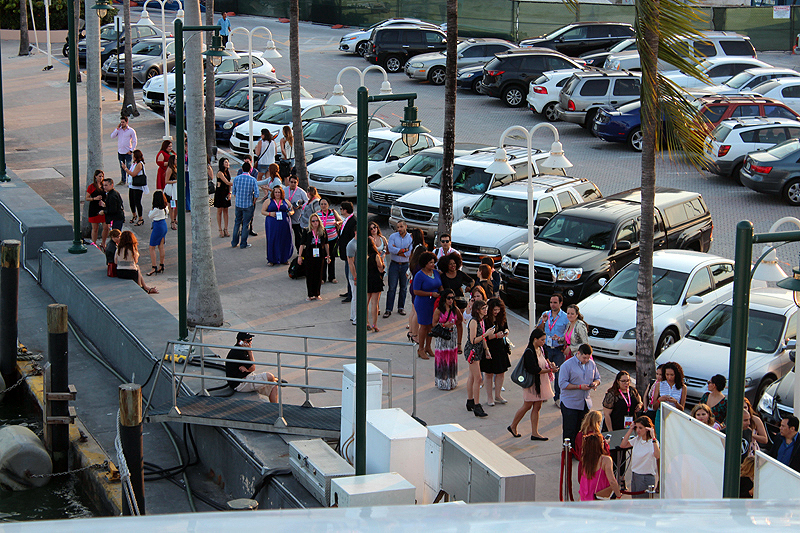 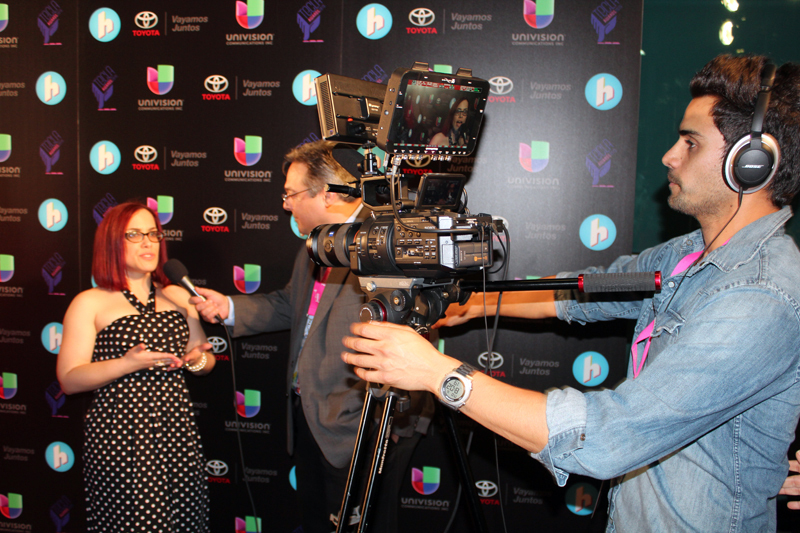 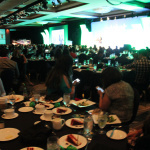 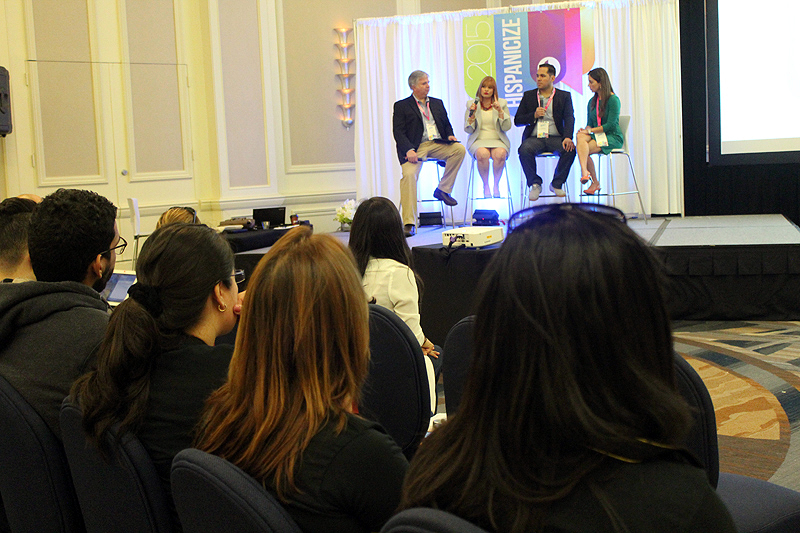 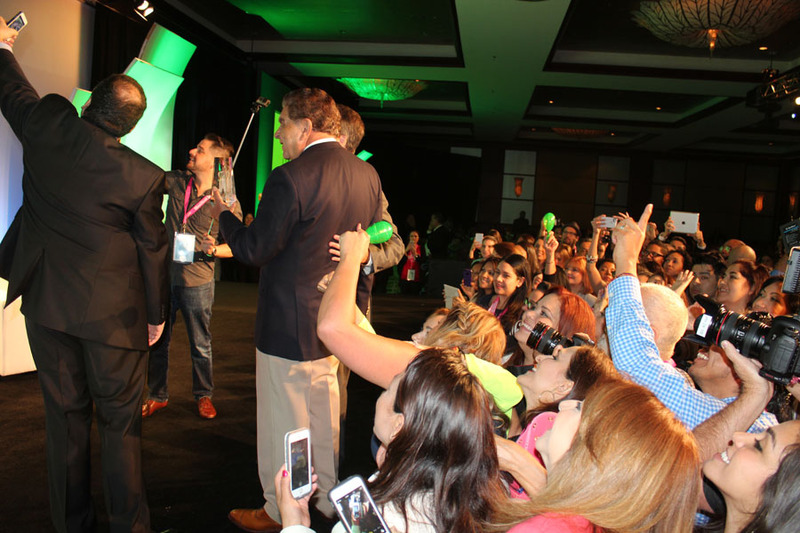 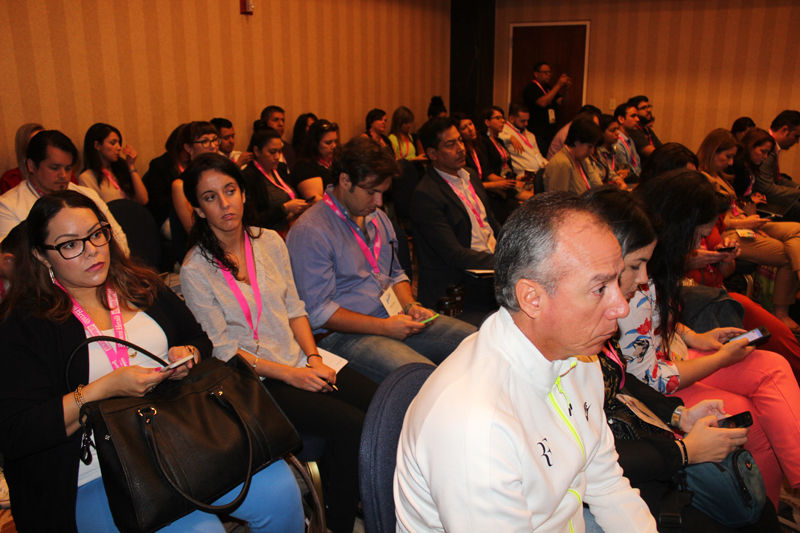 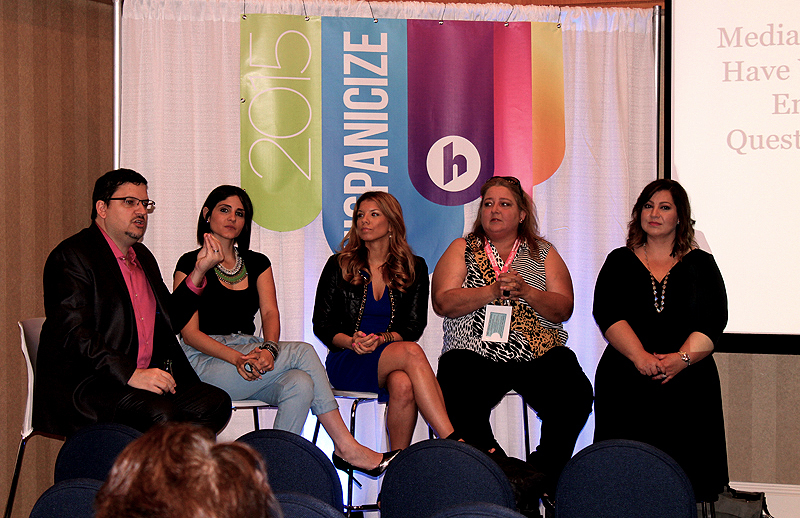 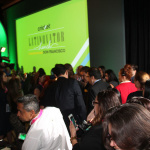 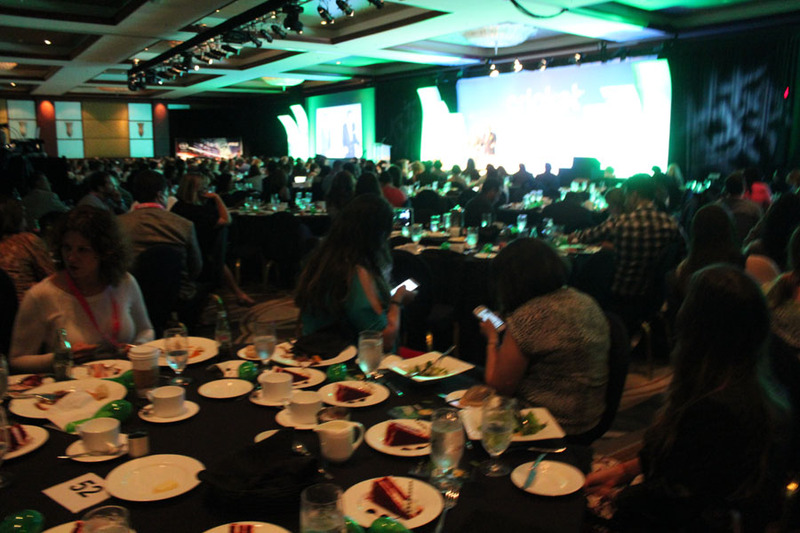 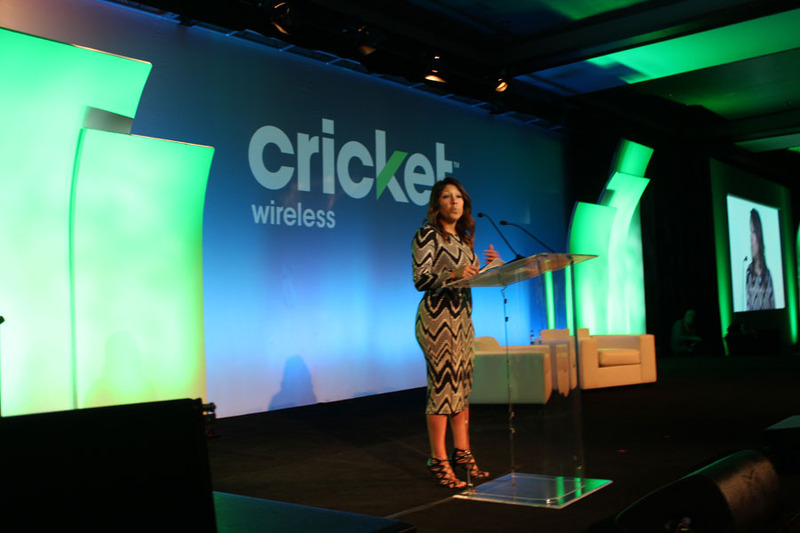 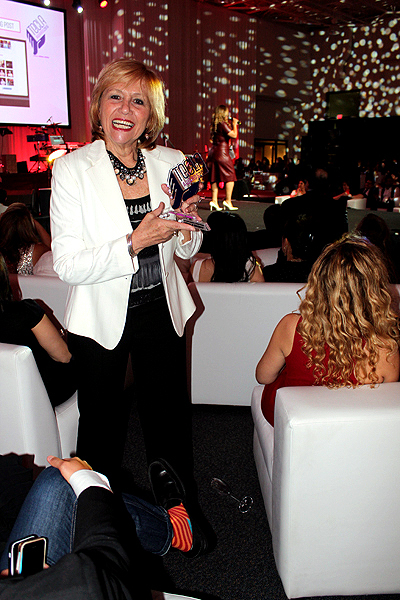 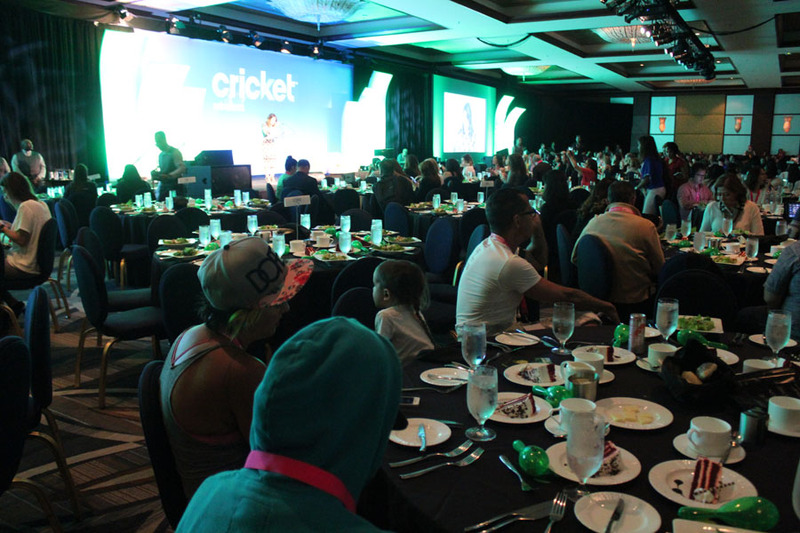 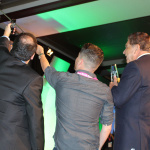 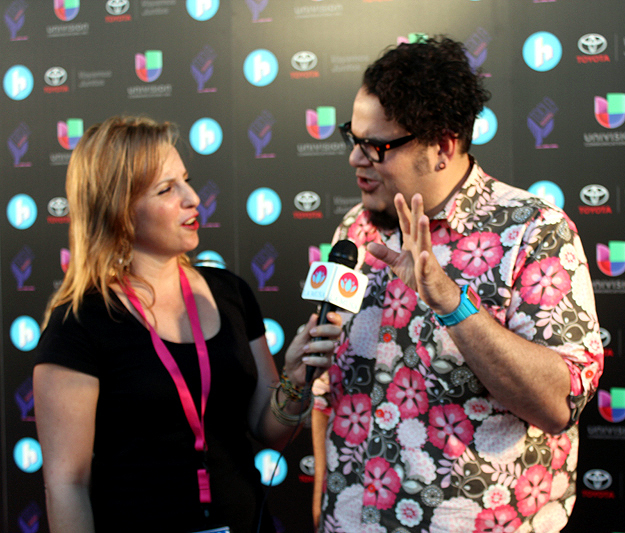 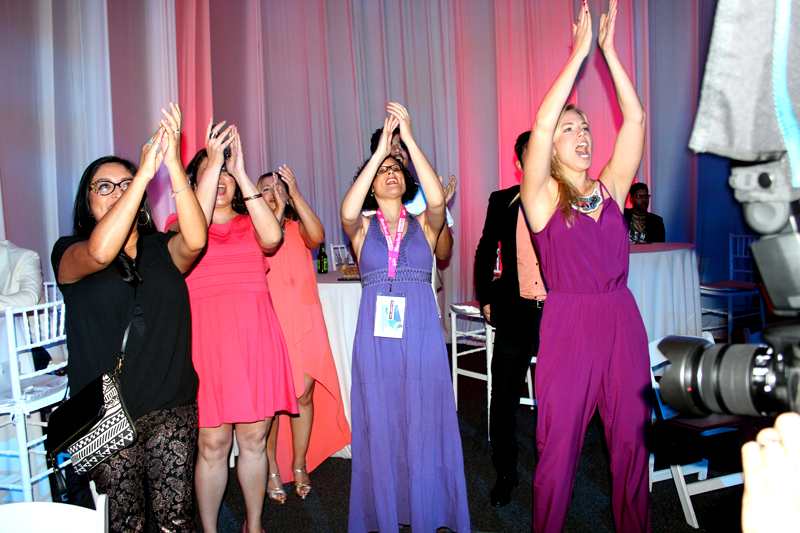 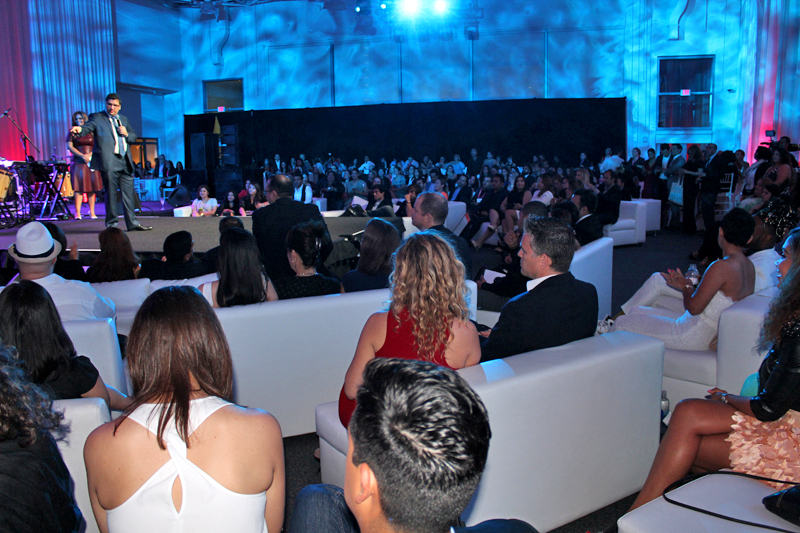 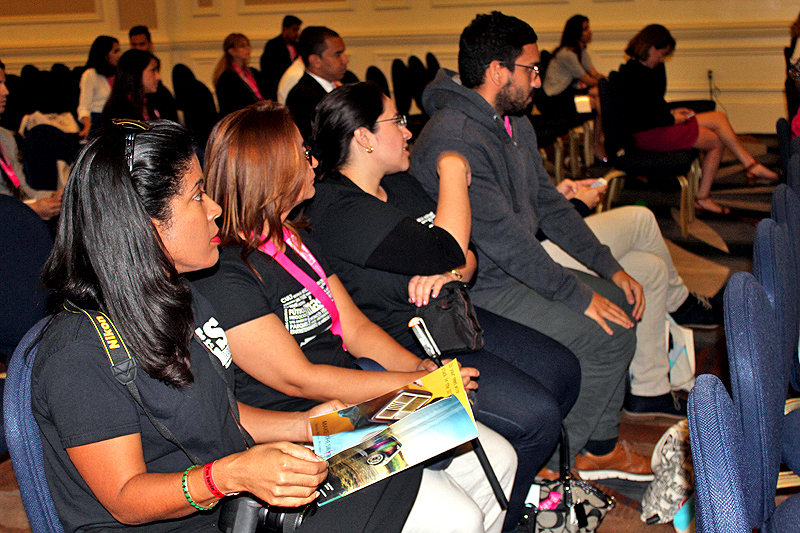 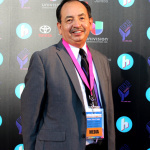 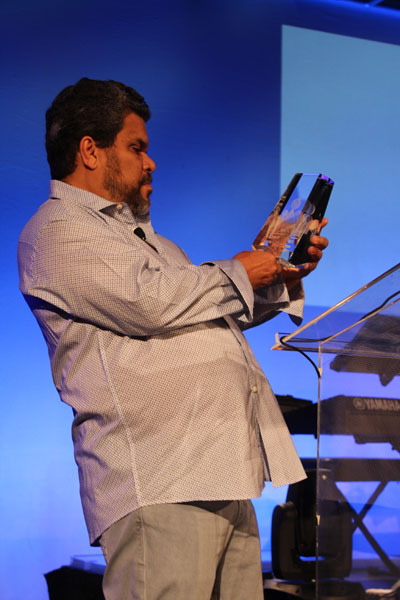 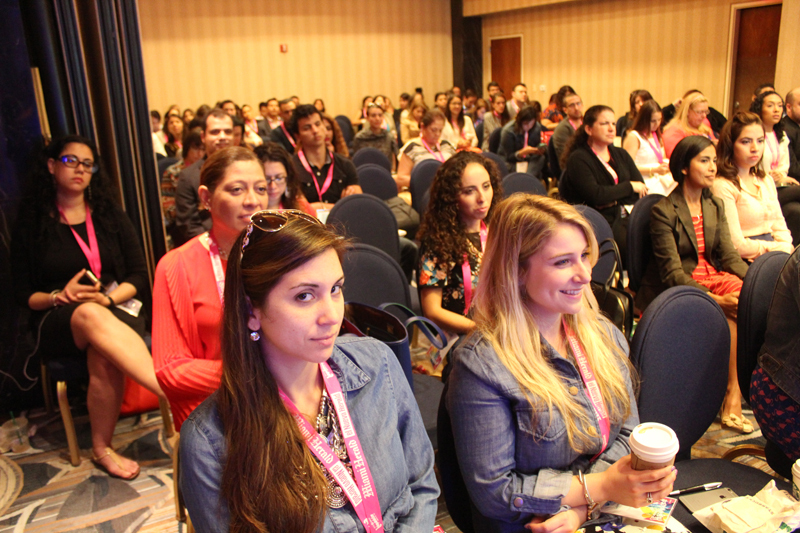 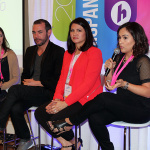 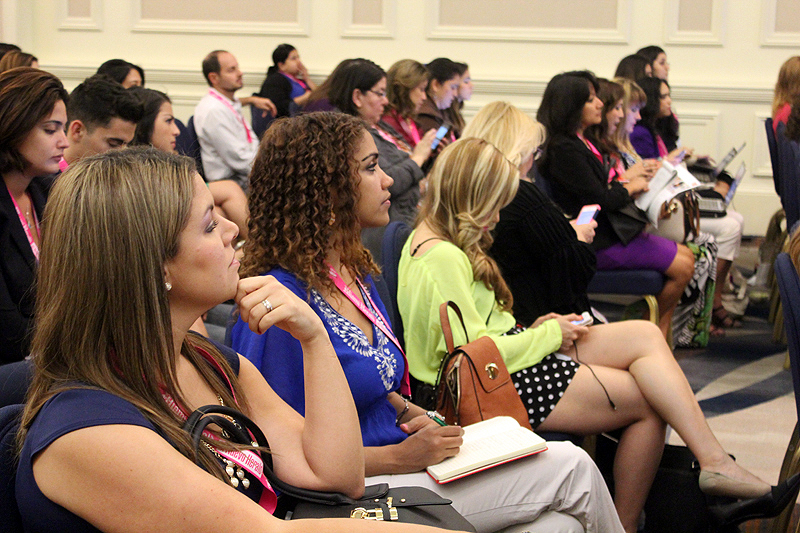 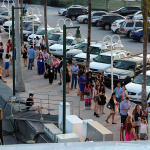 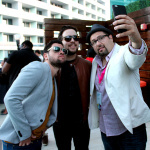 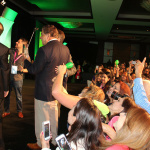 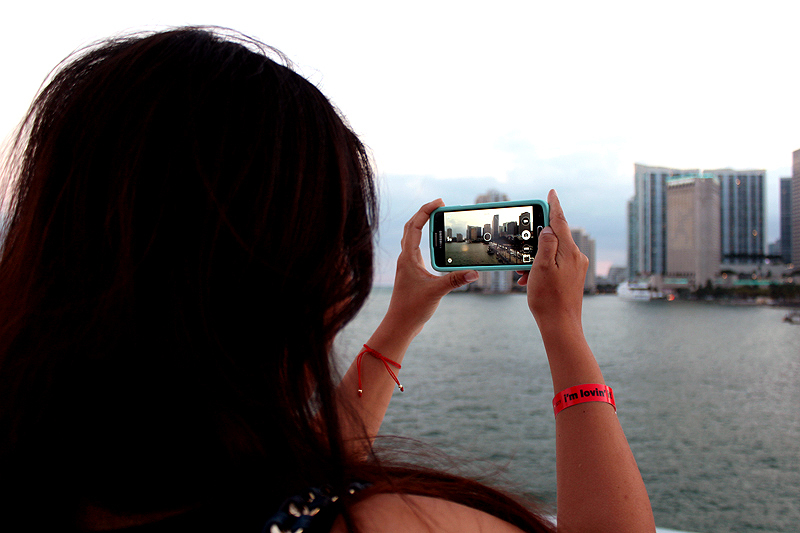 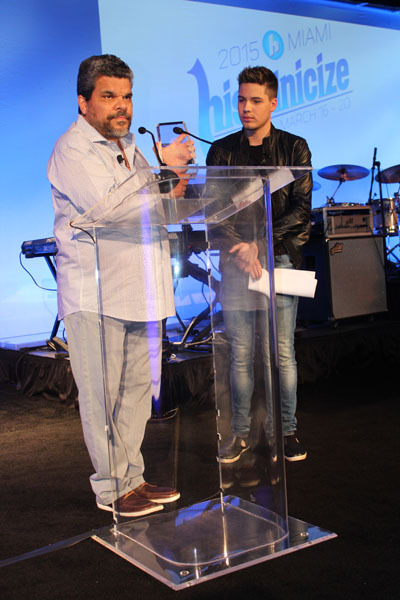 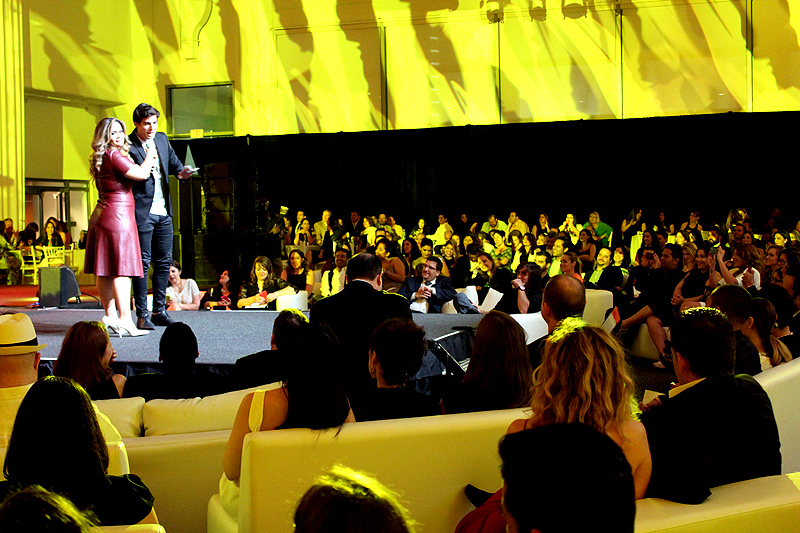 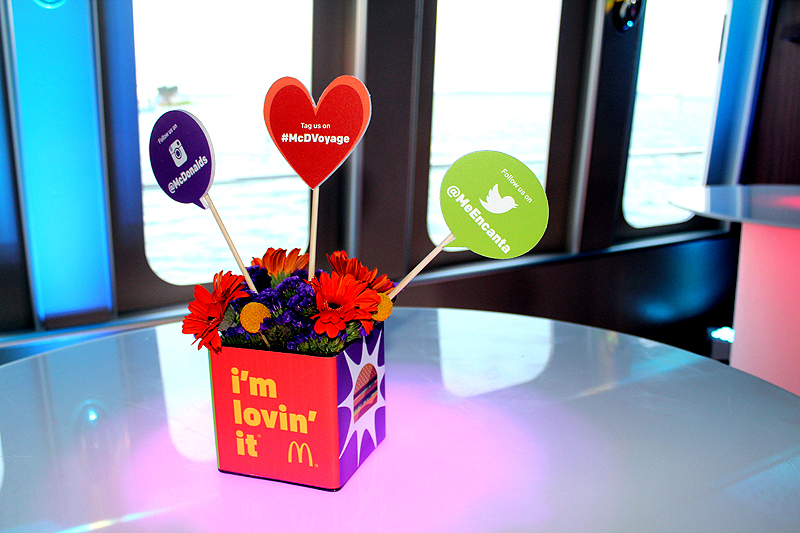 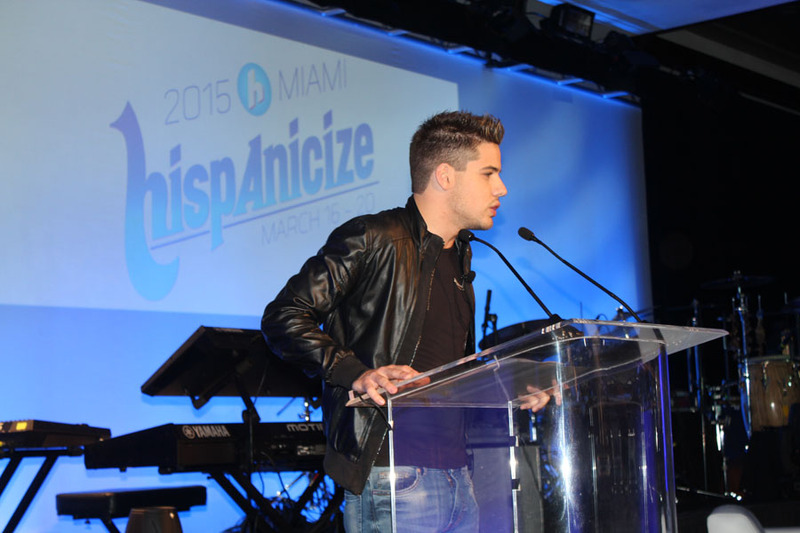 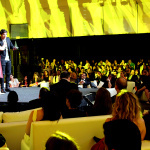 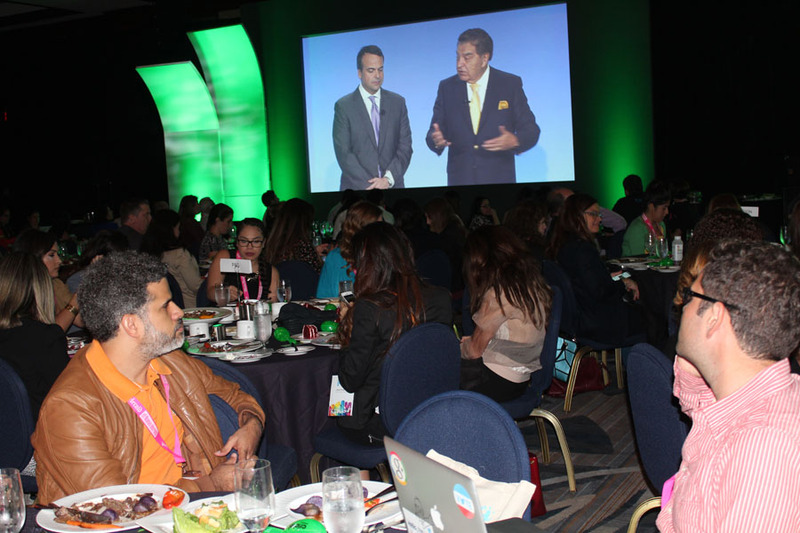 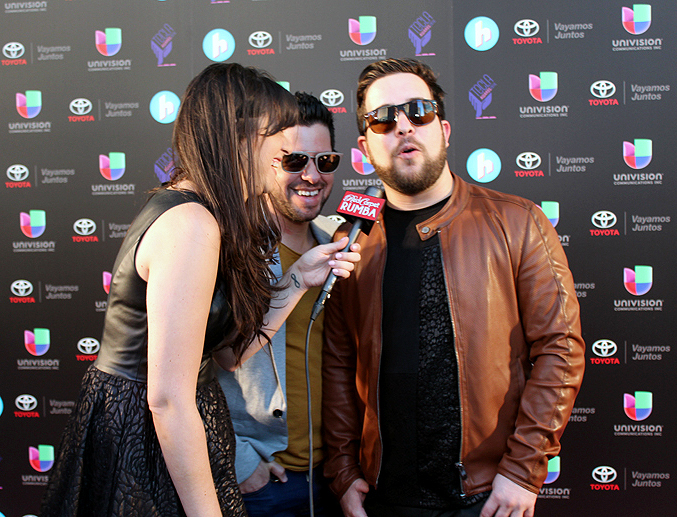 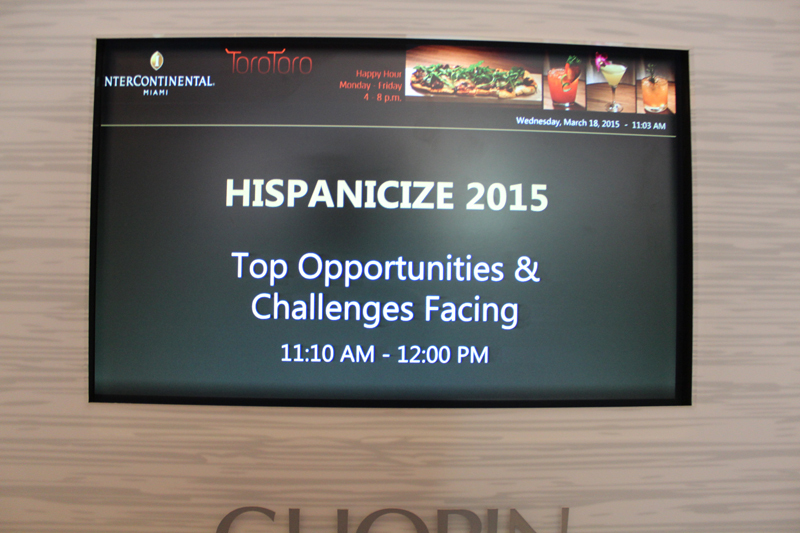 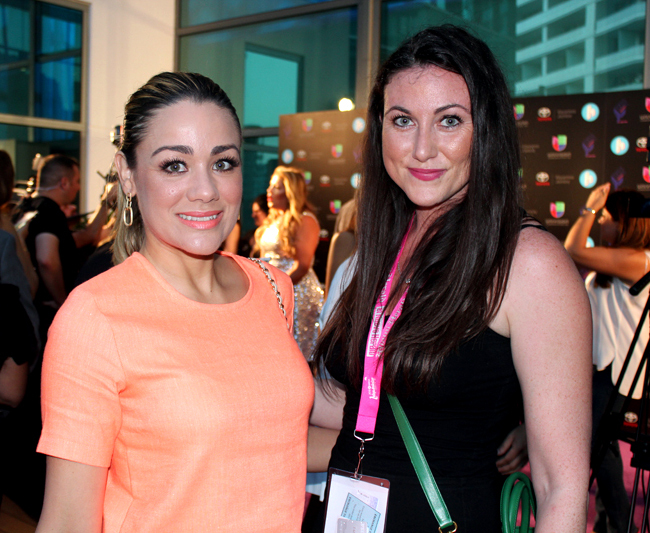 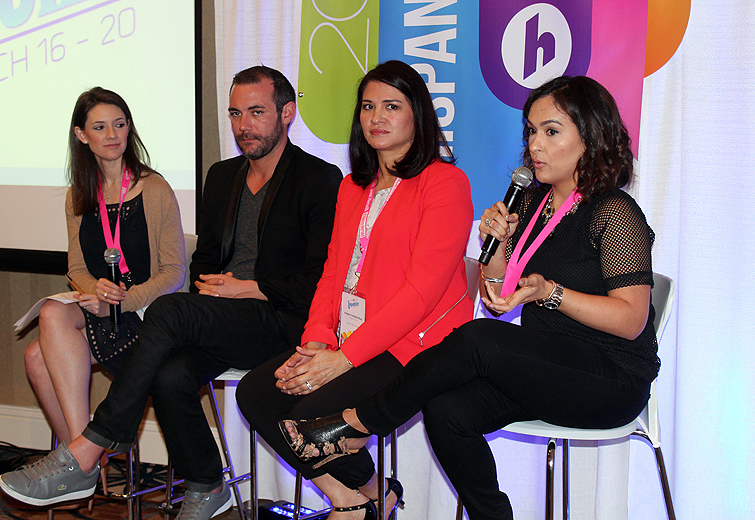 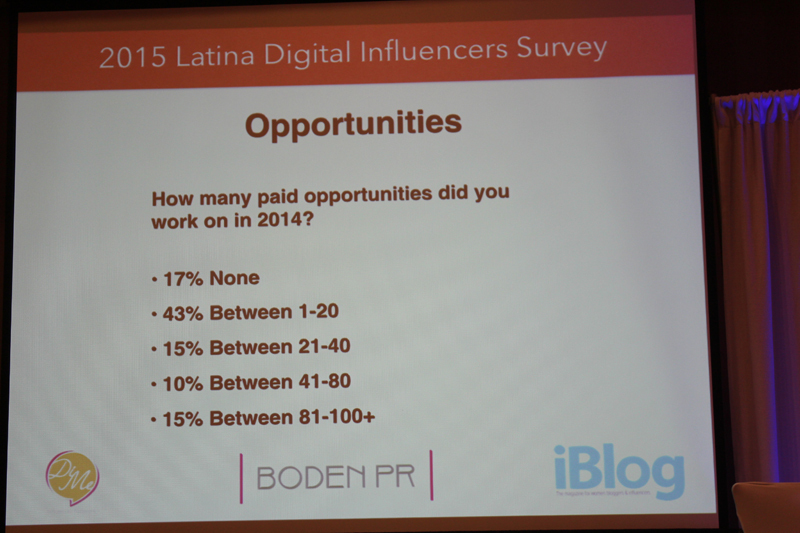 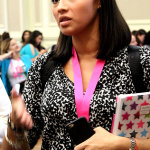 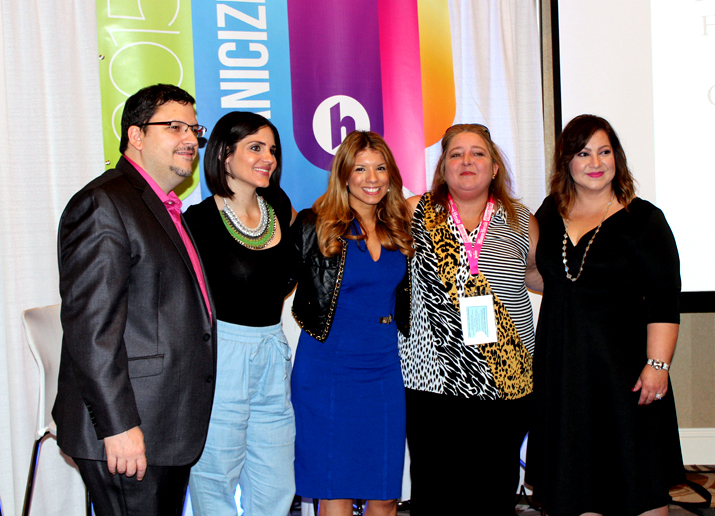 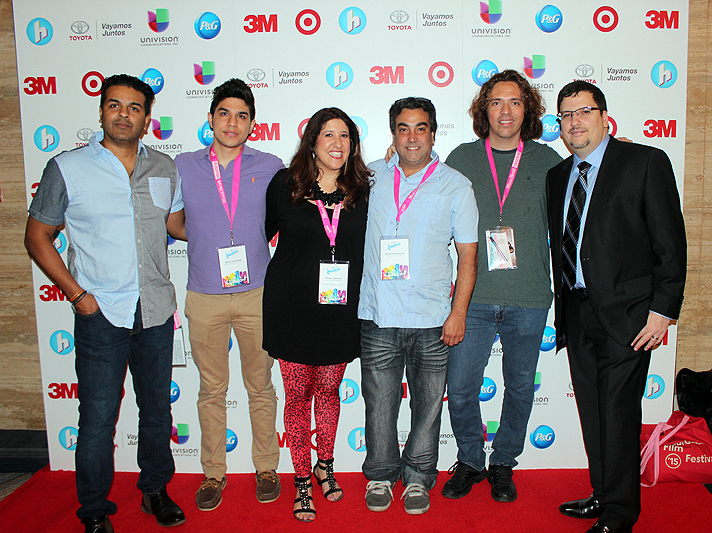 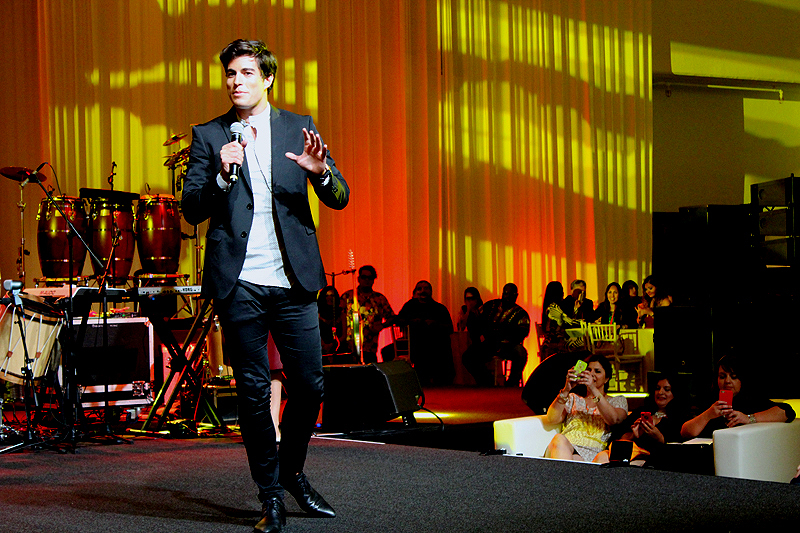 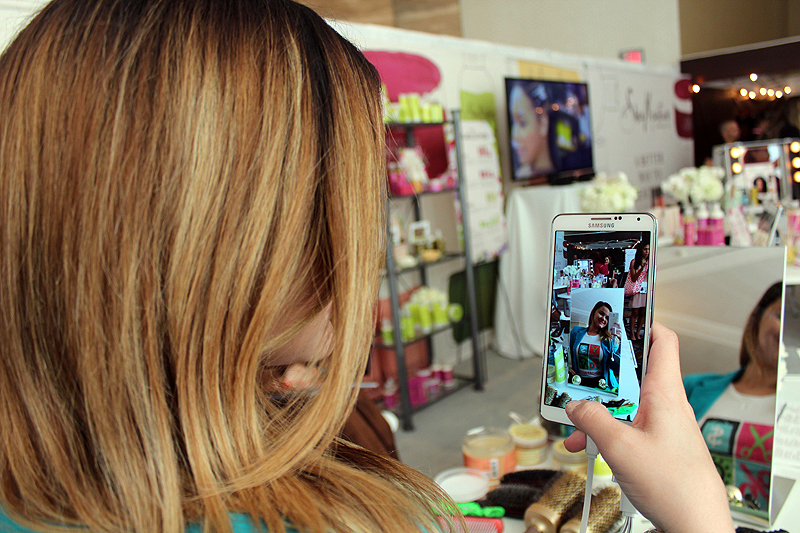 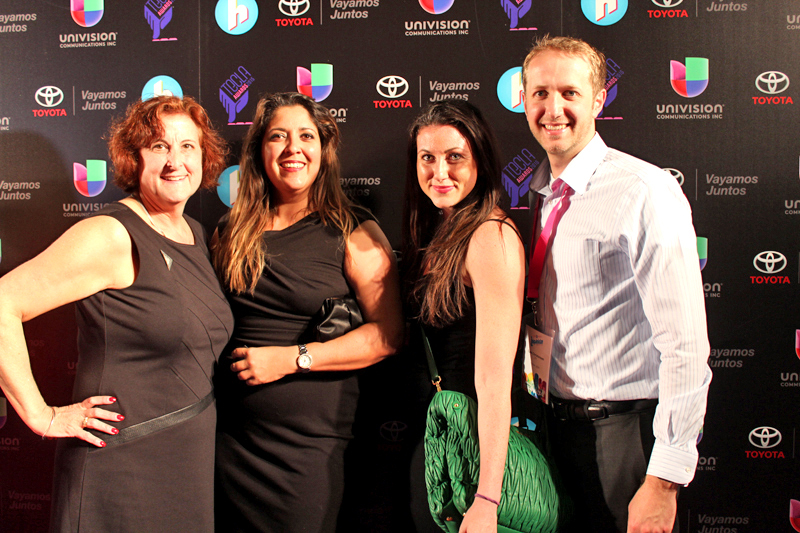 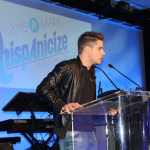 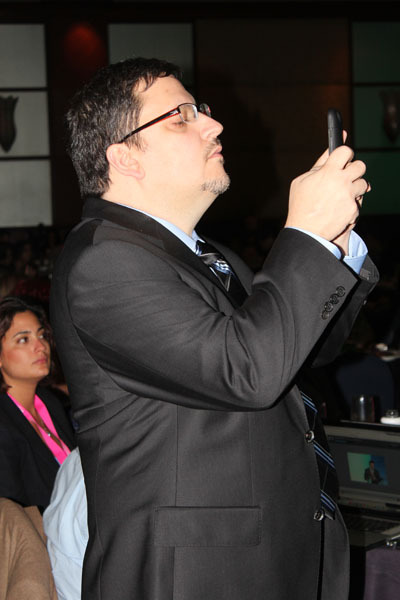 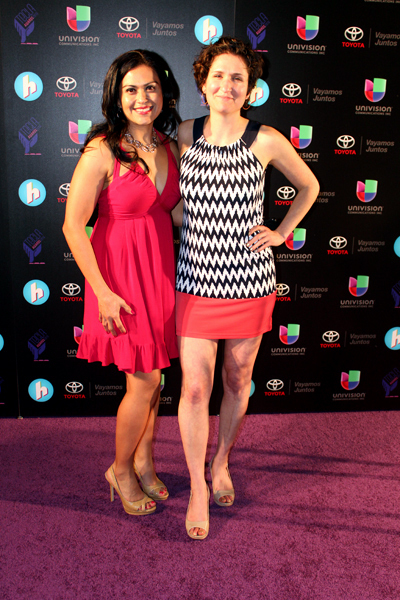 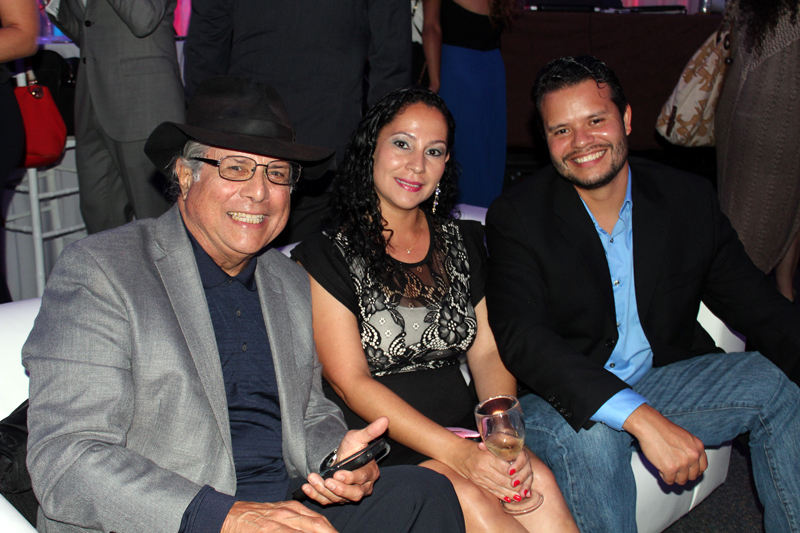 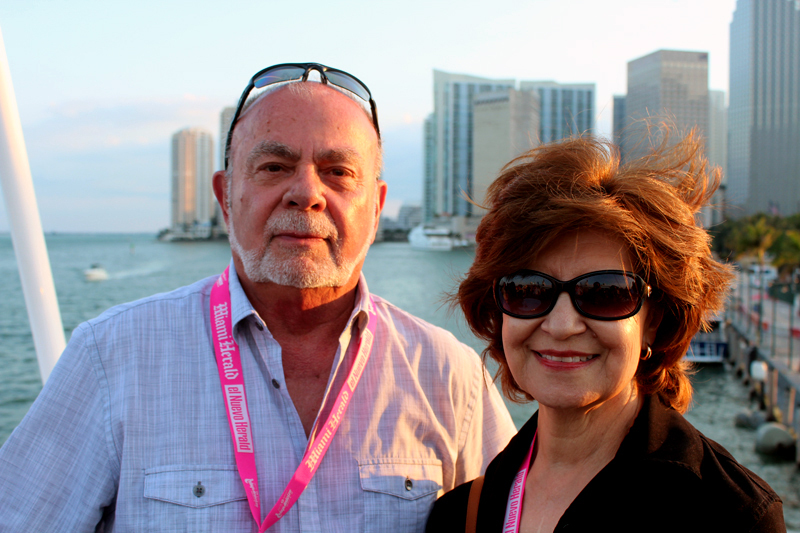 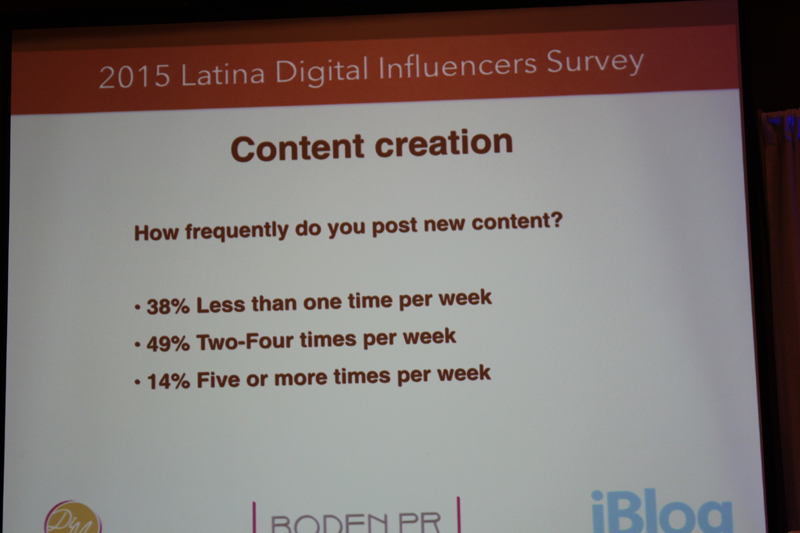 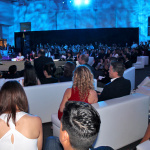 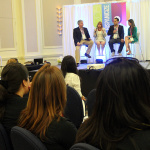 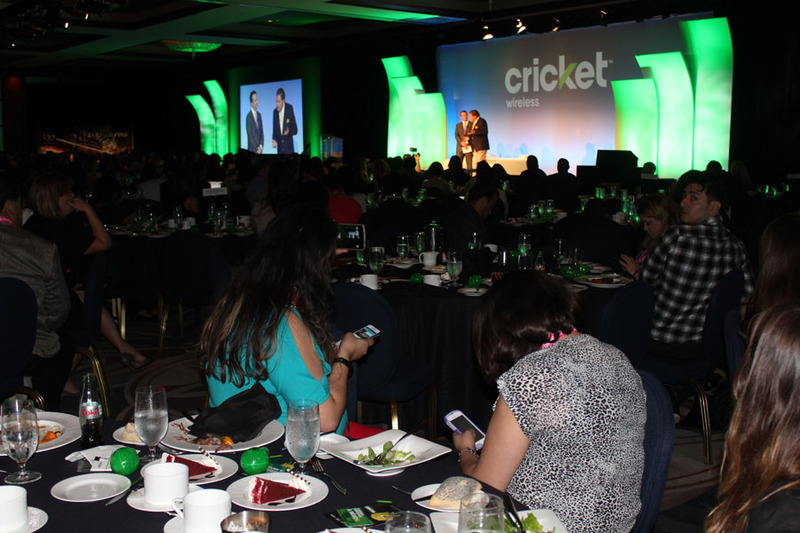 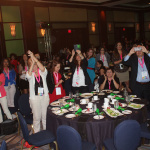 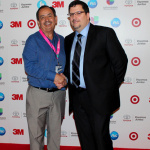 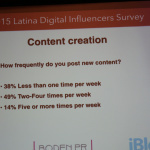 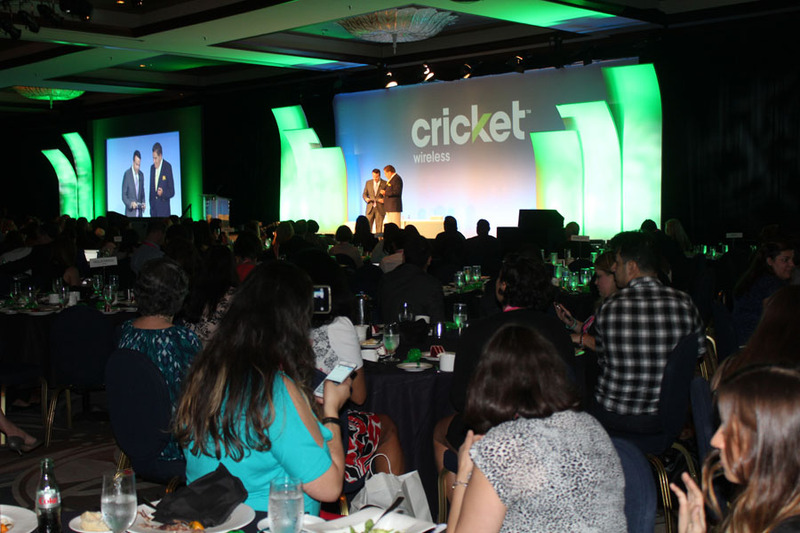 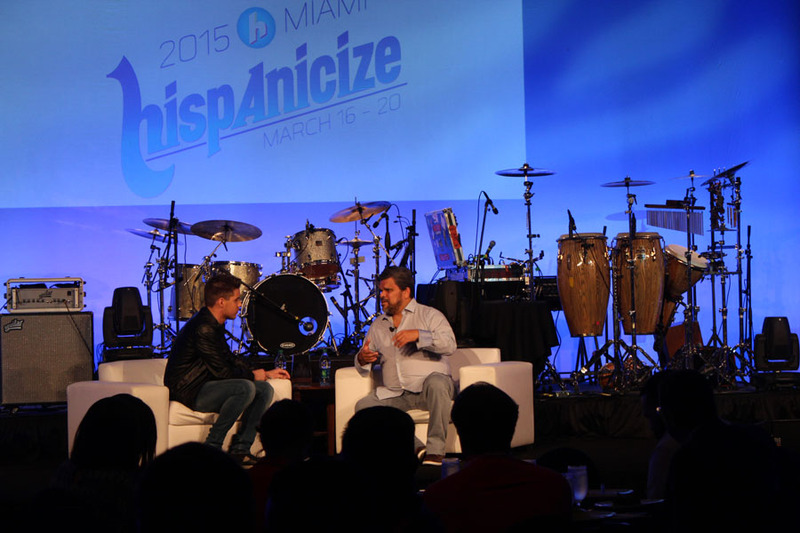 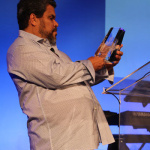 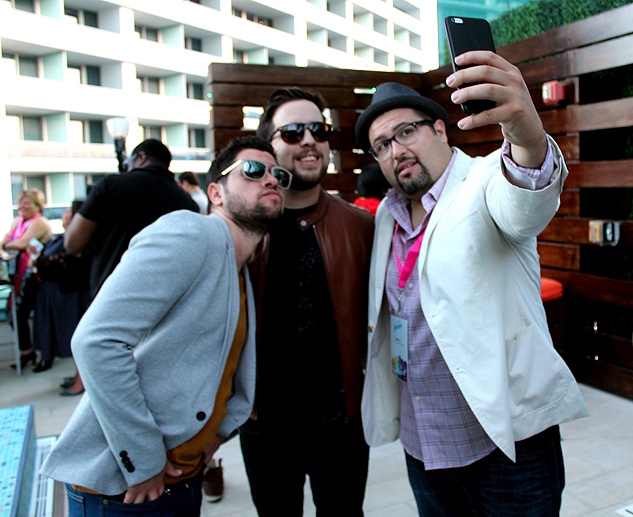 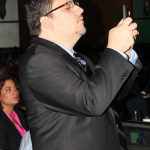 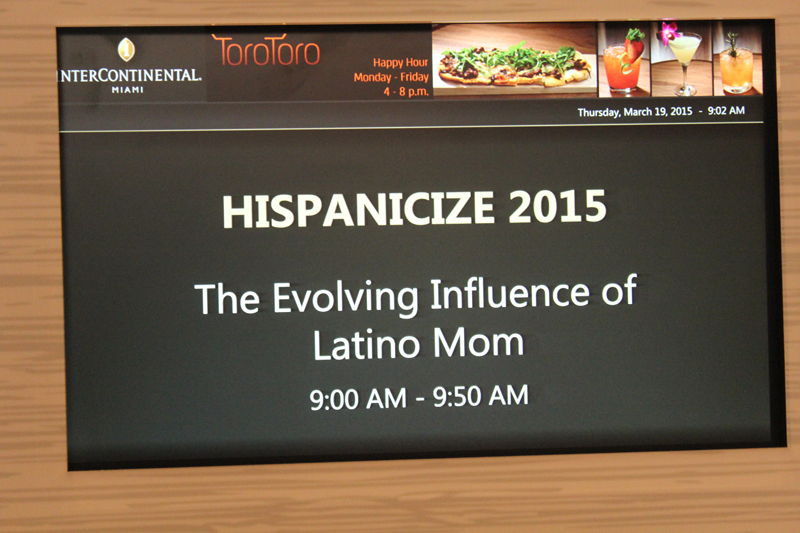 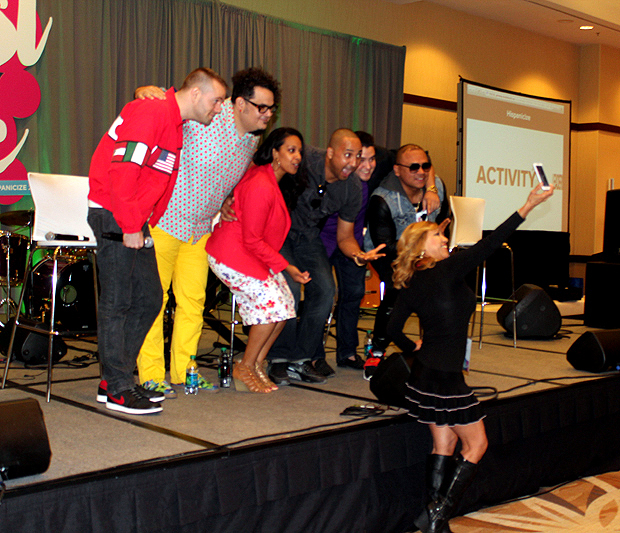 Be the first to comment on "Hispanicize 2015 Brings More Than 2,000 Latino Trendsetters to Miami"